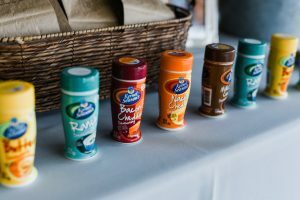 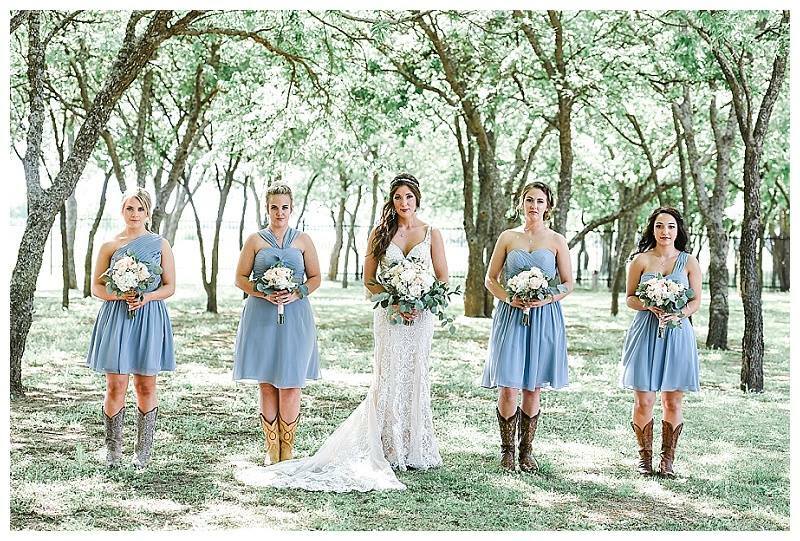 We definitely have a case of the blues, but in a good way! 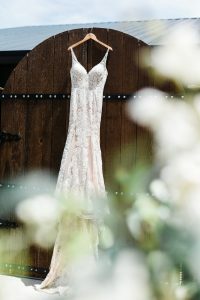 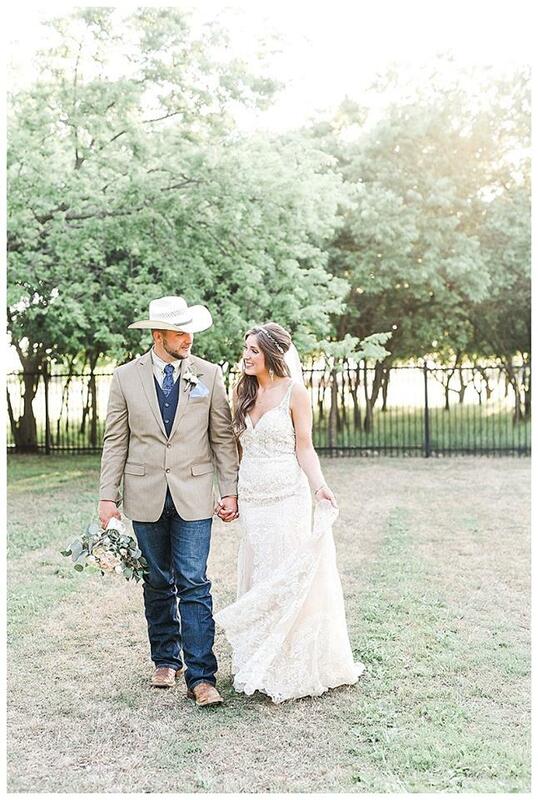 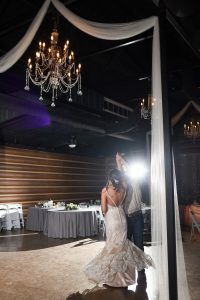 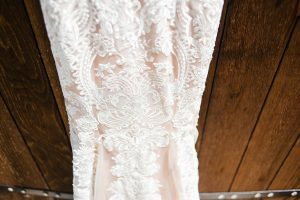 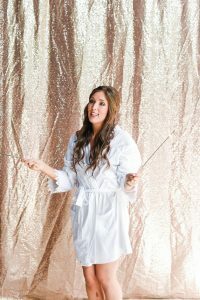 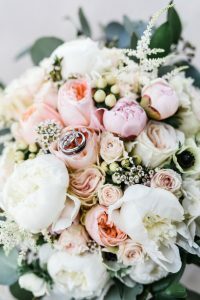 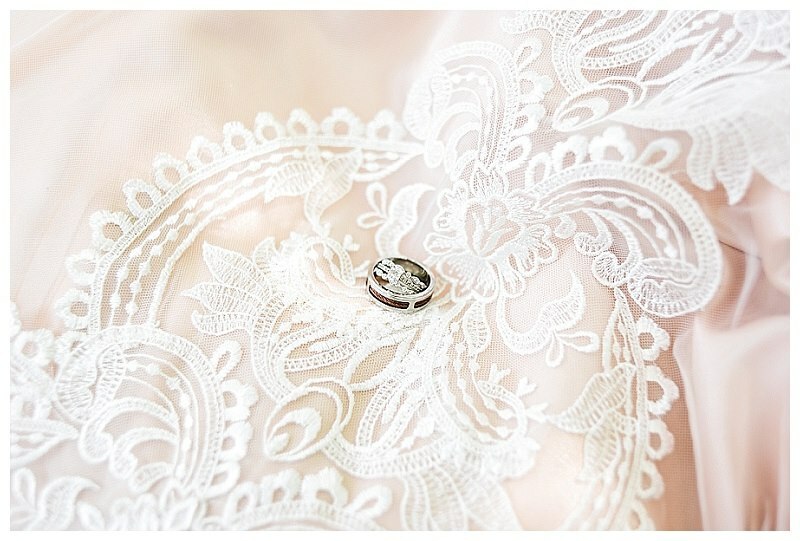 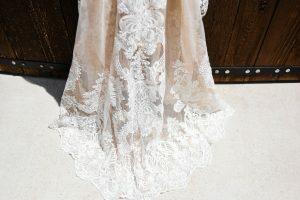 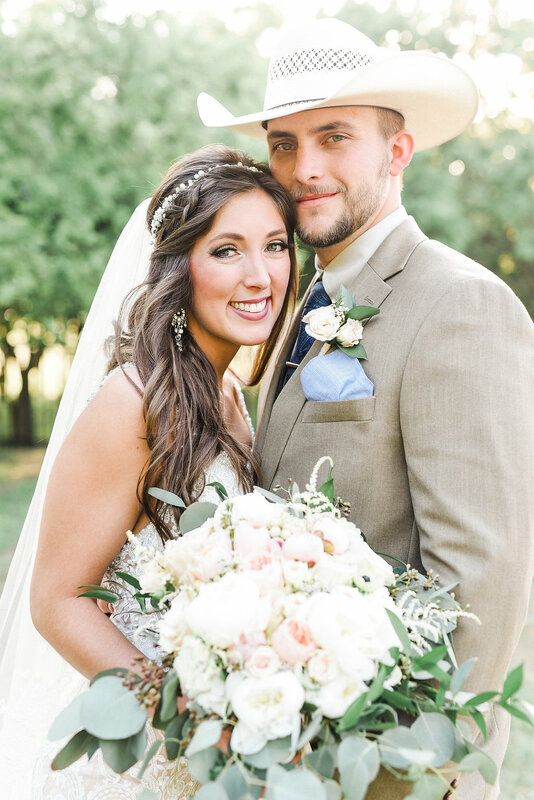 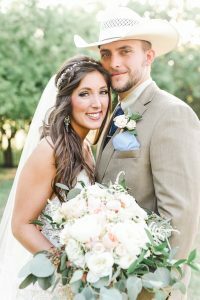 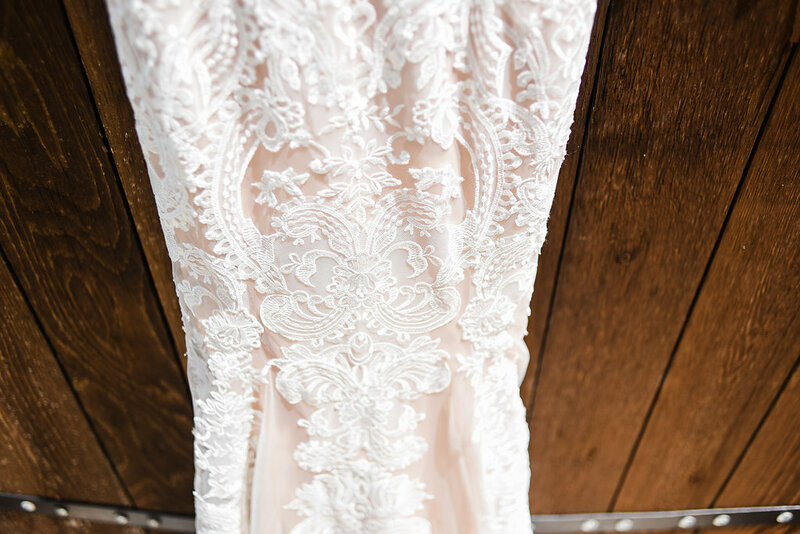 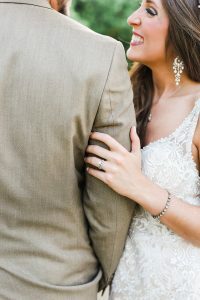 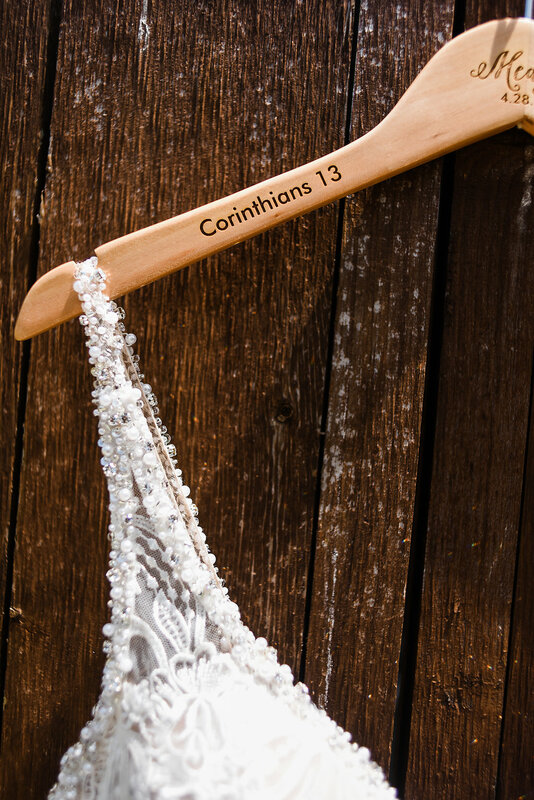 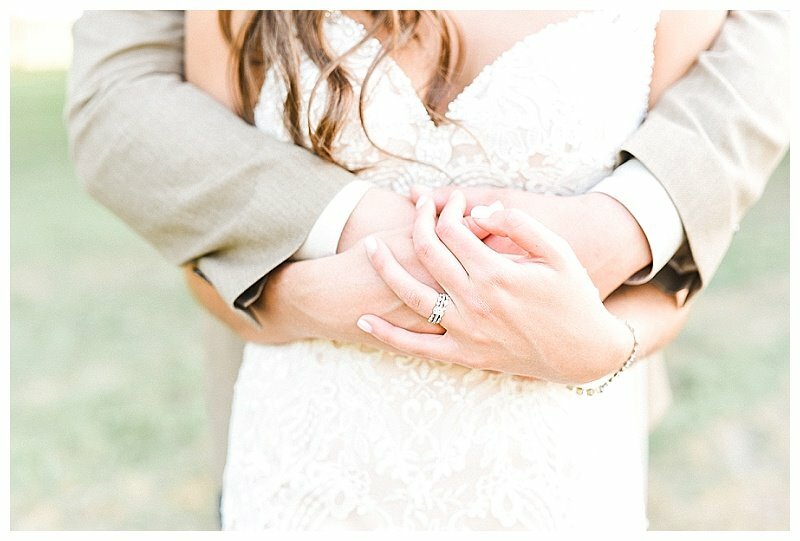 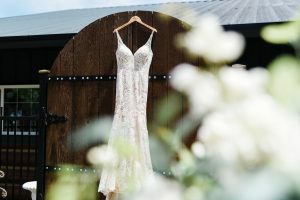 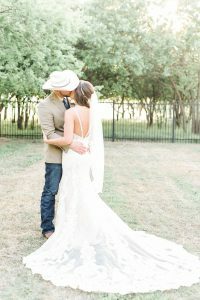 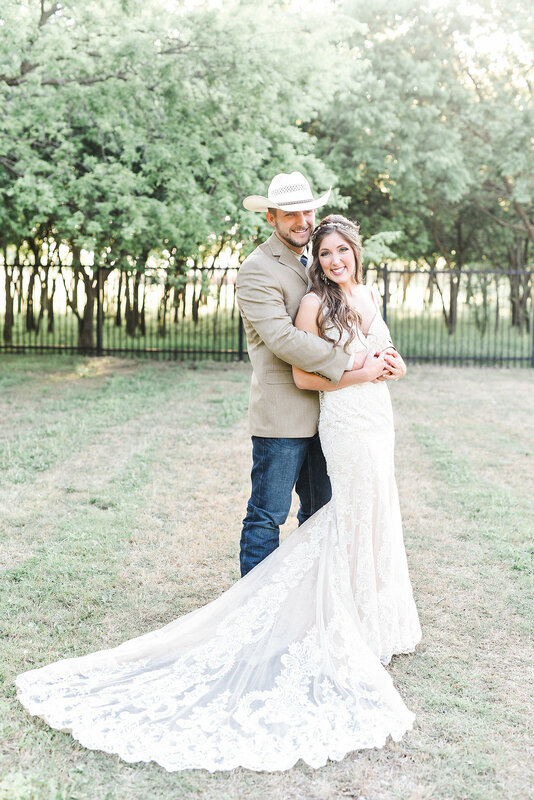 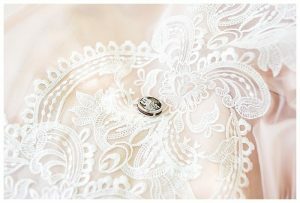 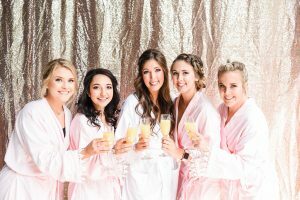 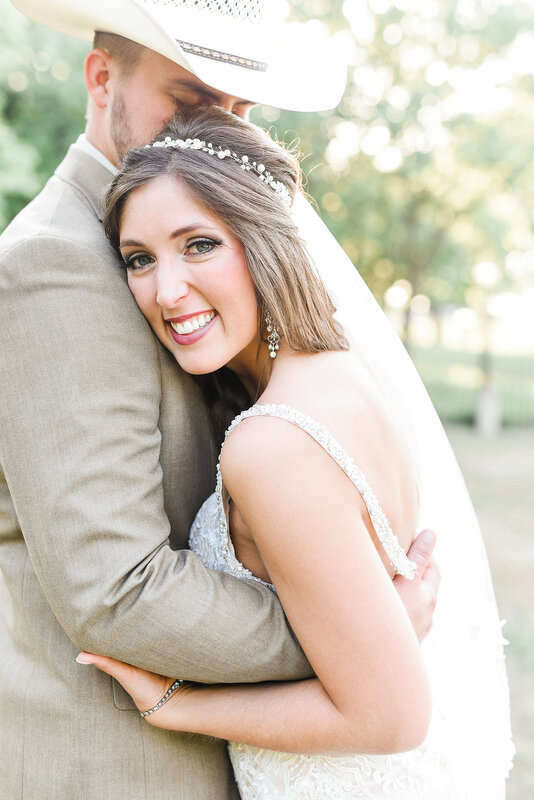 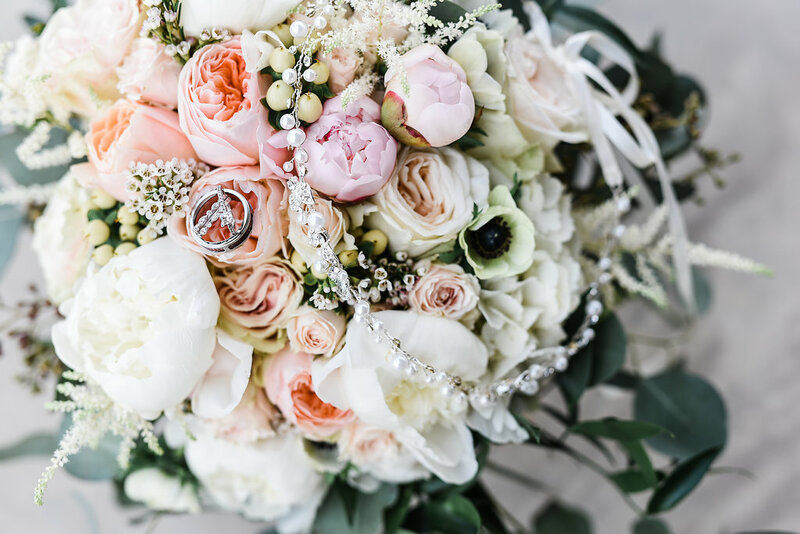 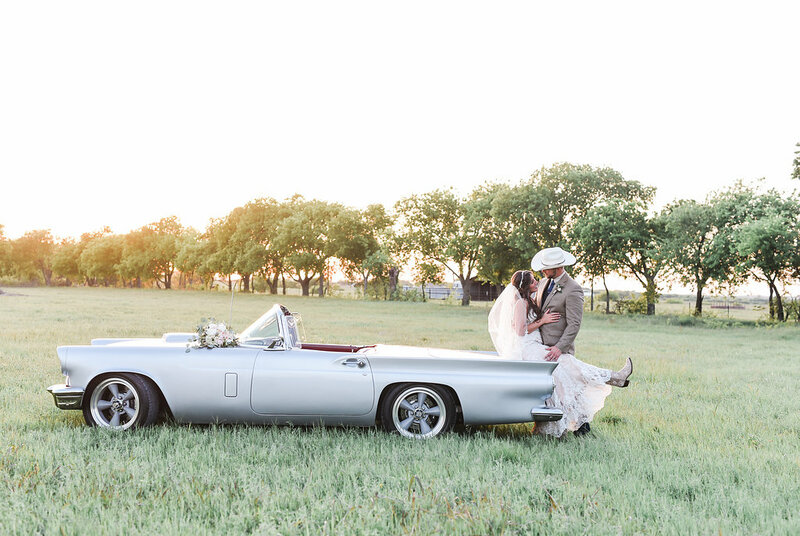 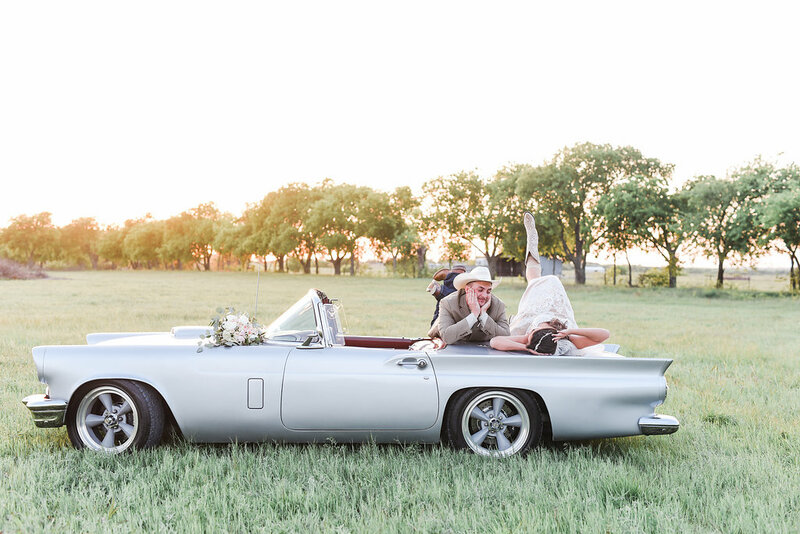 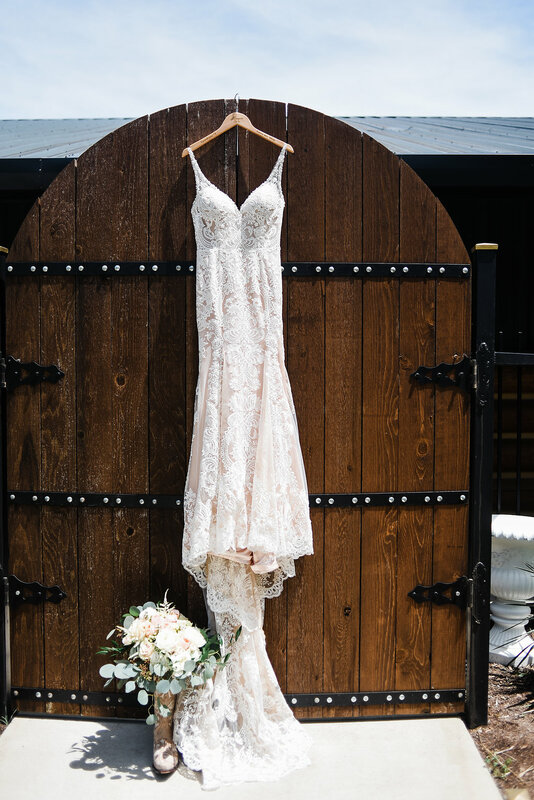 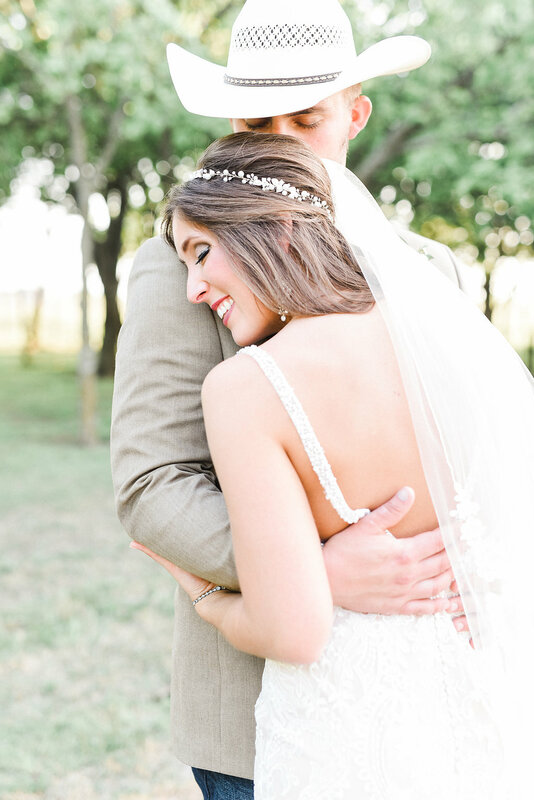 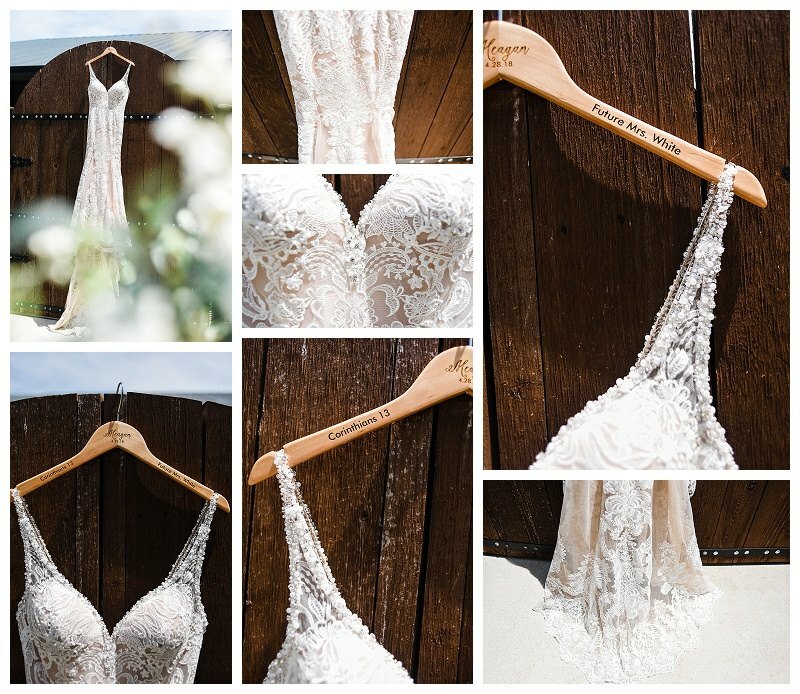 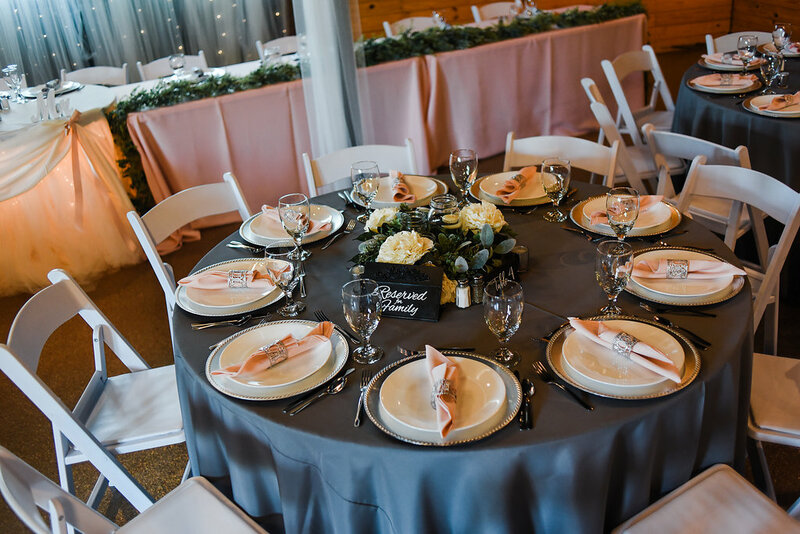 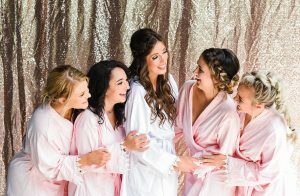 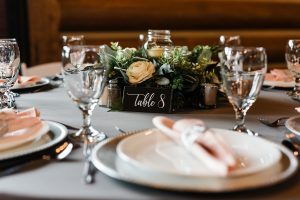 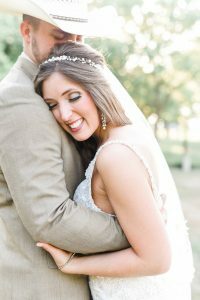 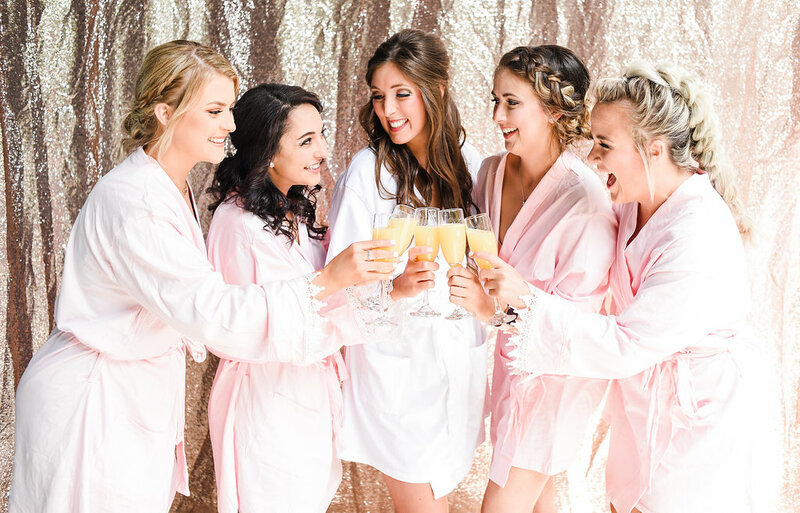 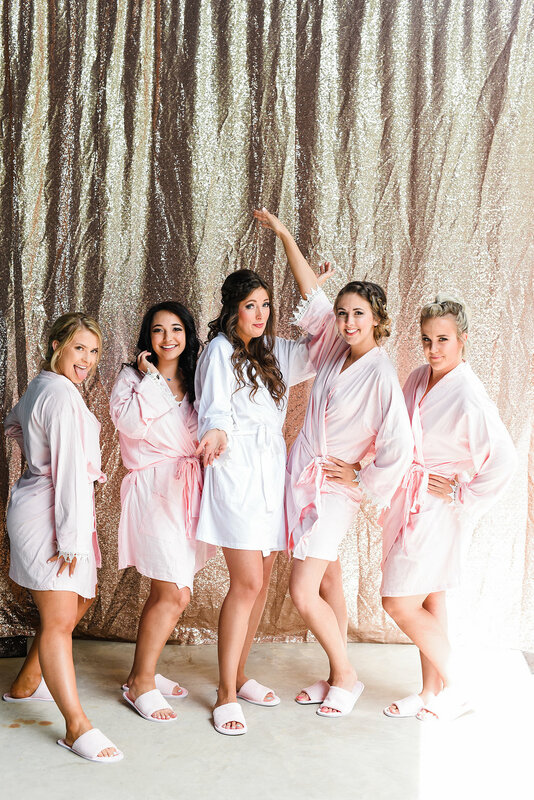 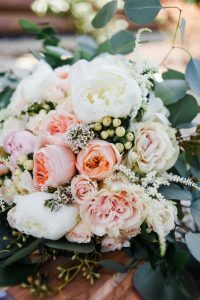 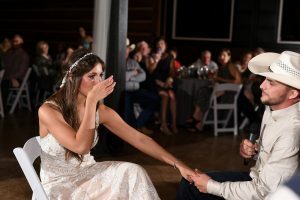 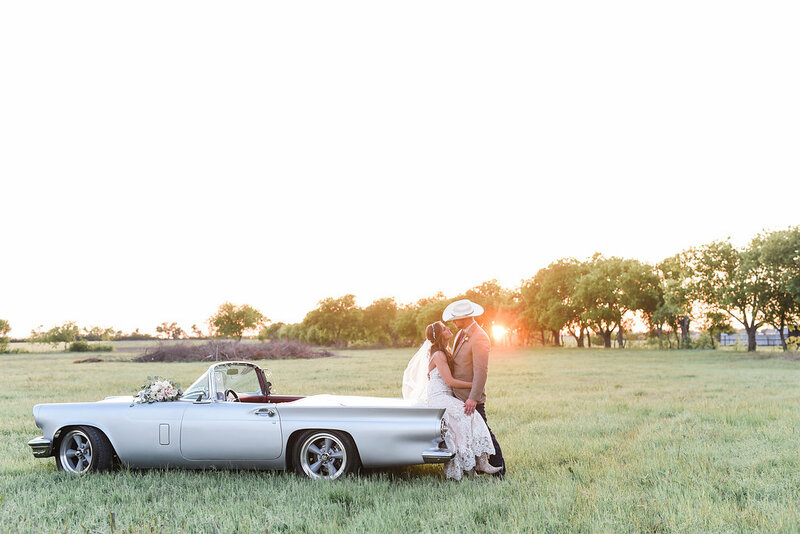 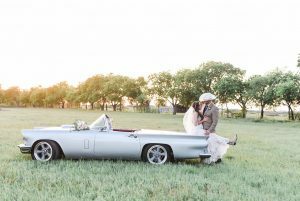 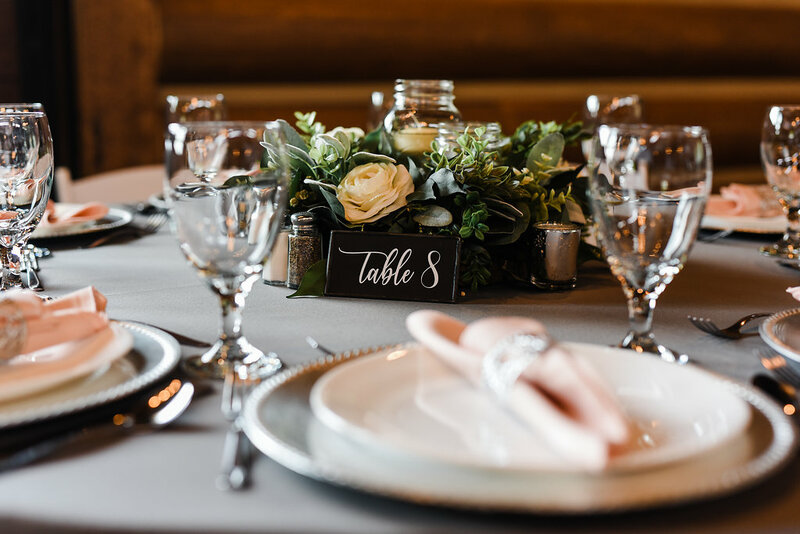 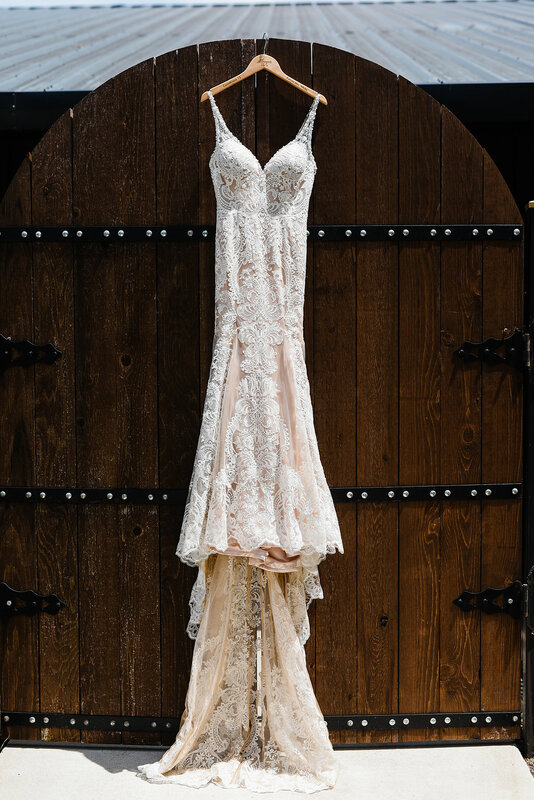 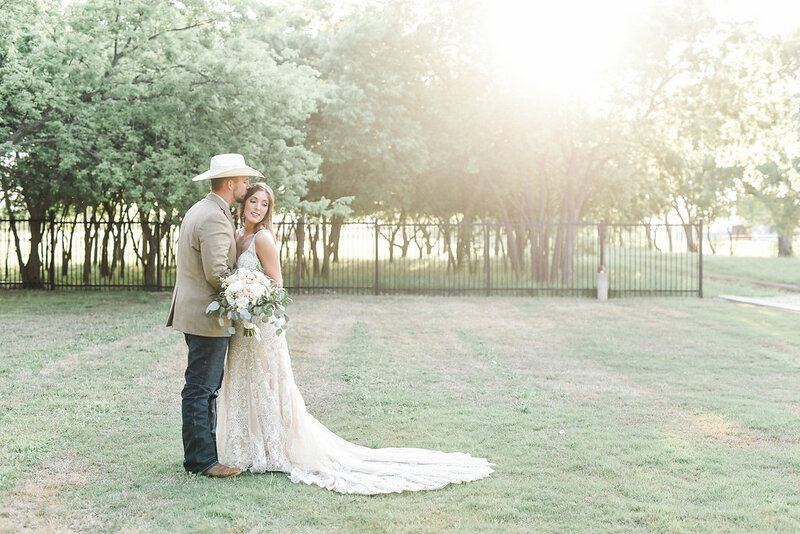 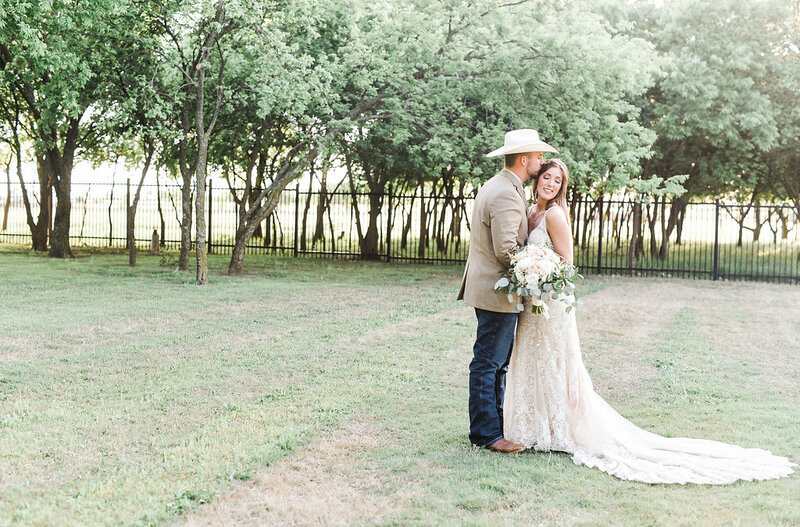 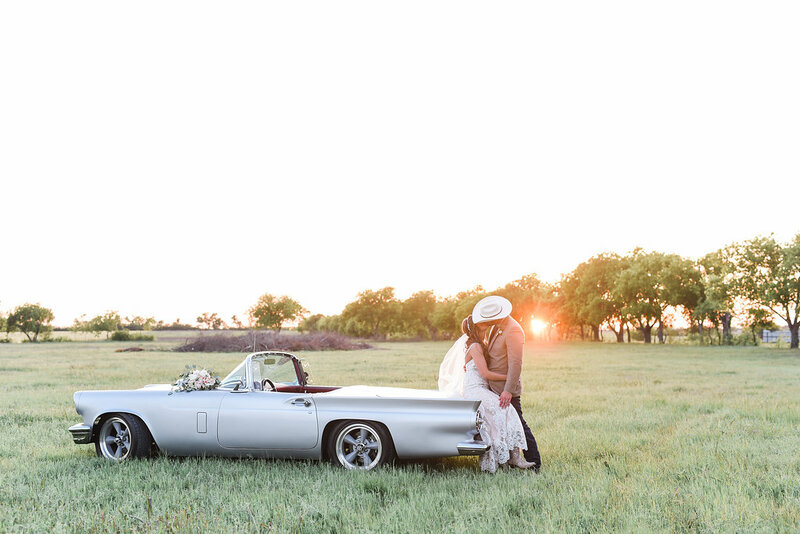 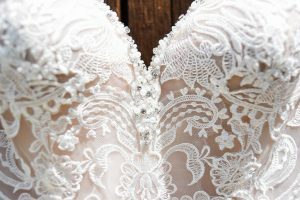 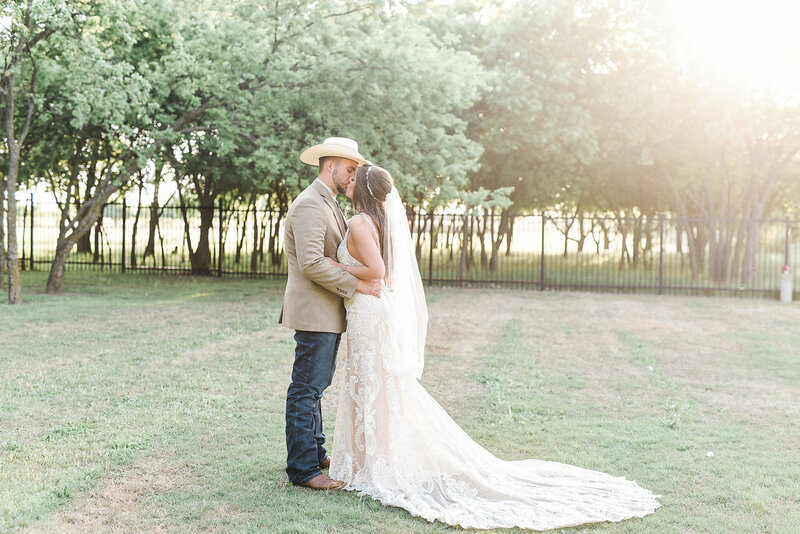 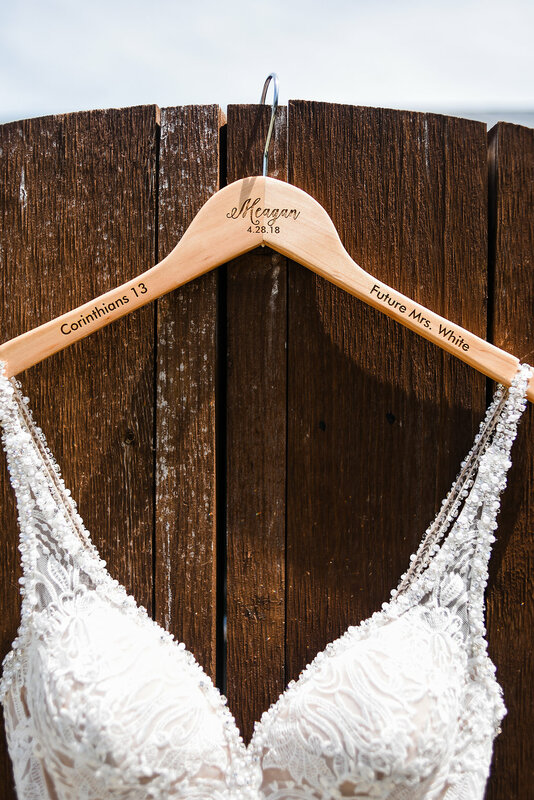 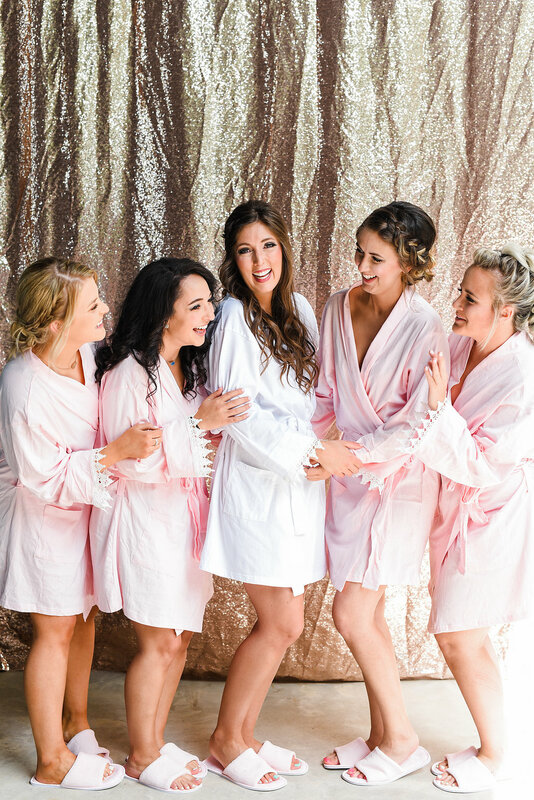 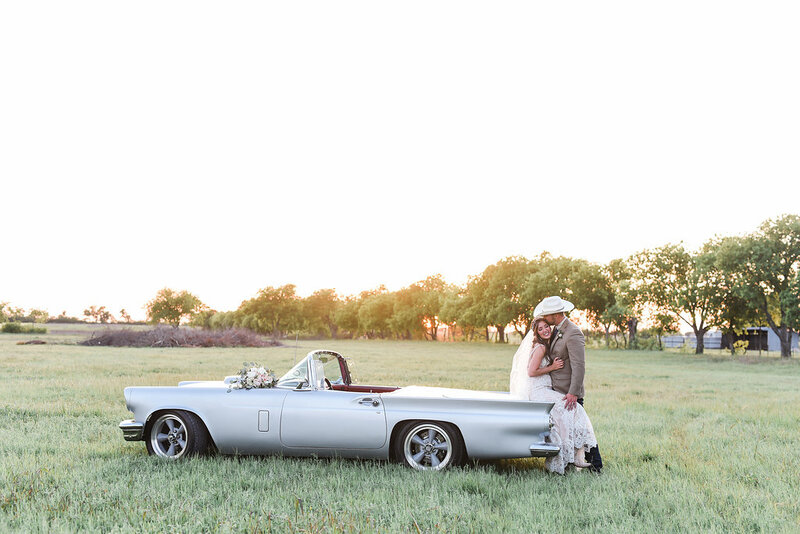 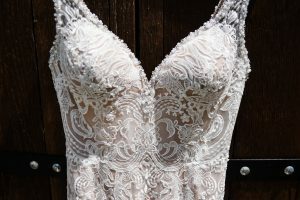 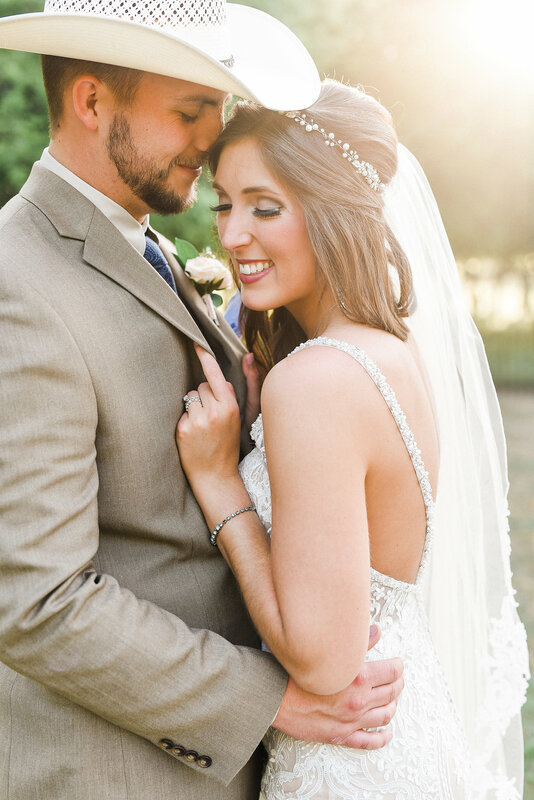 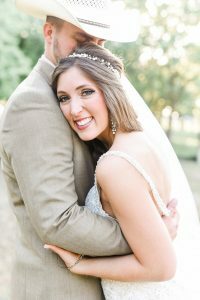 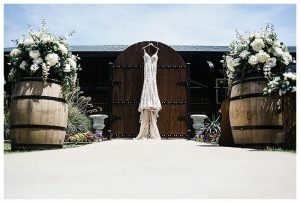 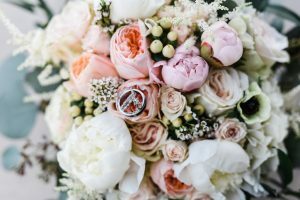 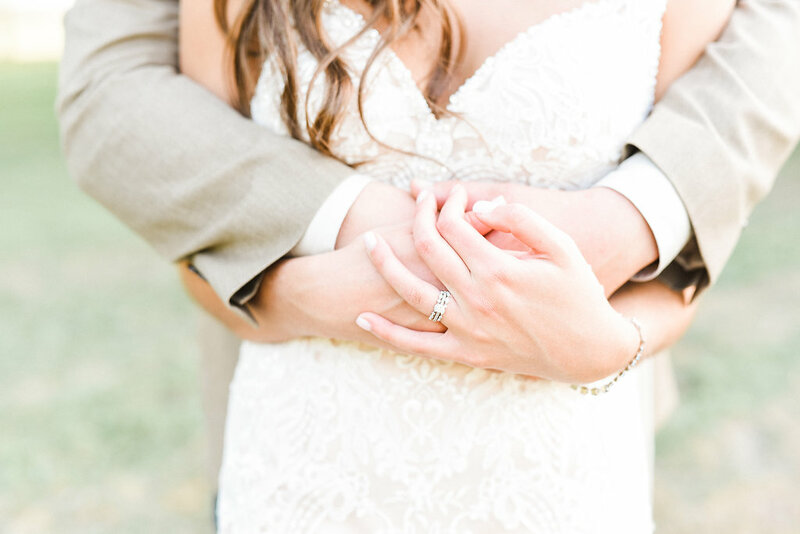 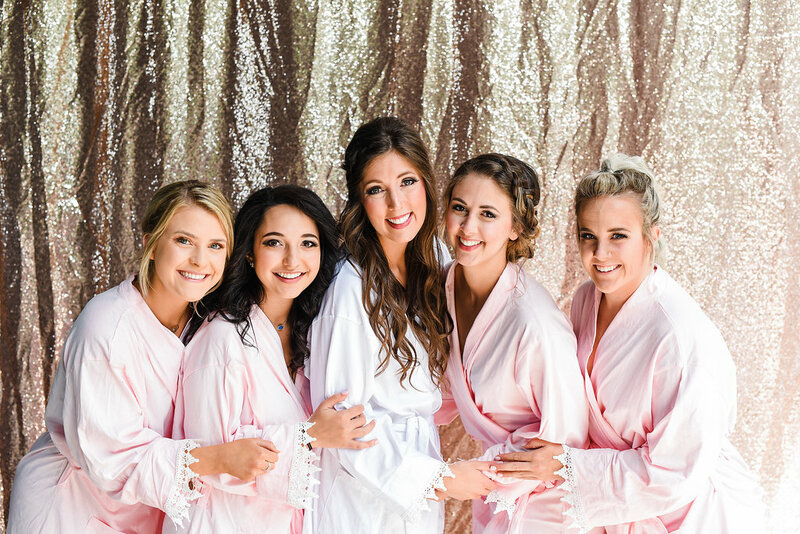 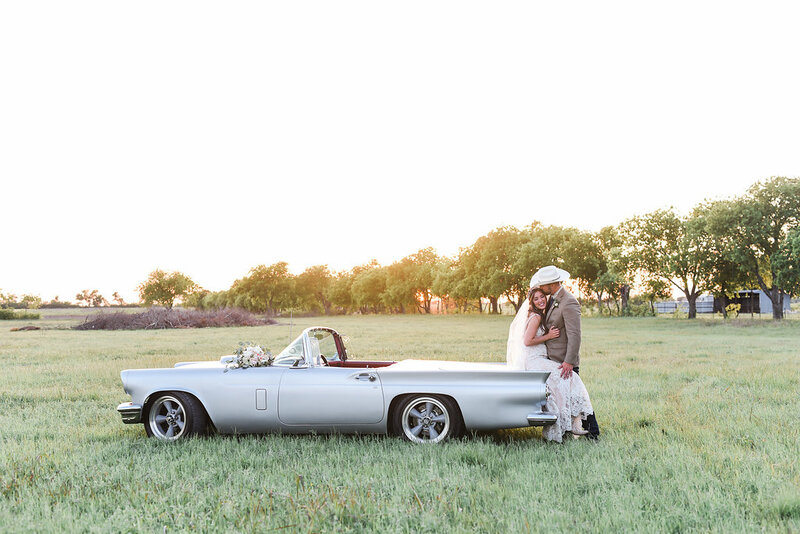 This gorgeous April wedding was the perfect example of such subtle colors that just compliment one another so so well. 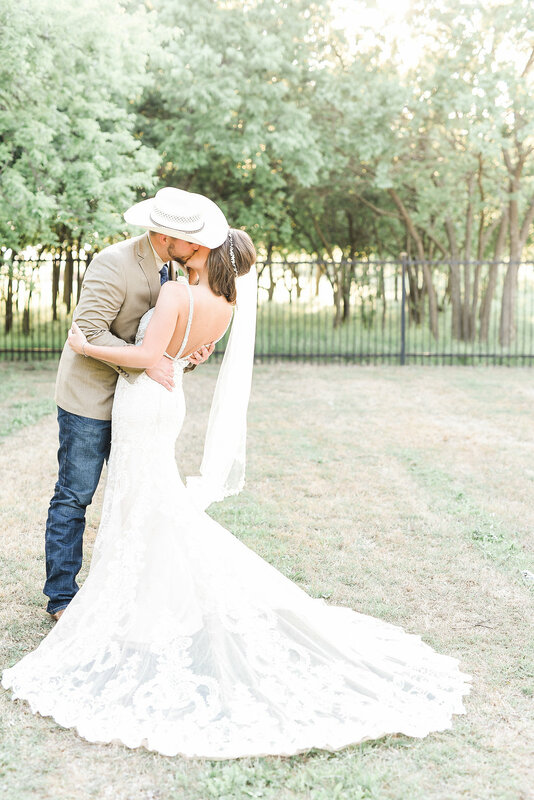 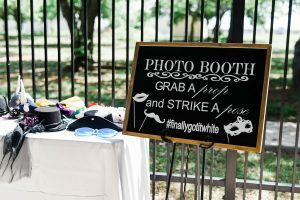 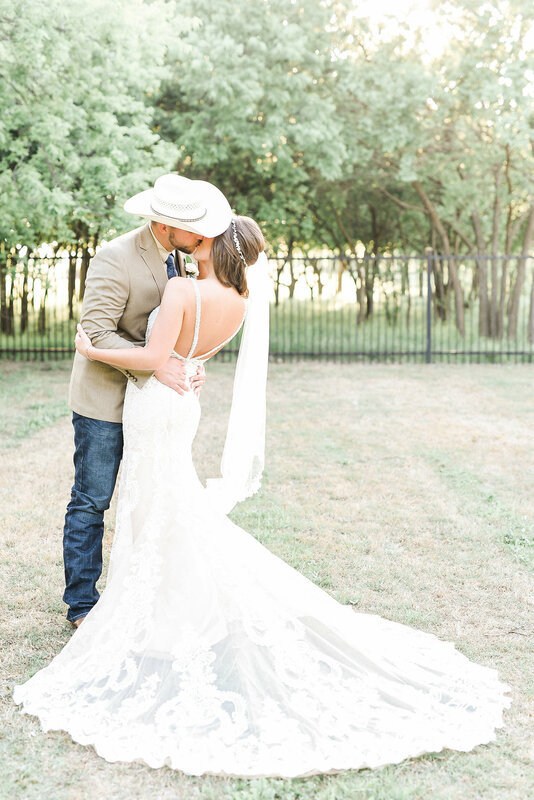 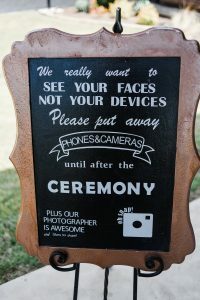 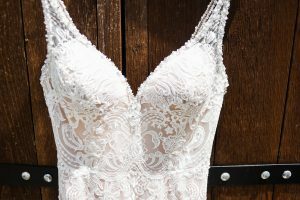 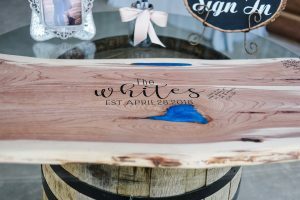 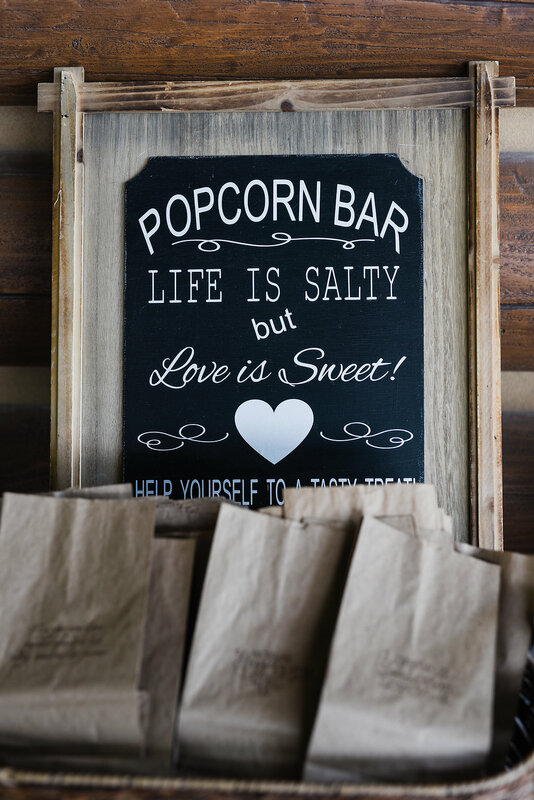 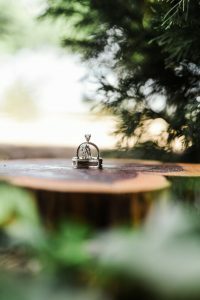 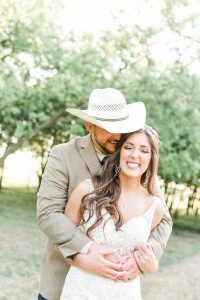 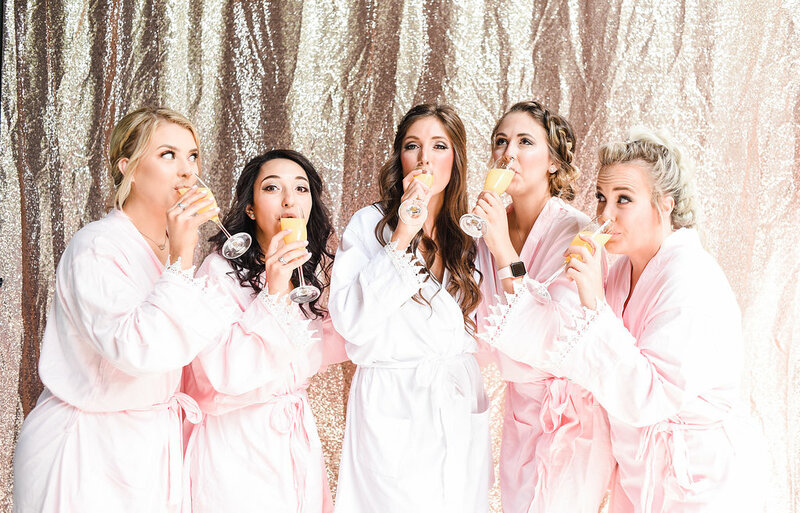 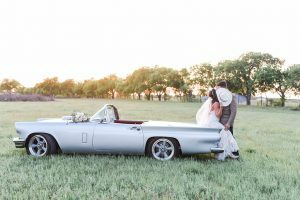 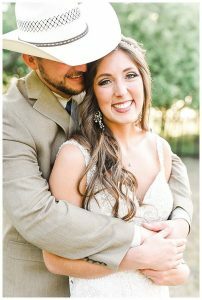 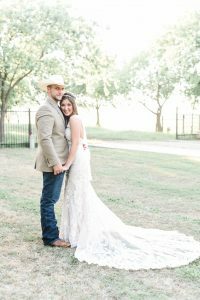 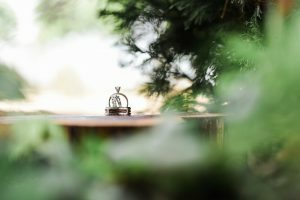 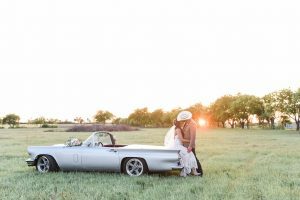 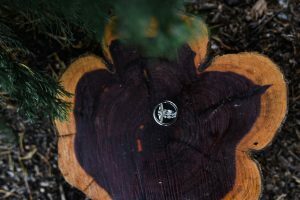 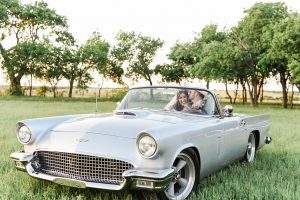 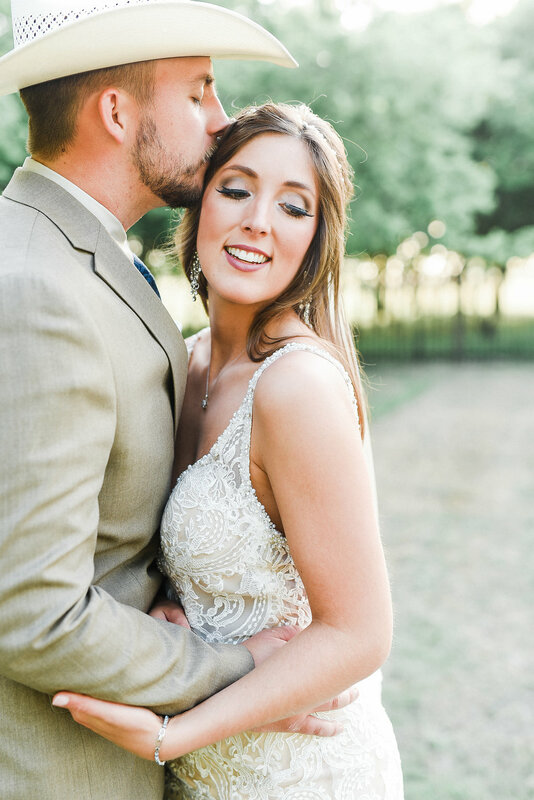 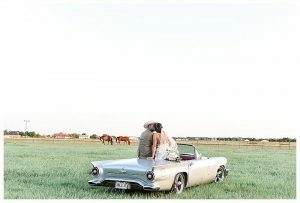 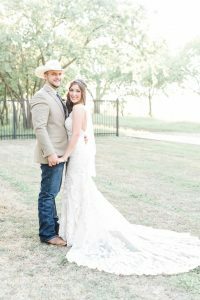 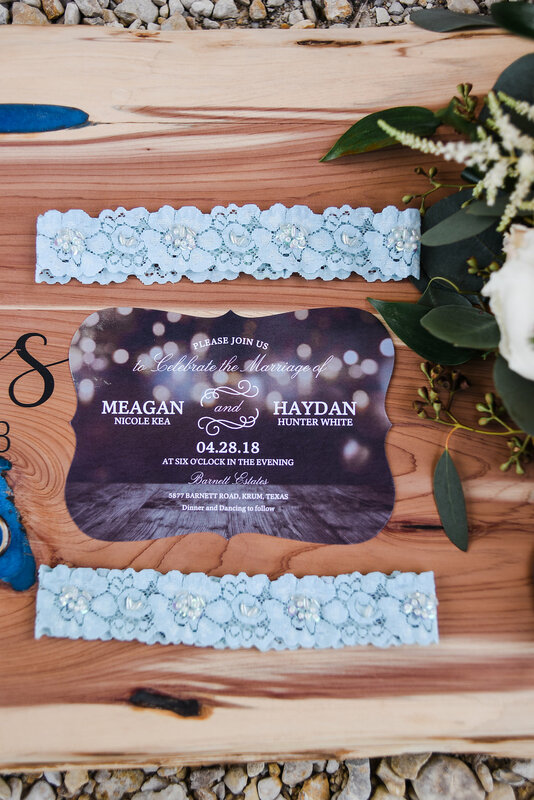 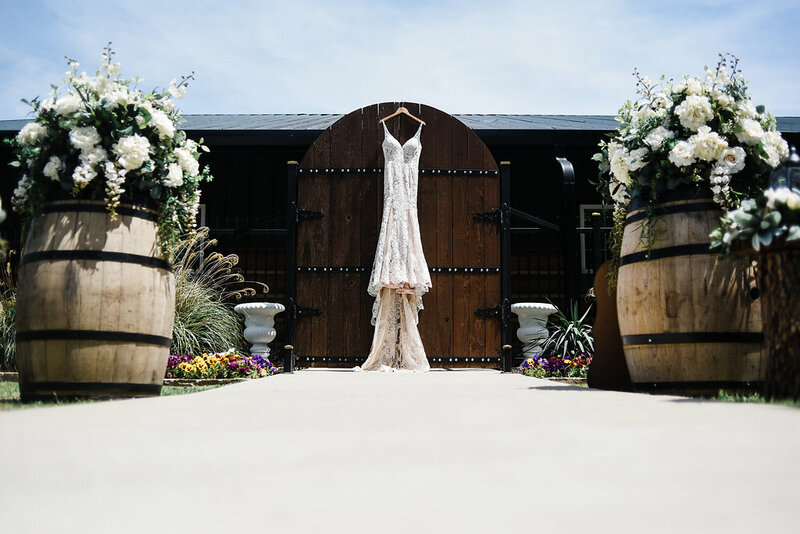 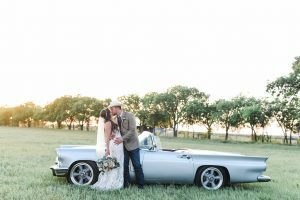 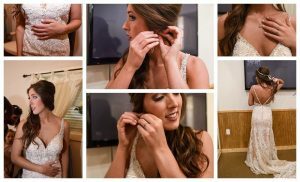 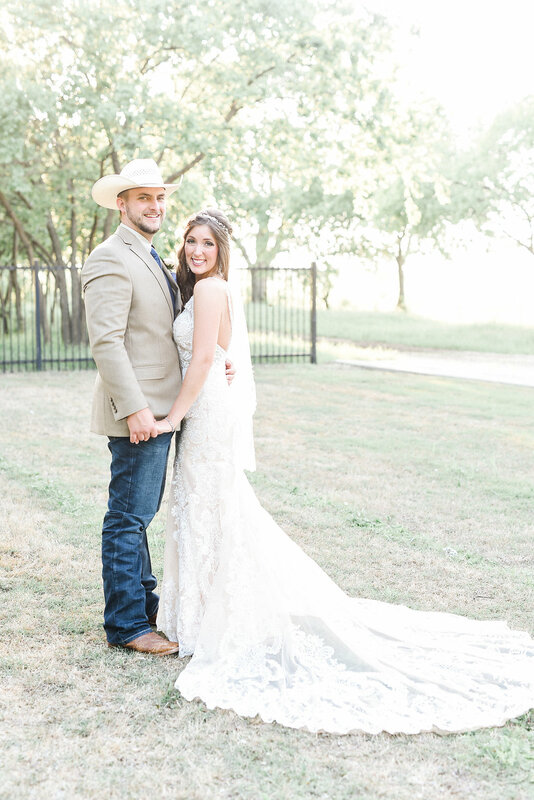 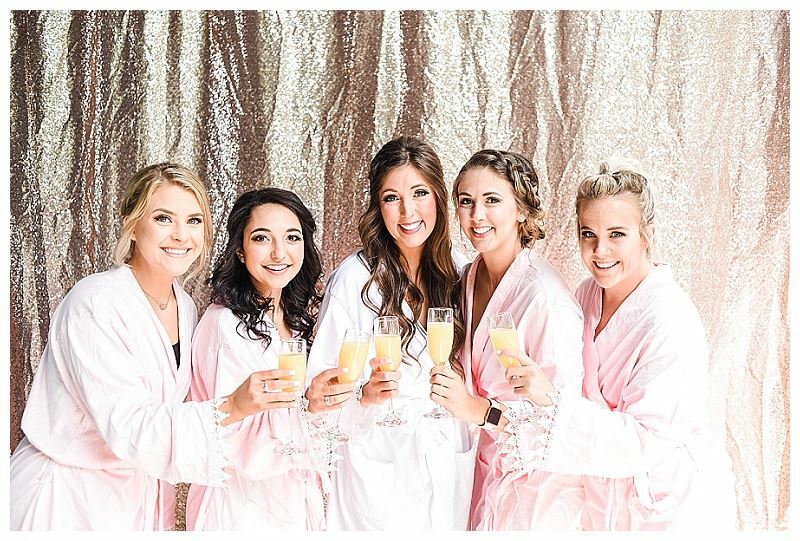 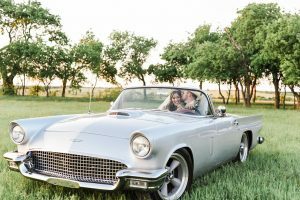 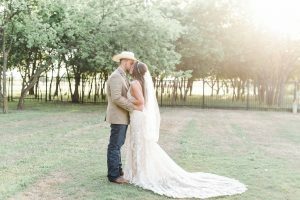 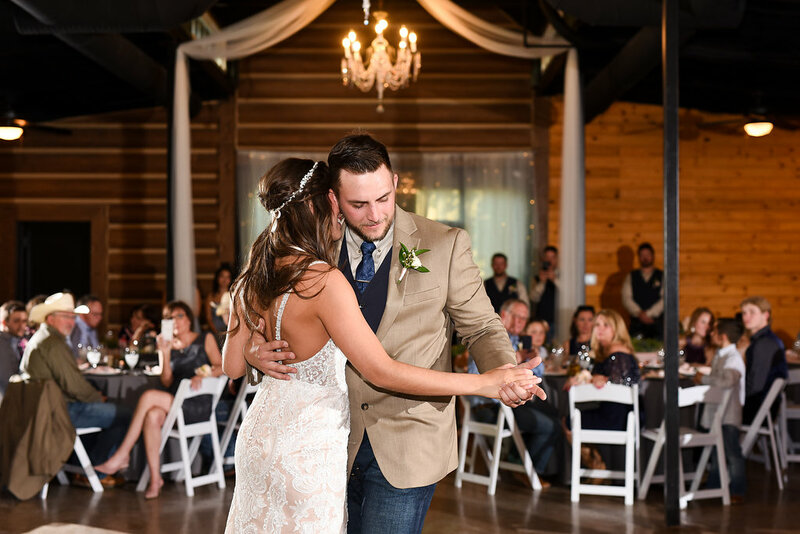 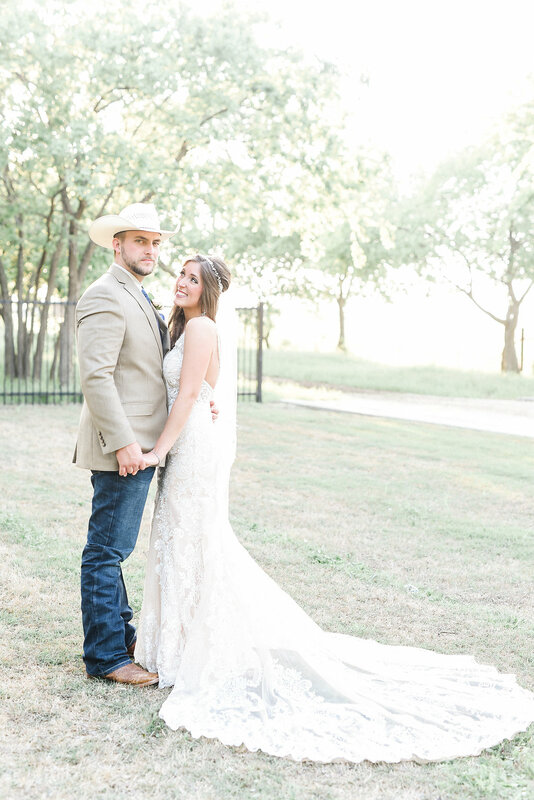 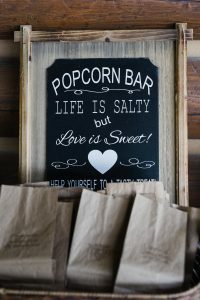 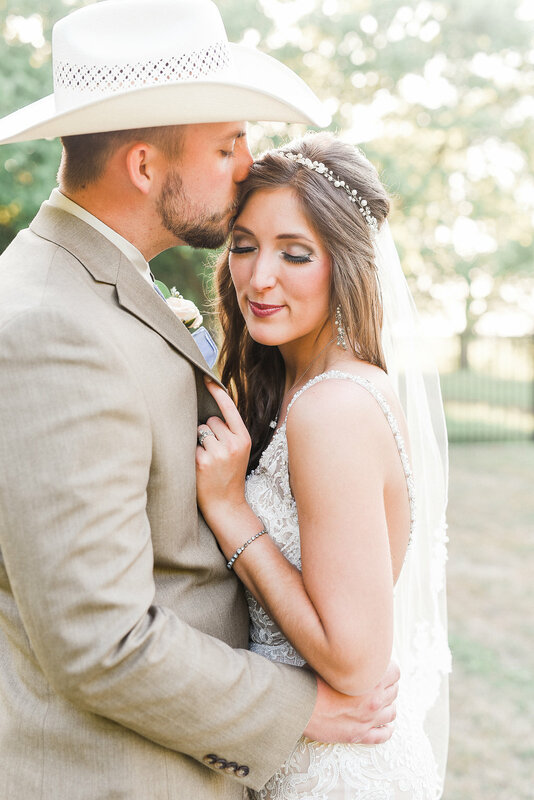 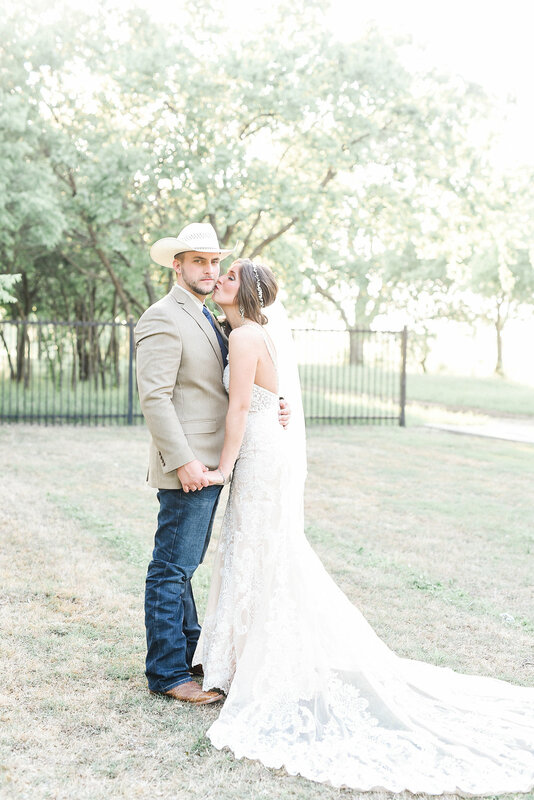 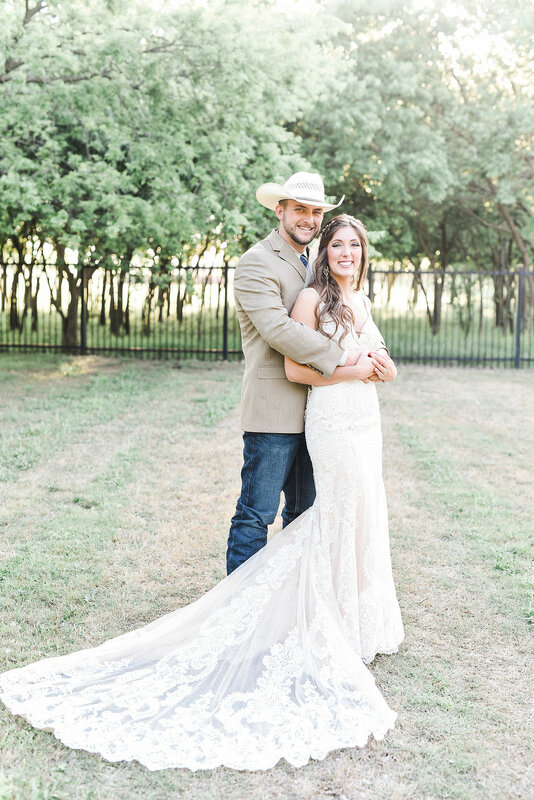 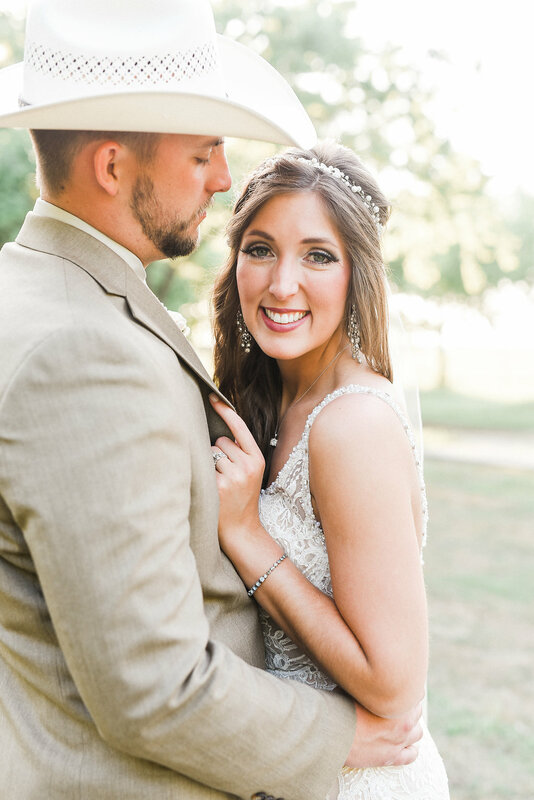 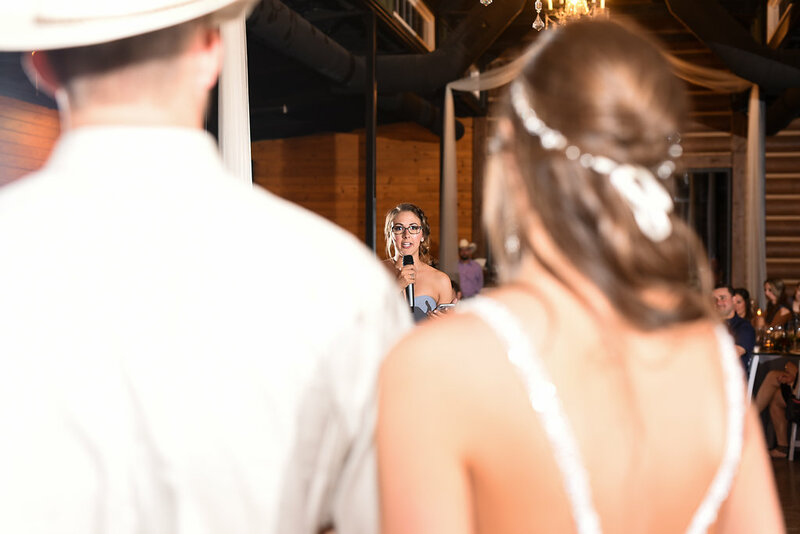 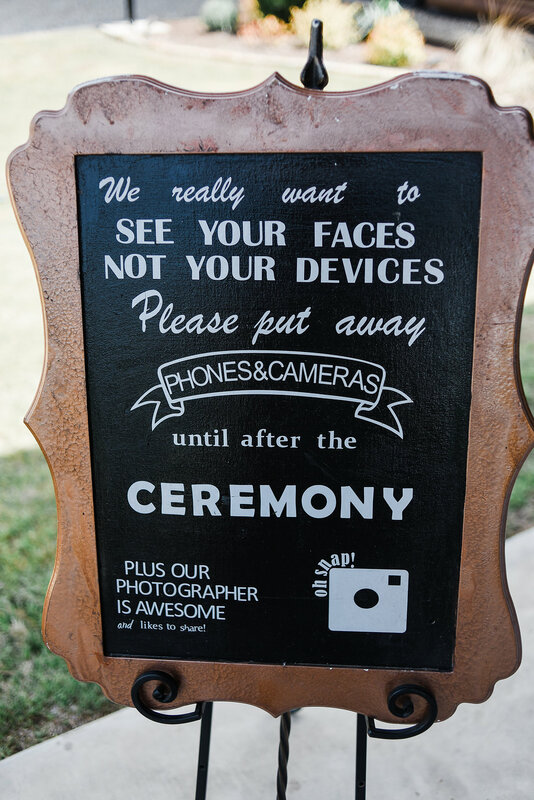 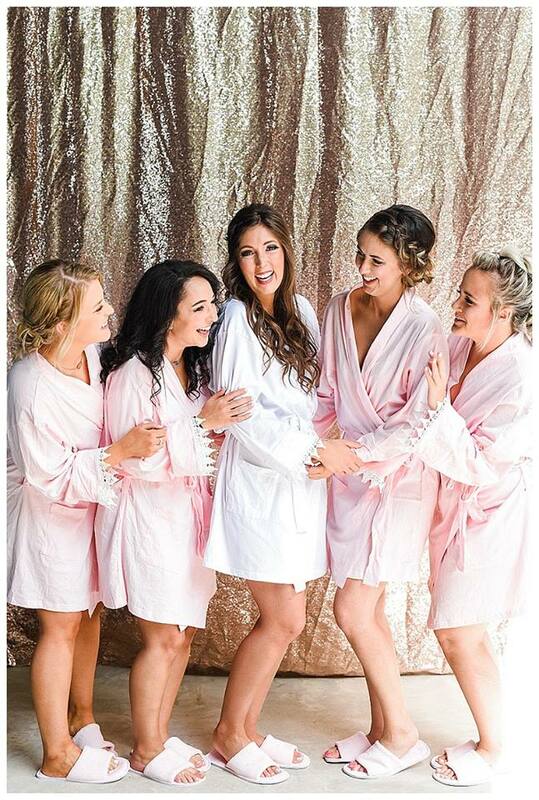 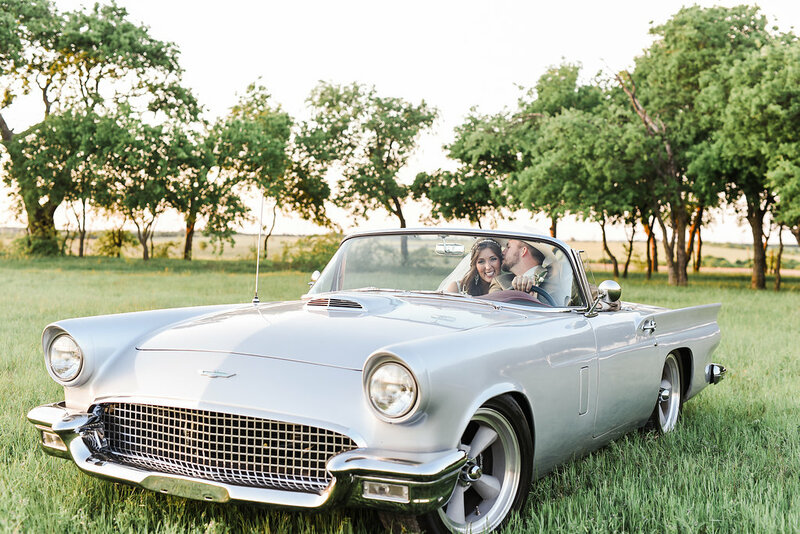 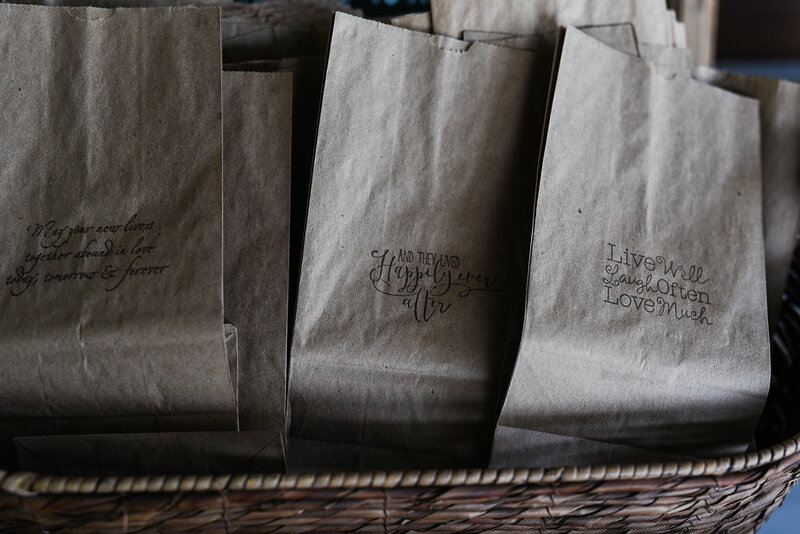 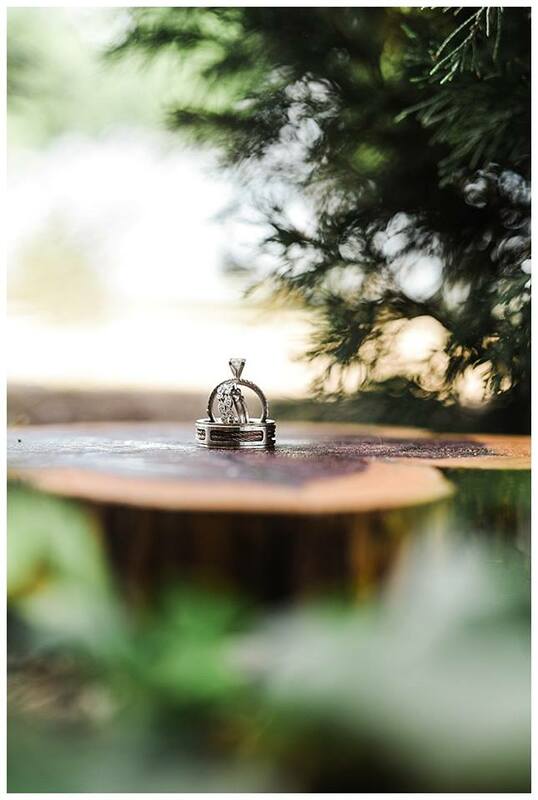 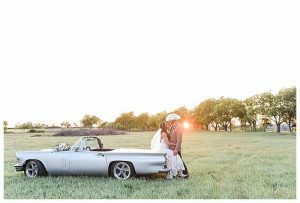 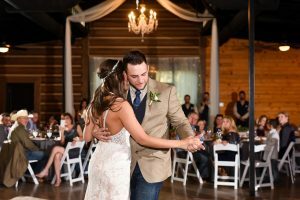 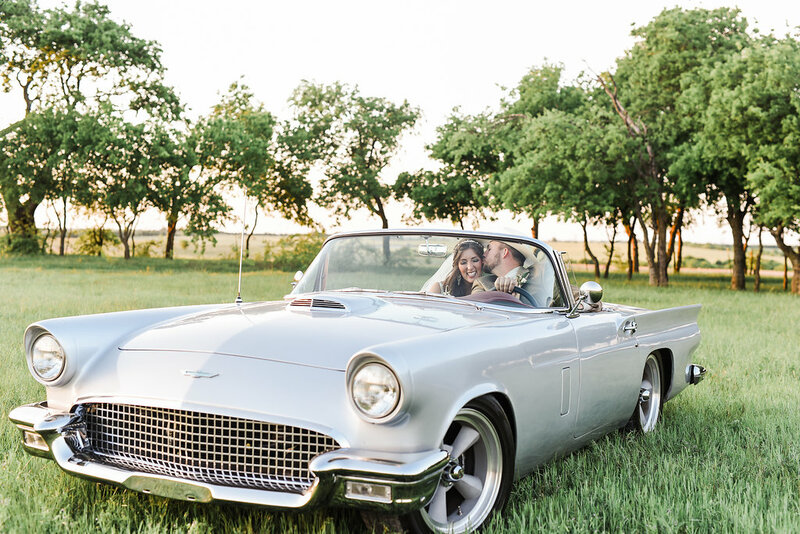 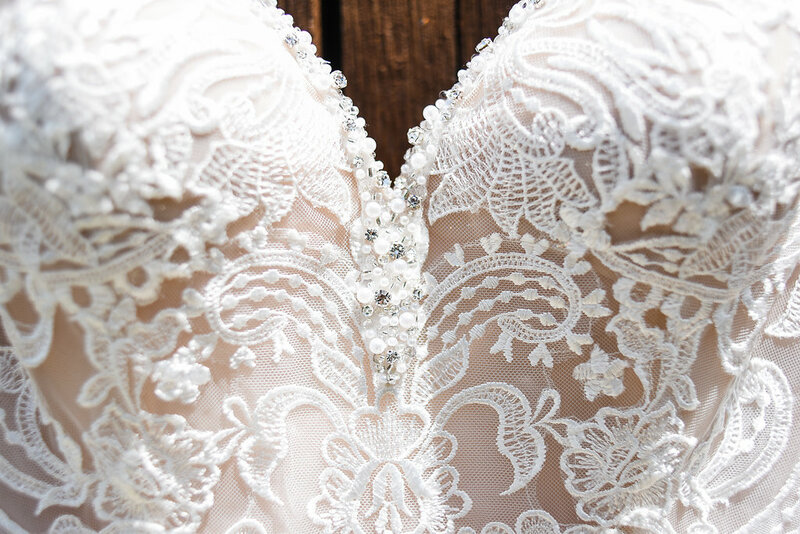 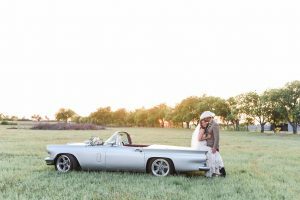 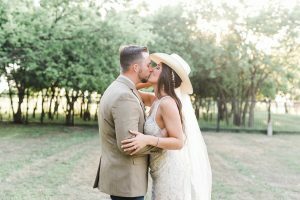 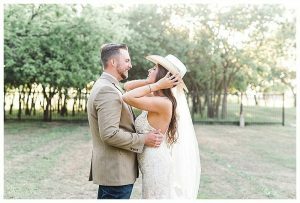 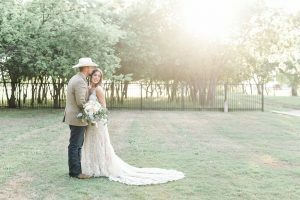 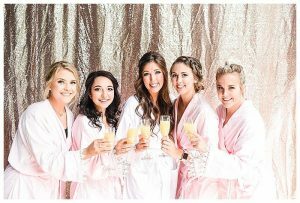 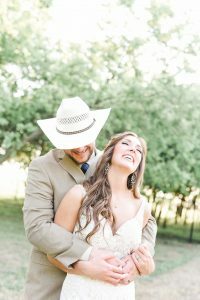 Meet Meagan & Haydan, we are excited to share a glimpse into their big day here with us at Barnett Estates. 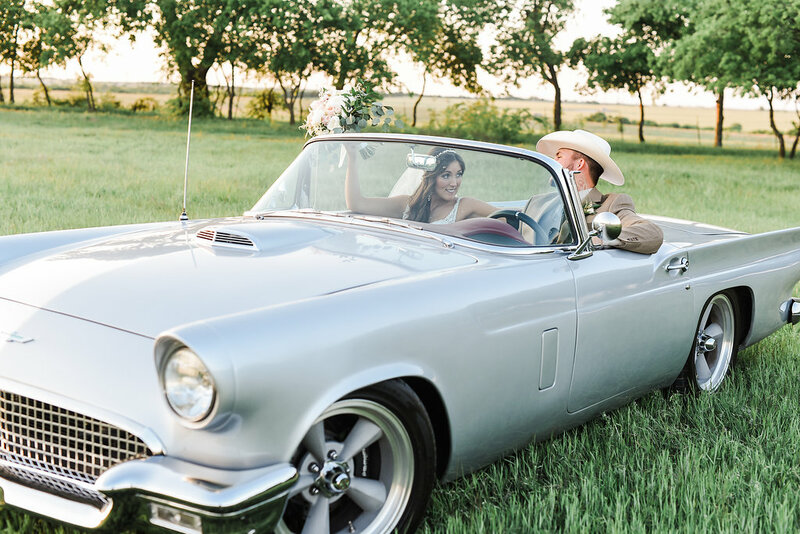 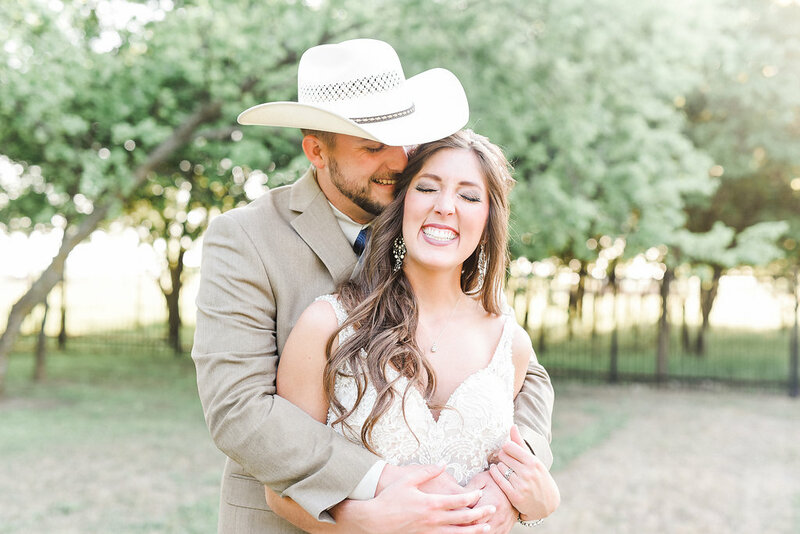 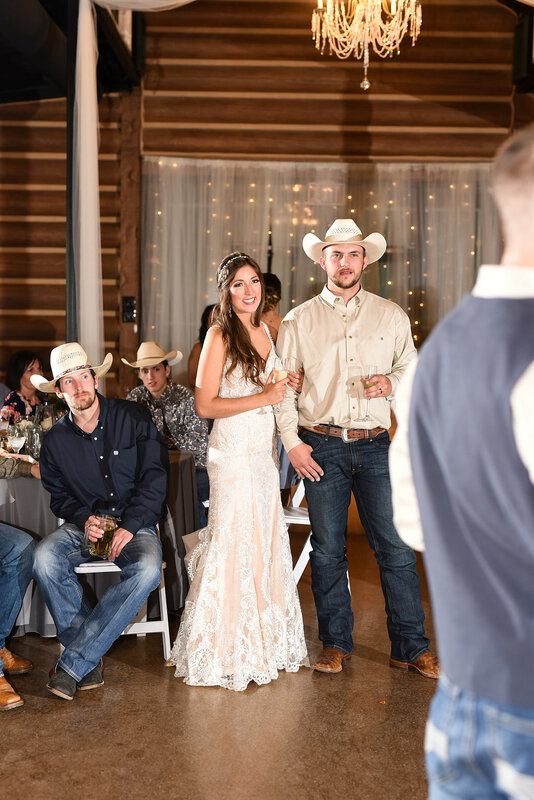 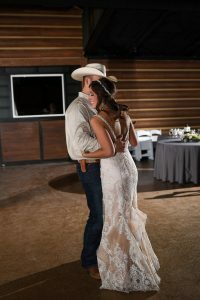 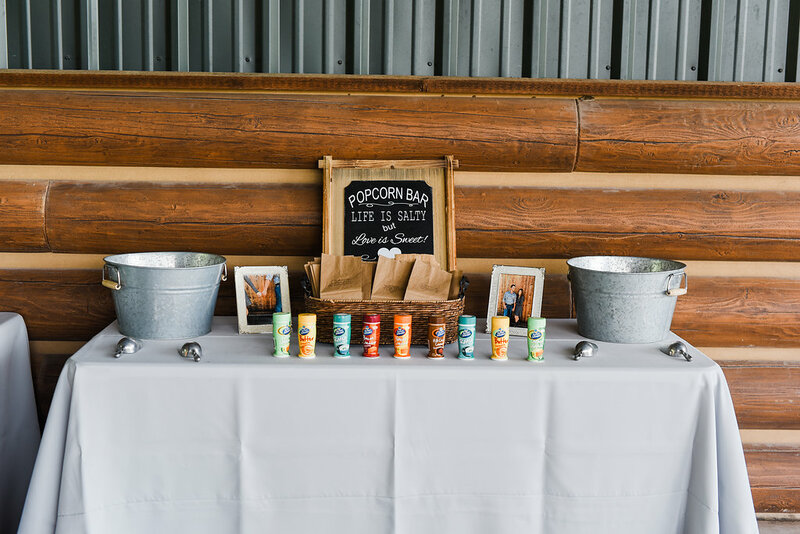 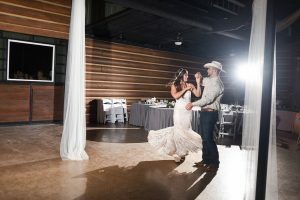 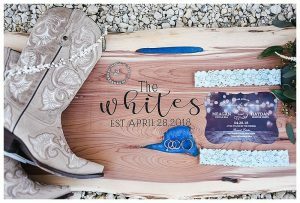 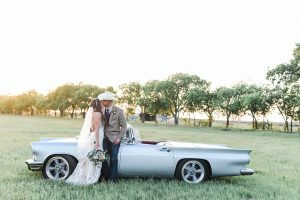 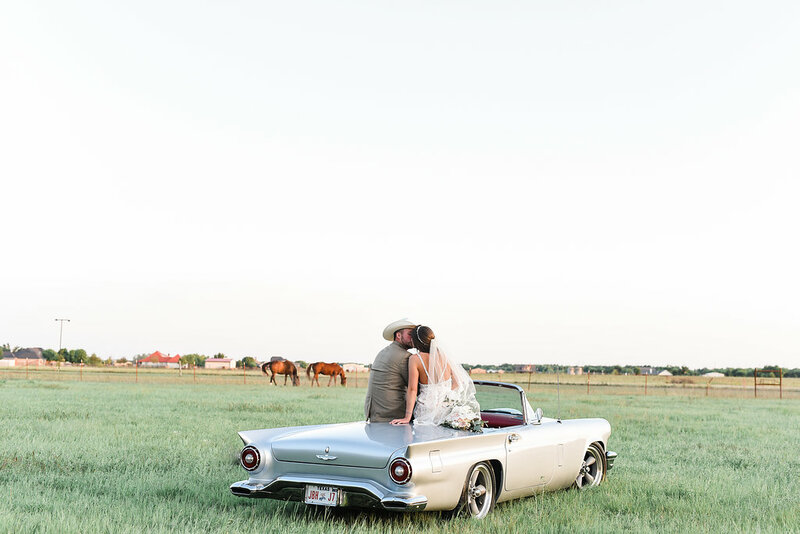 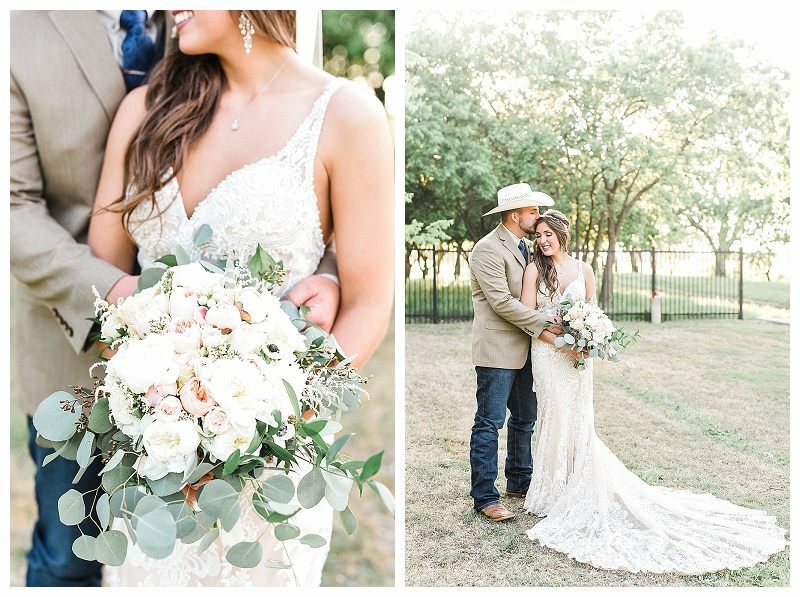 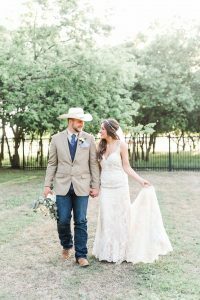 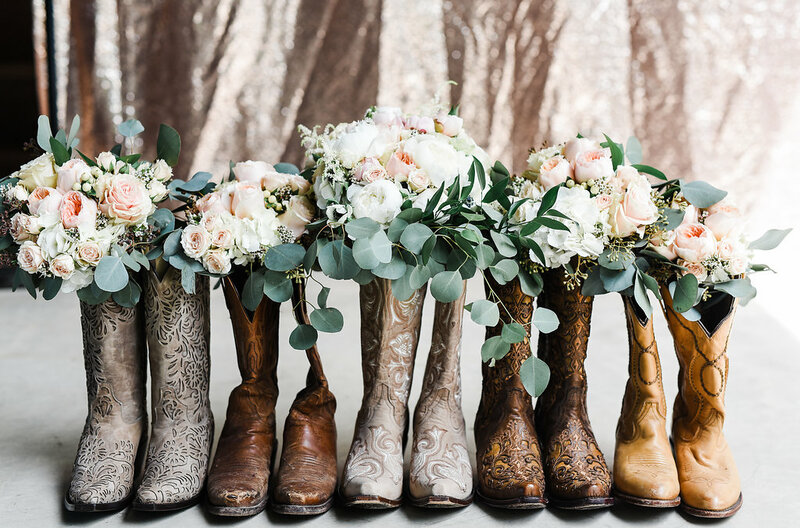 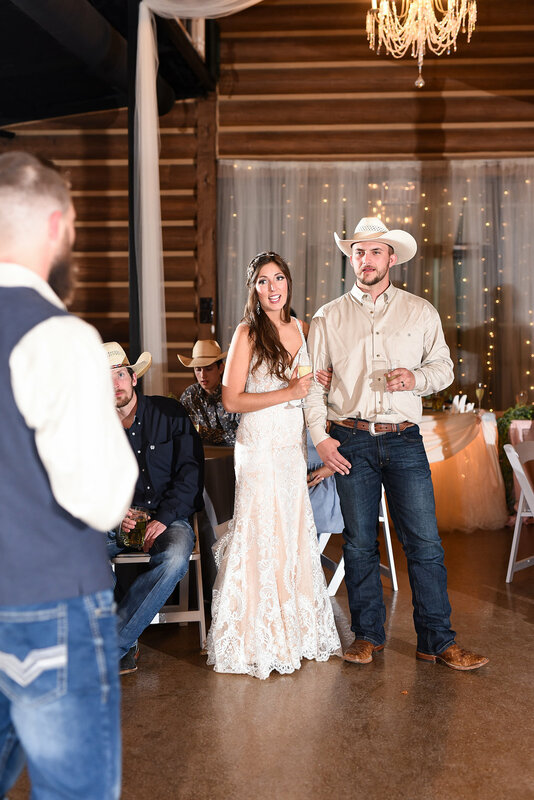 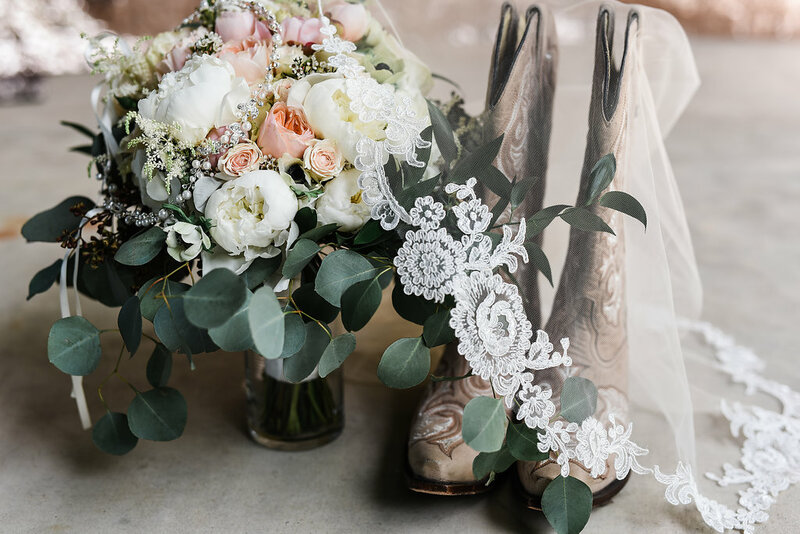 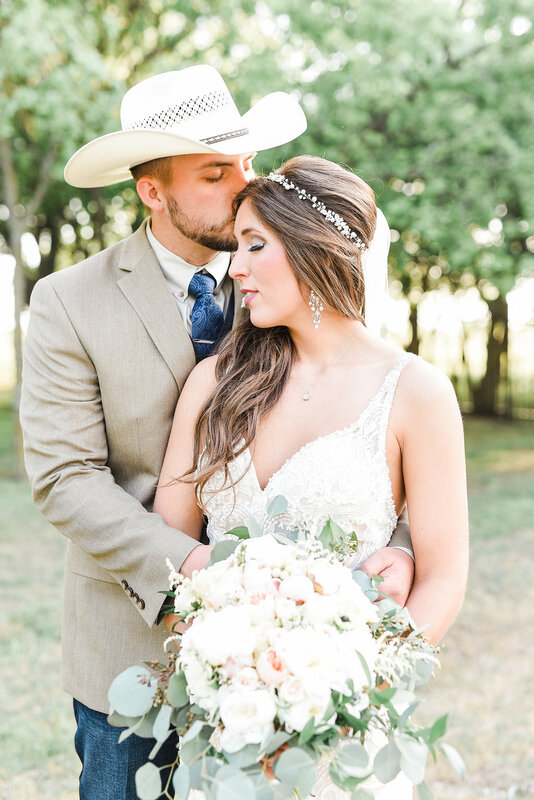 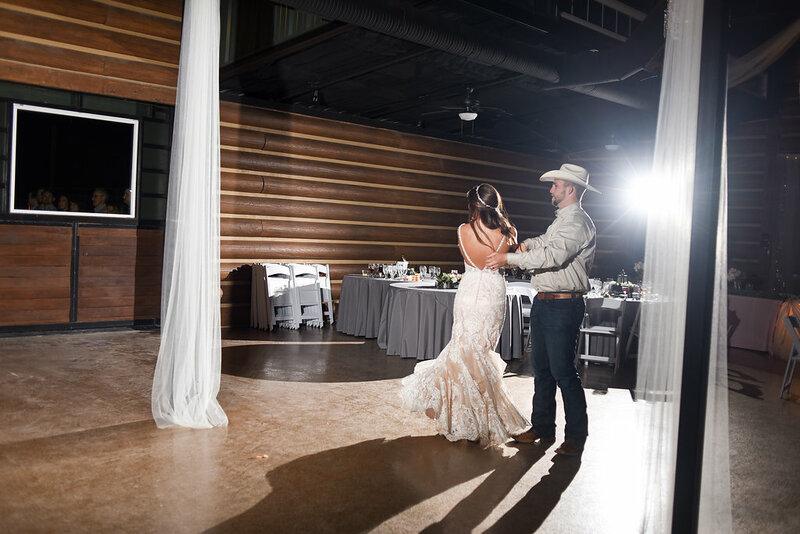 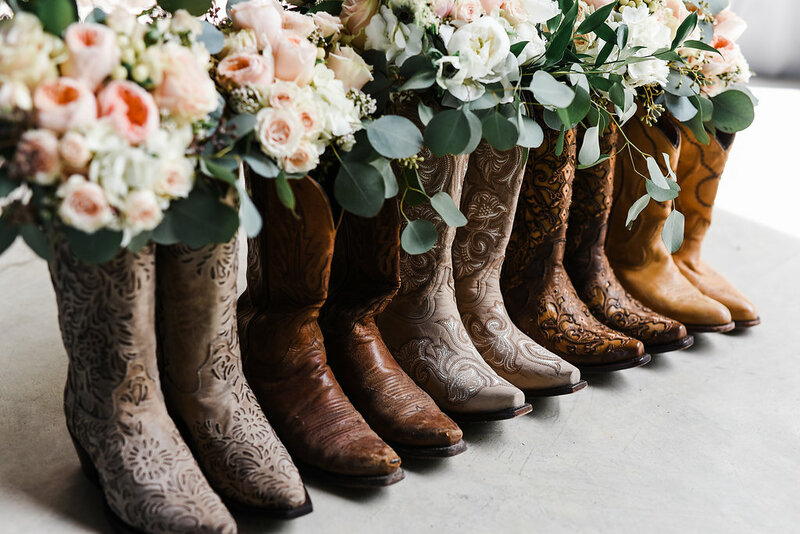 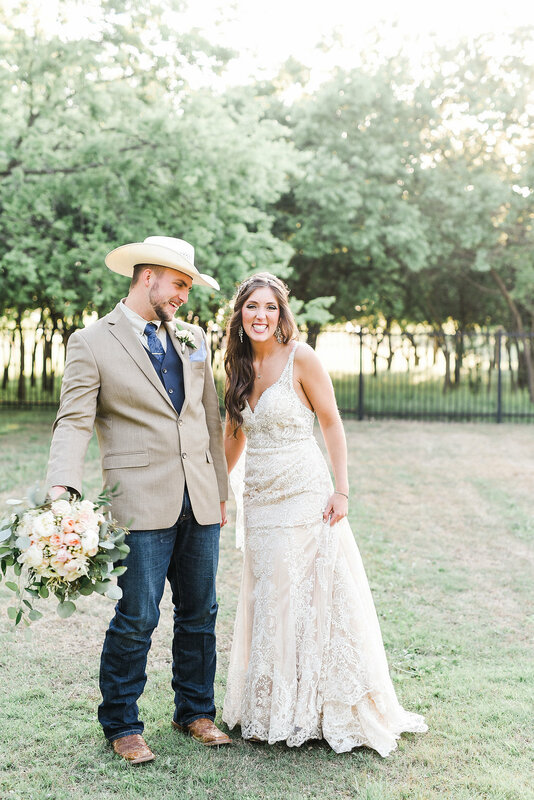 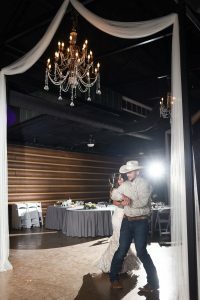 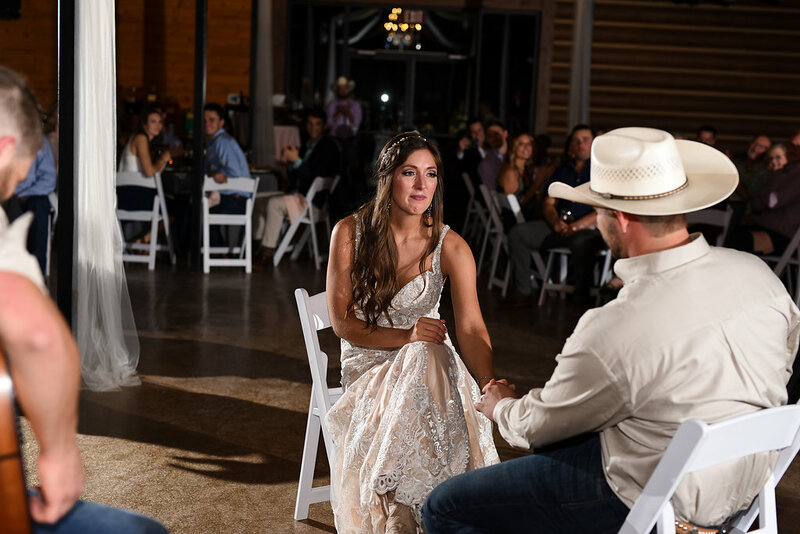 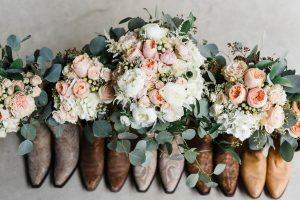 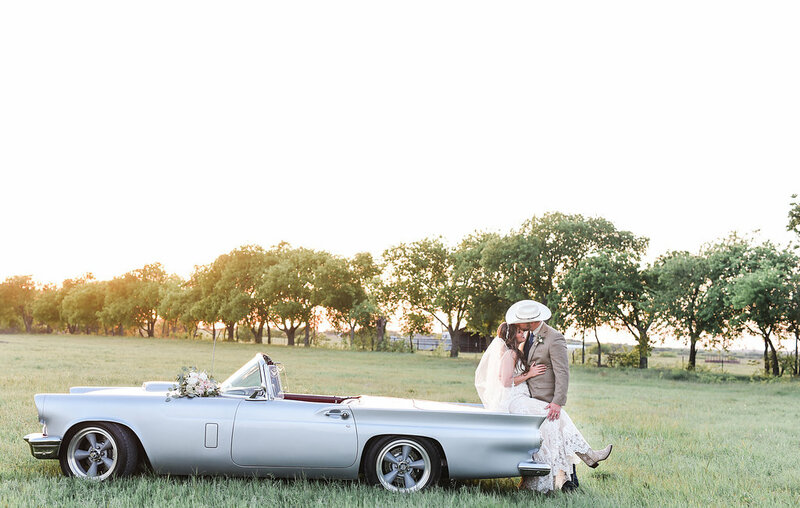 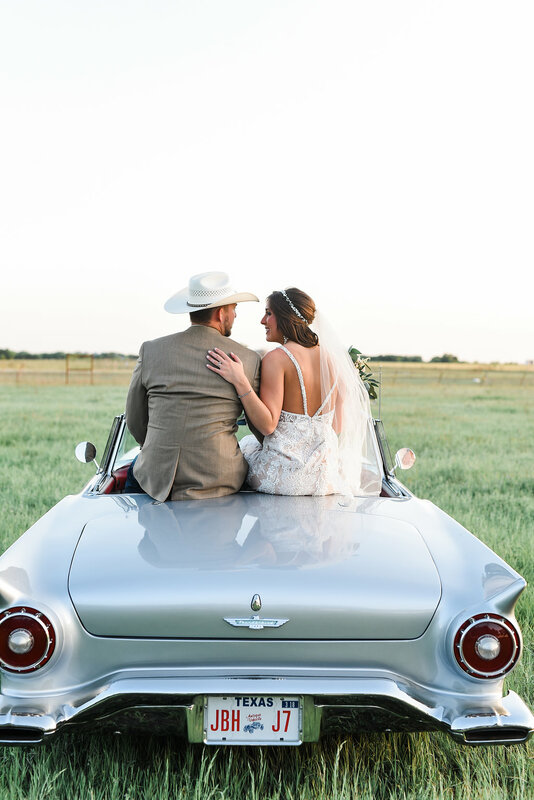 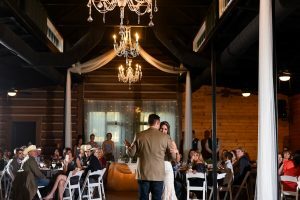 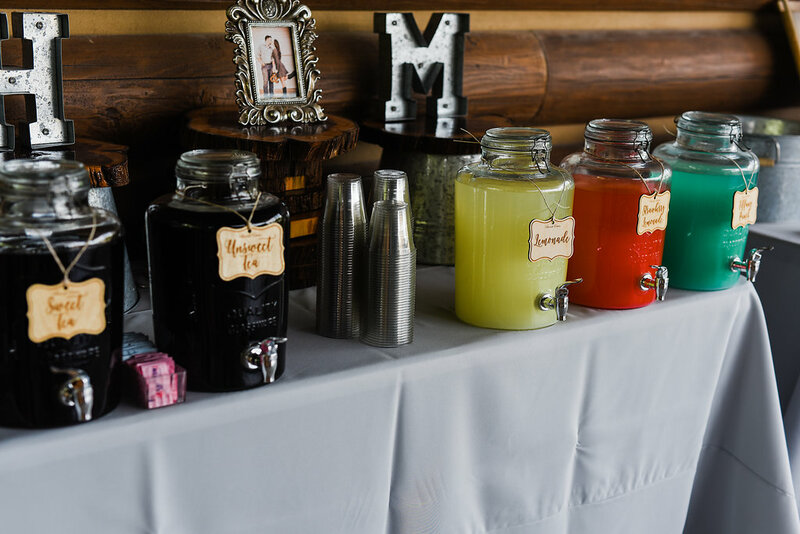 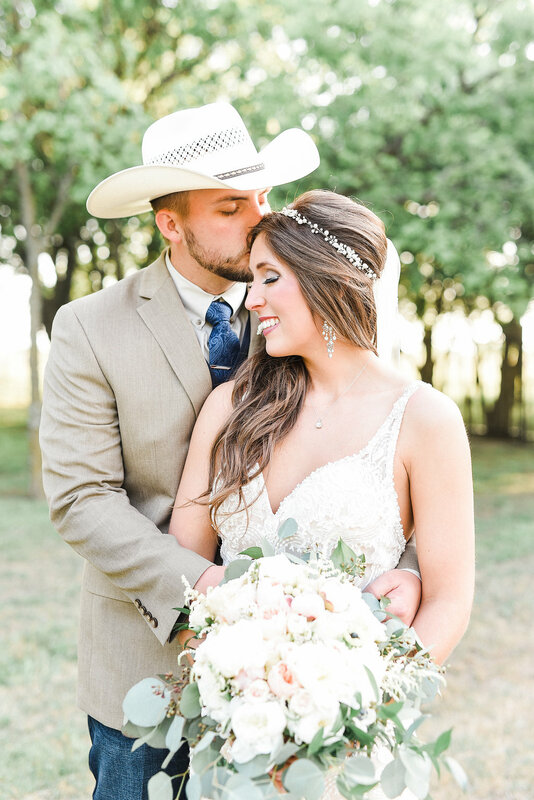 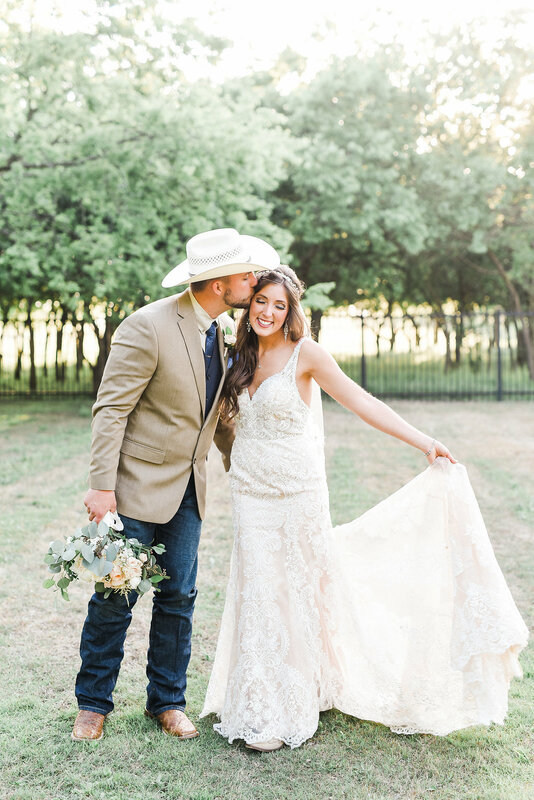 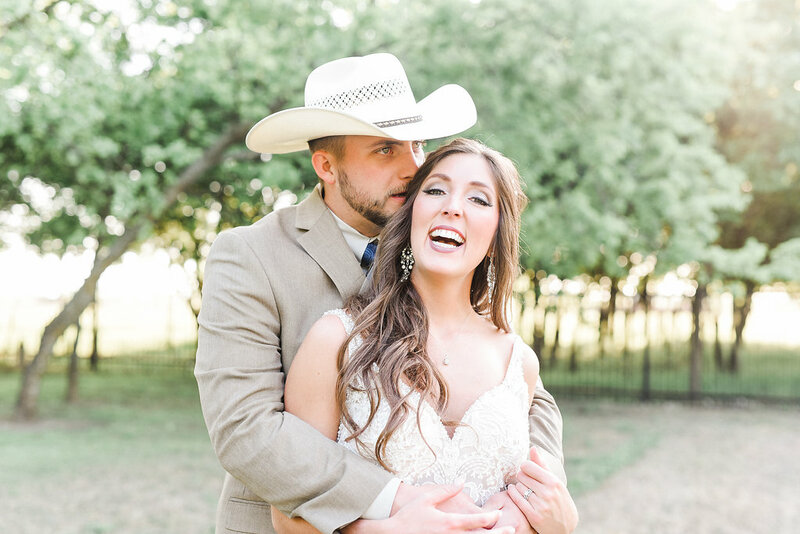 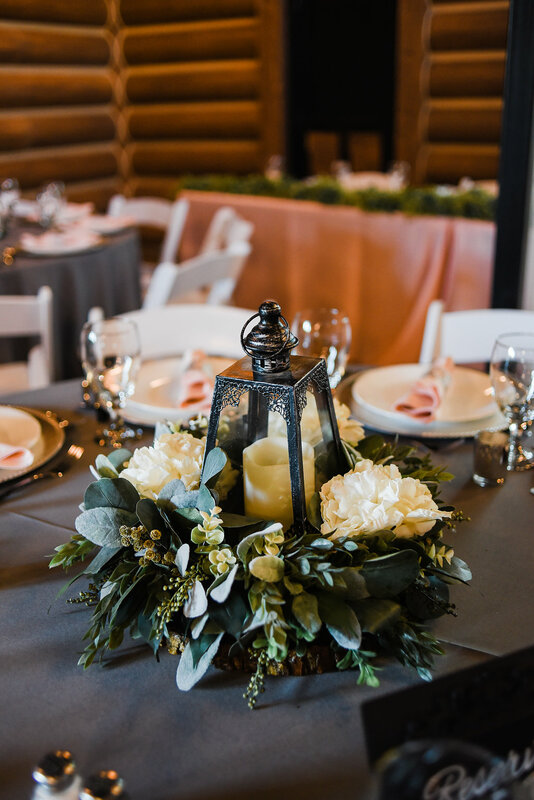 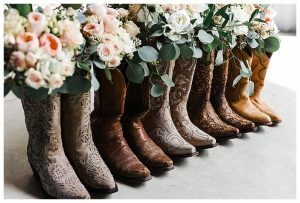 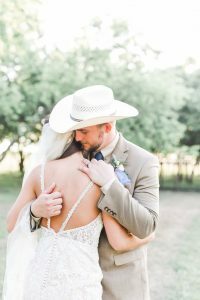 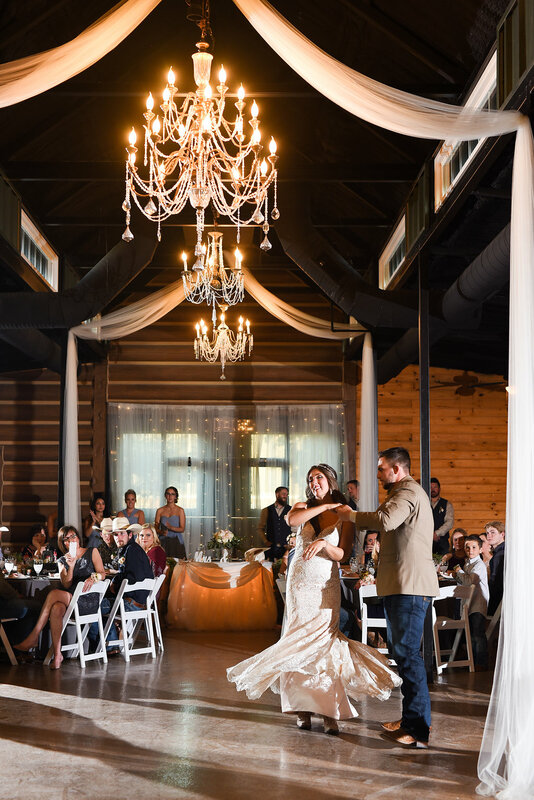 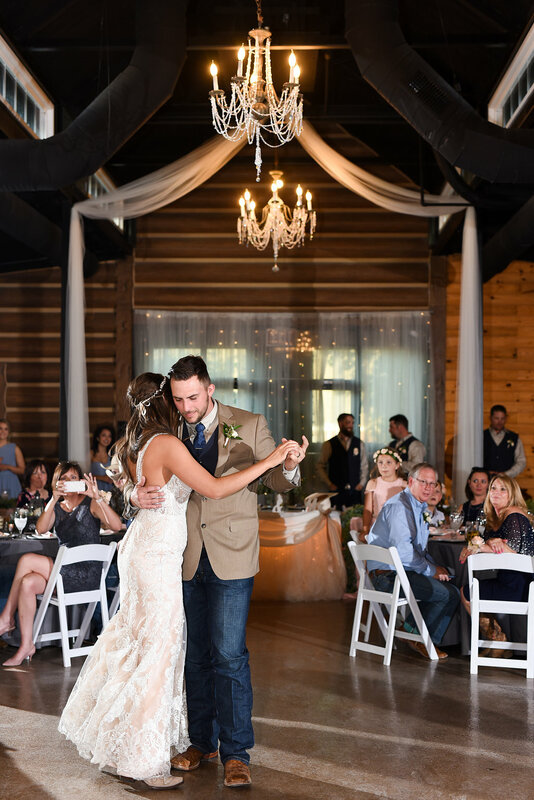 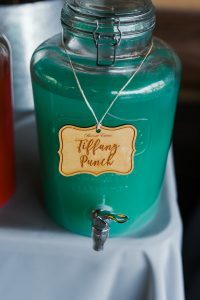 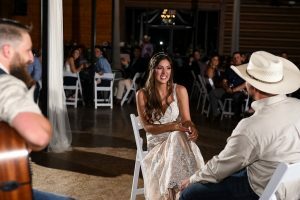 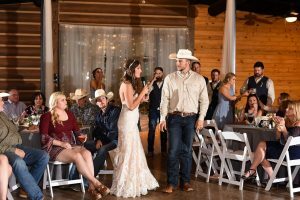 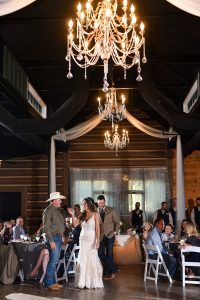 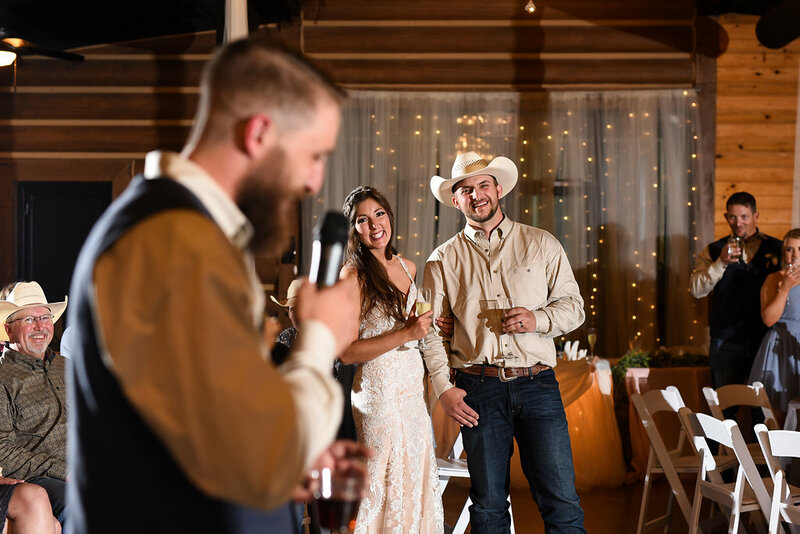 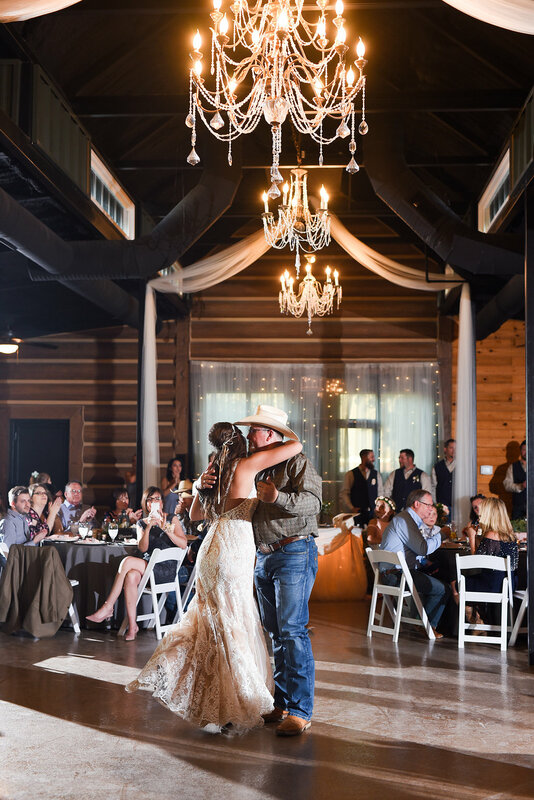 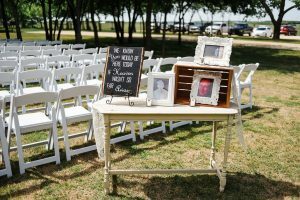 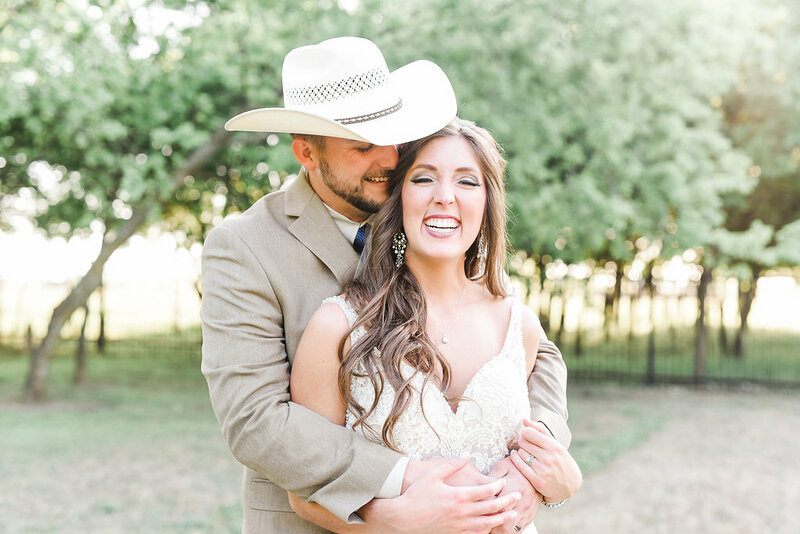 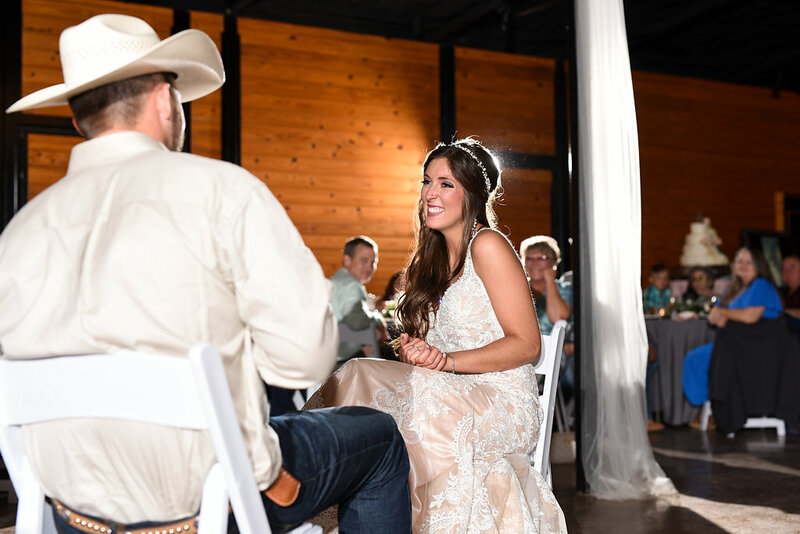 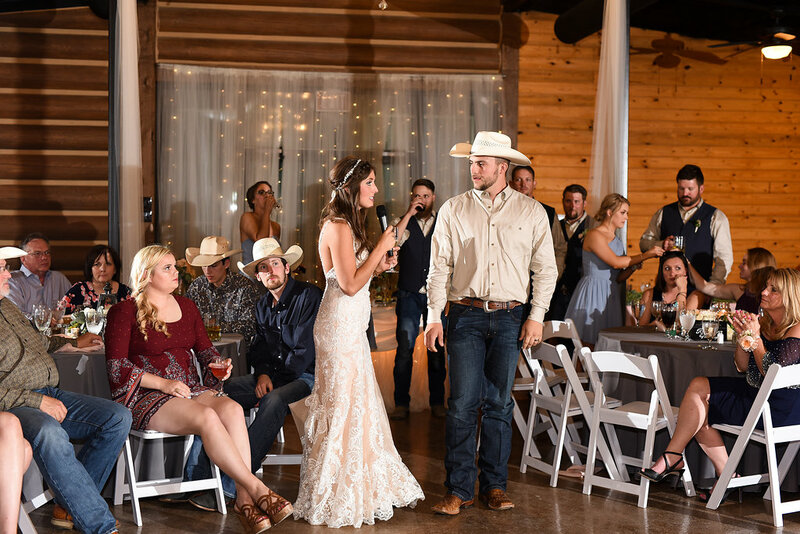 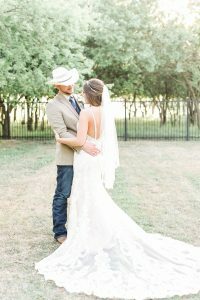 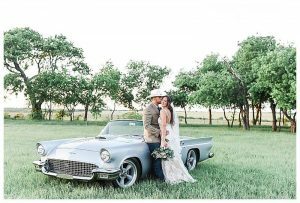 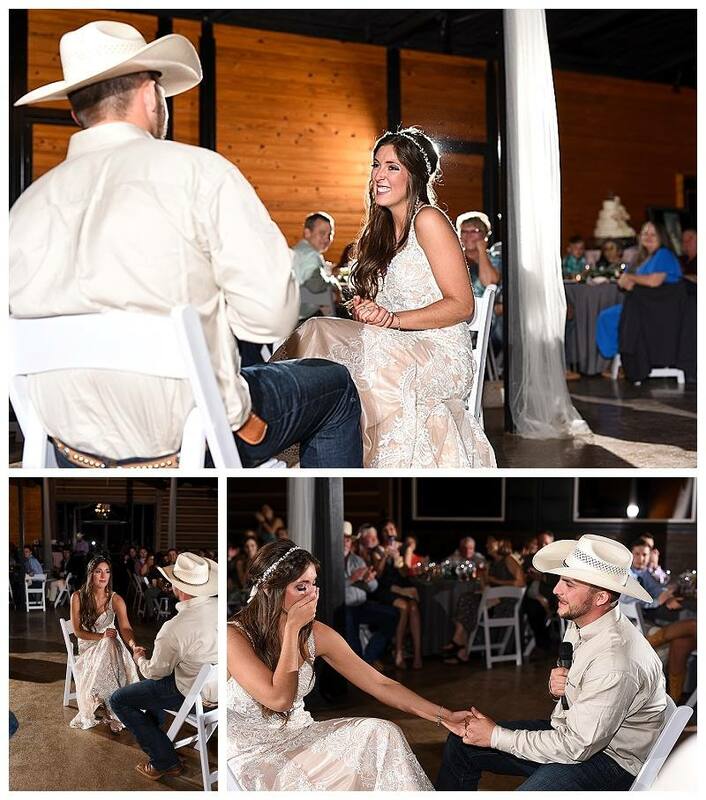 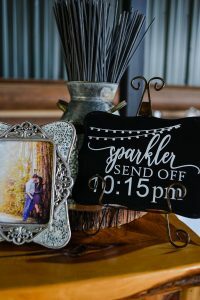 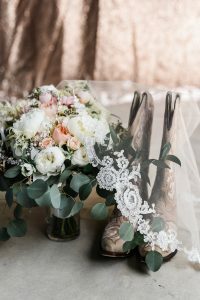 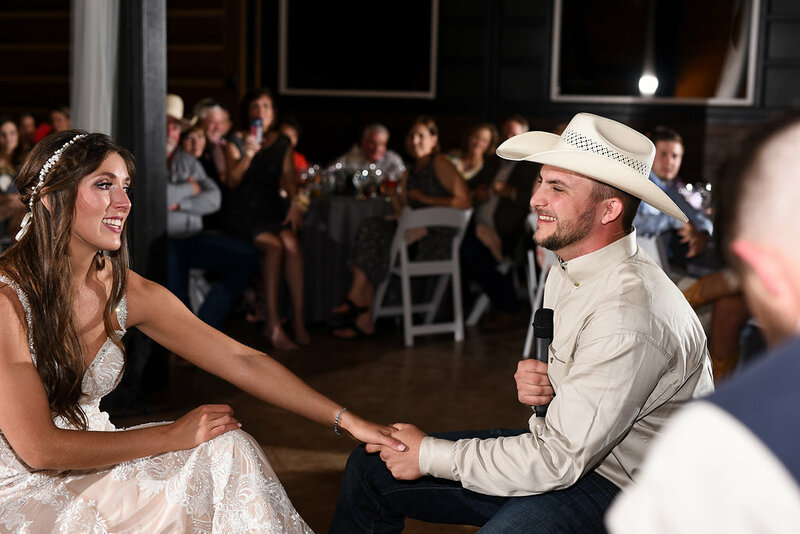 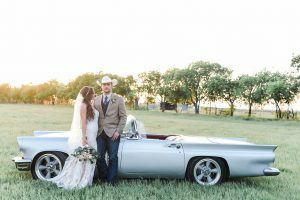 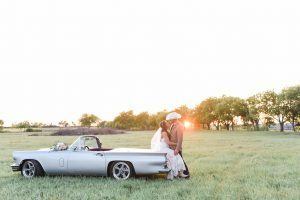 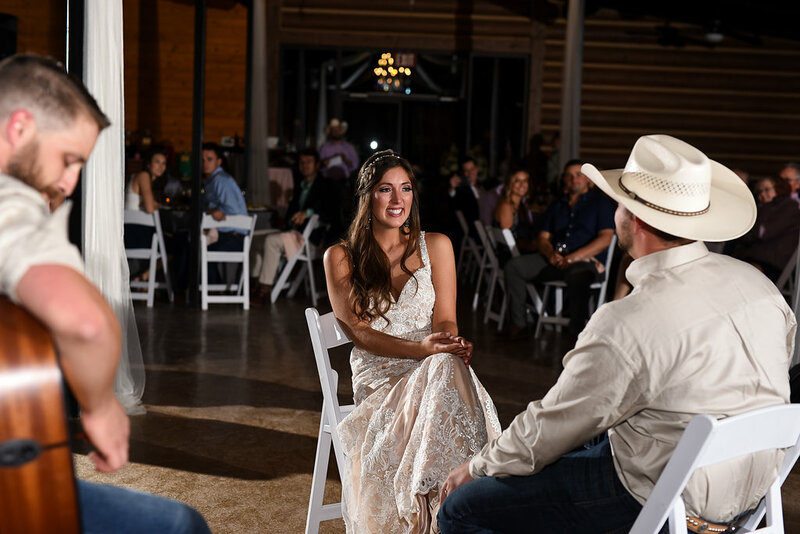 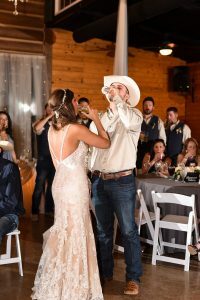 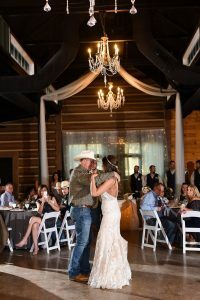 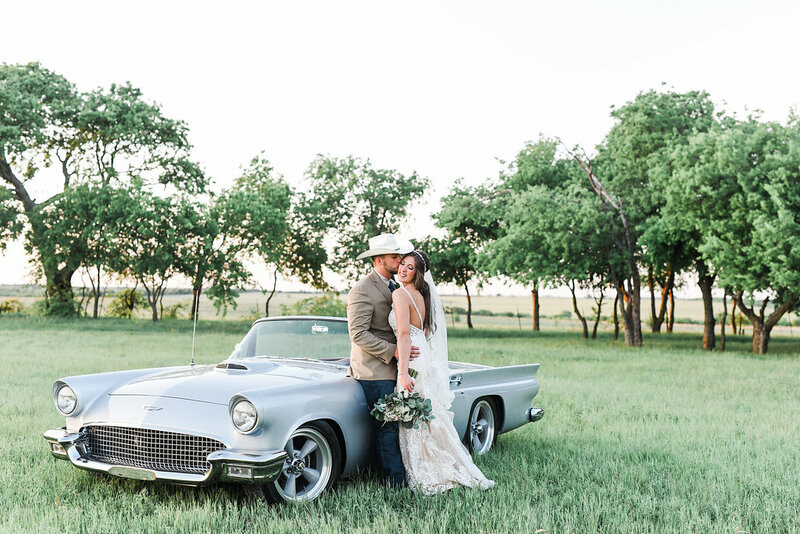 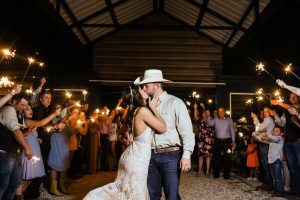 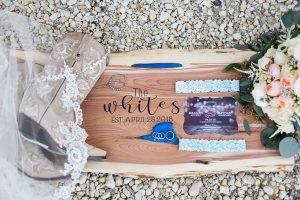 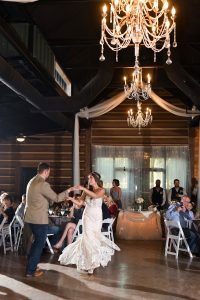 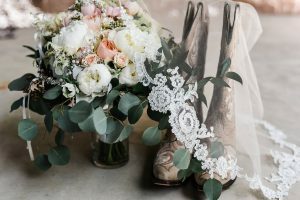 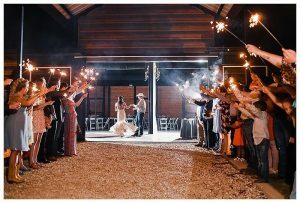 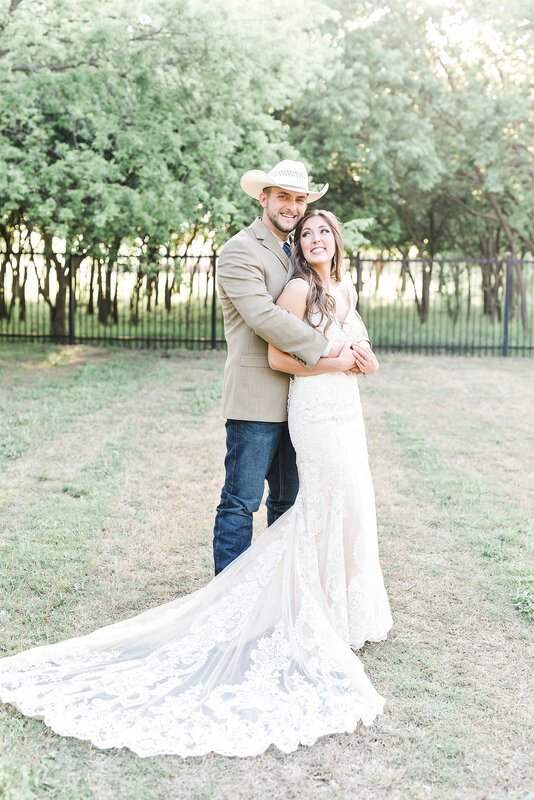 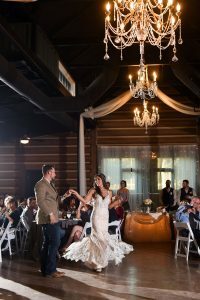 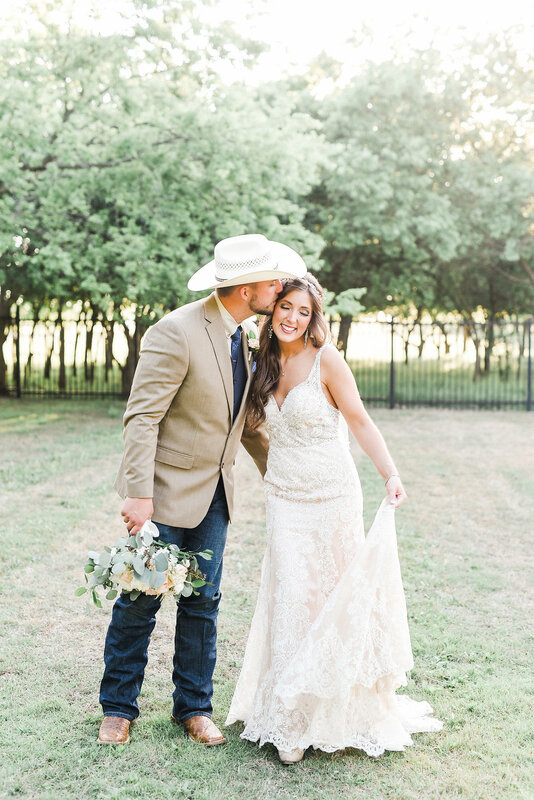 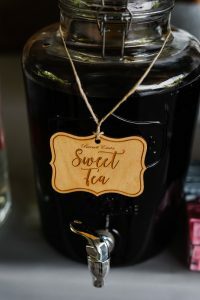 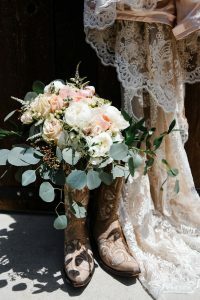 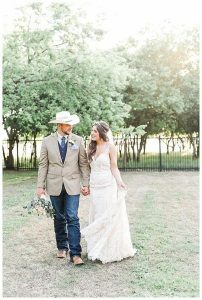 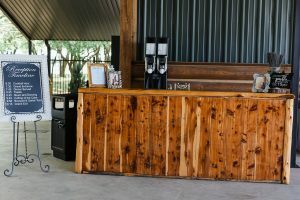 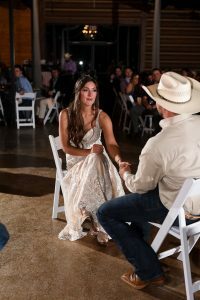 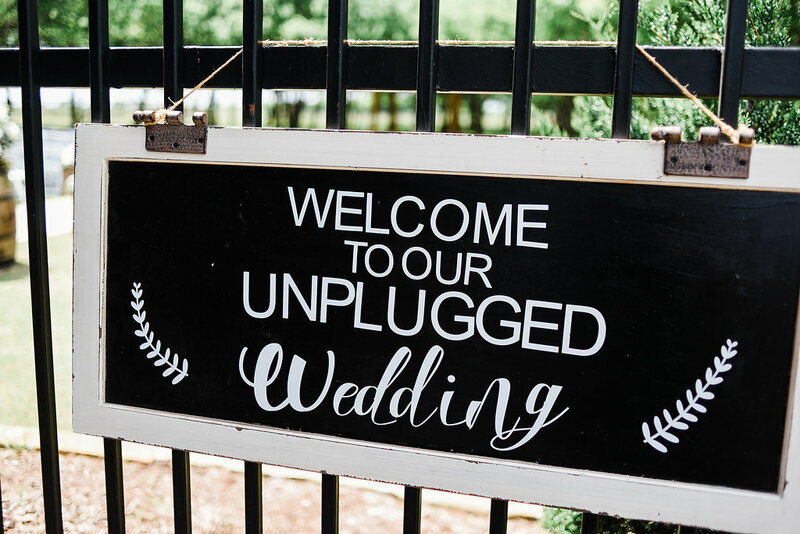 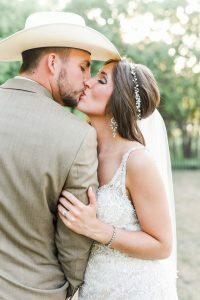 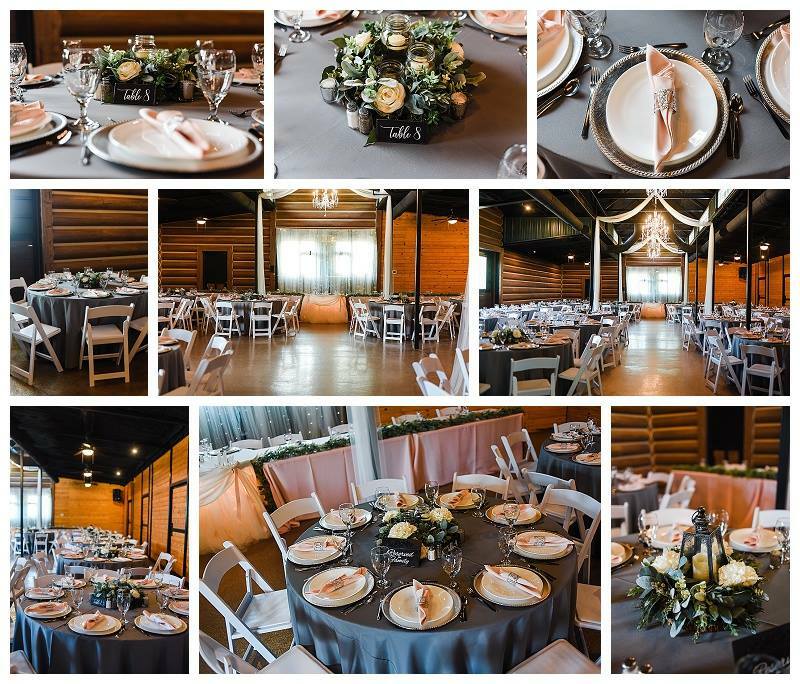 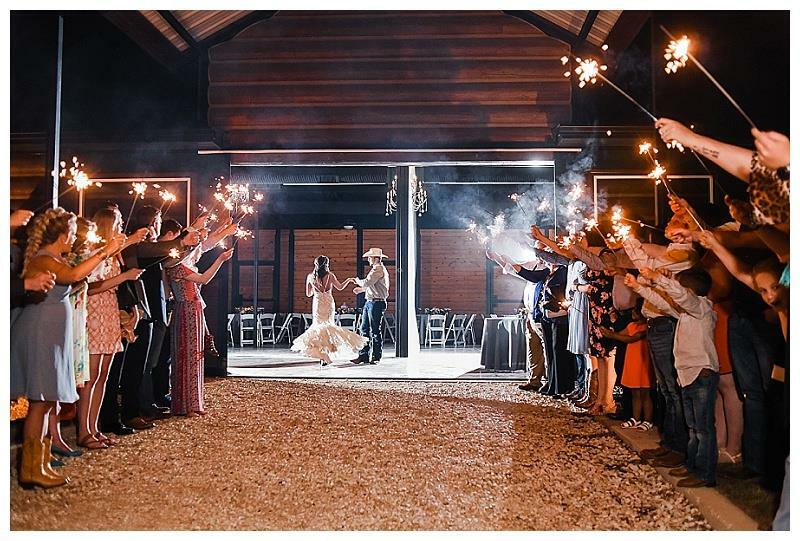 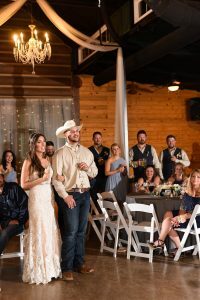 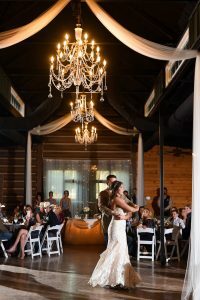 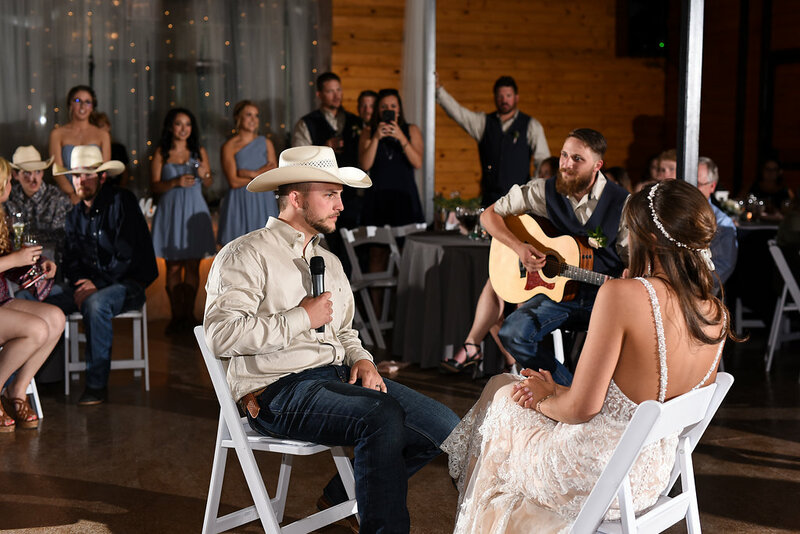 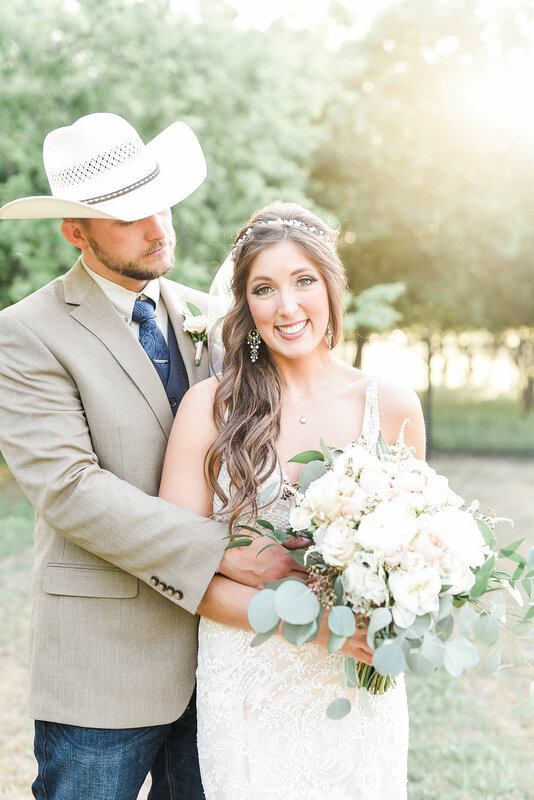 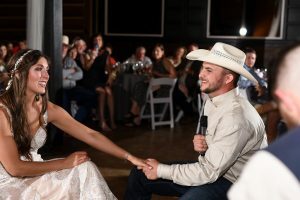 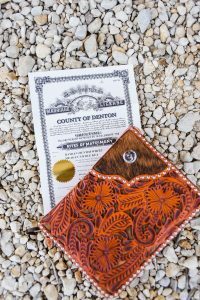 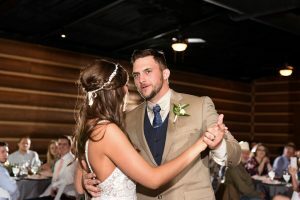 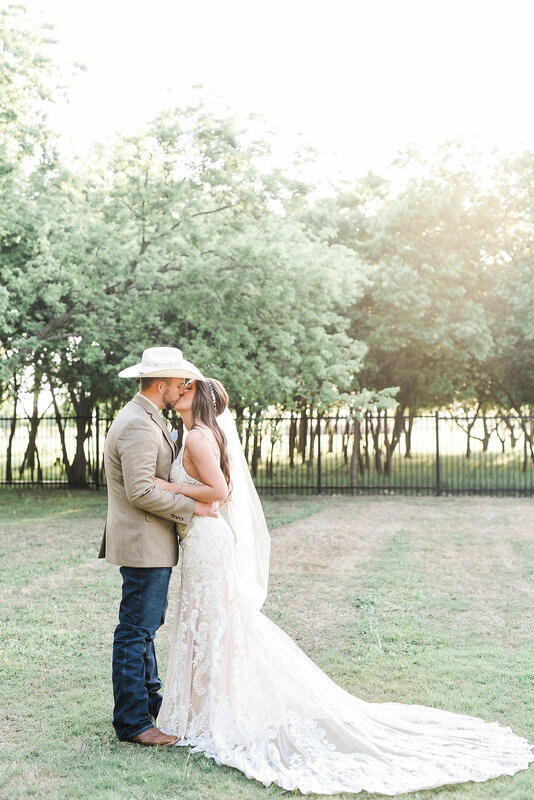 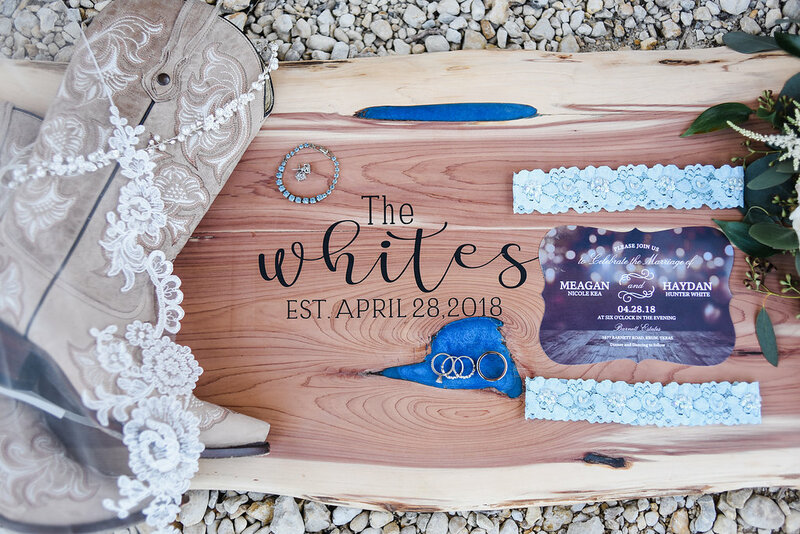 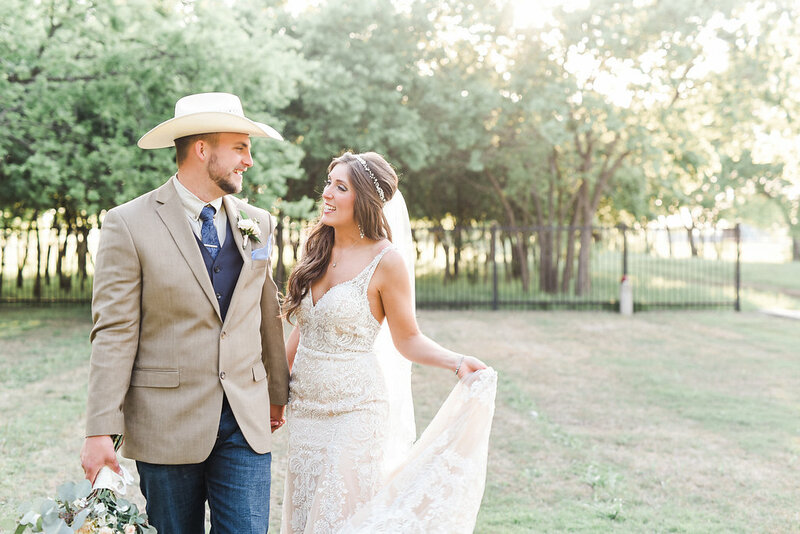 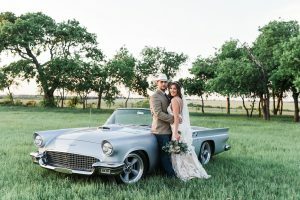 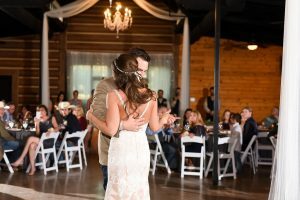 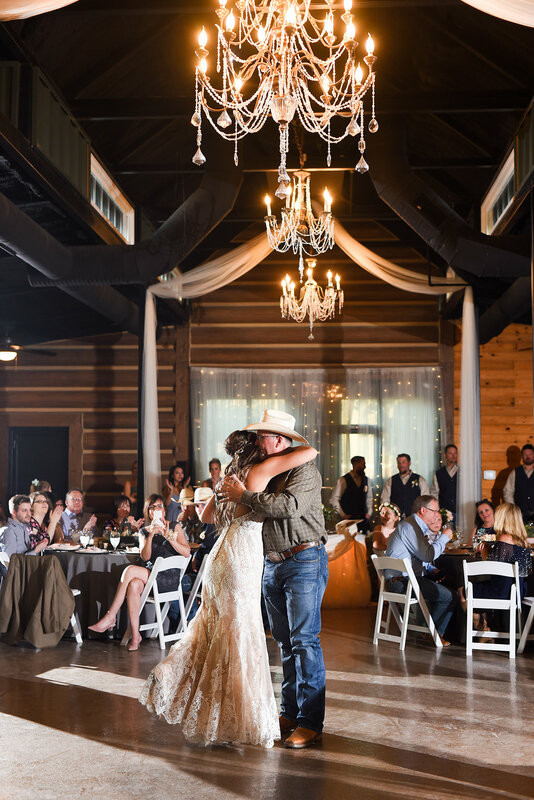 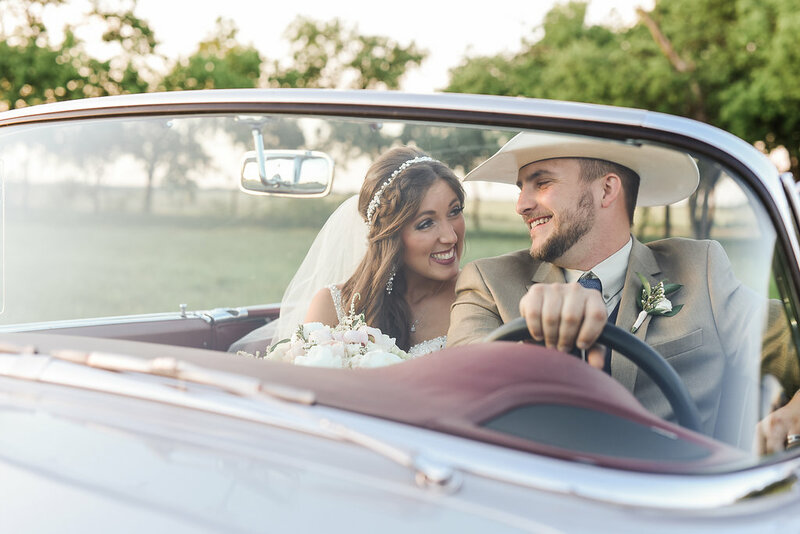 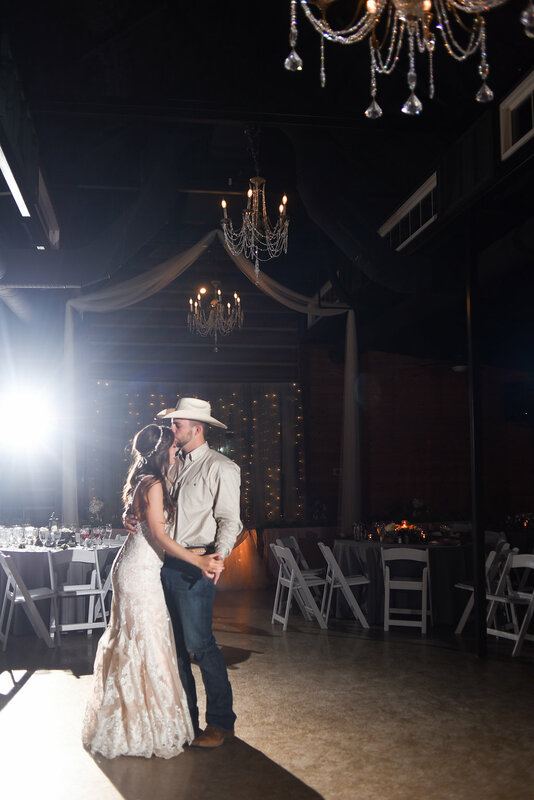 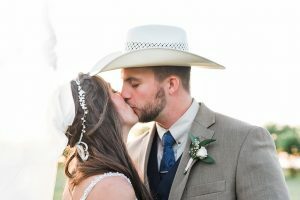 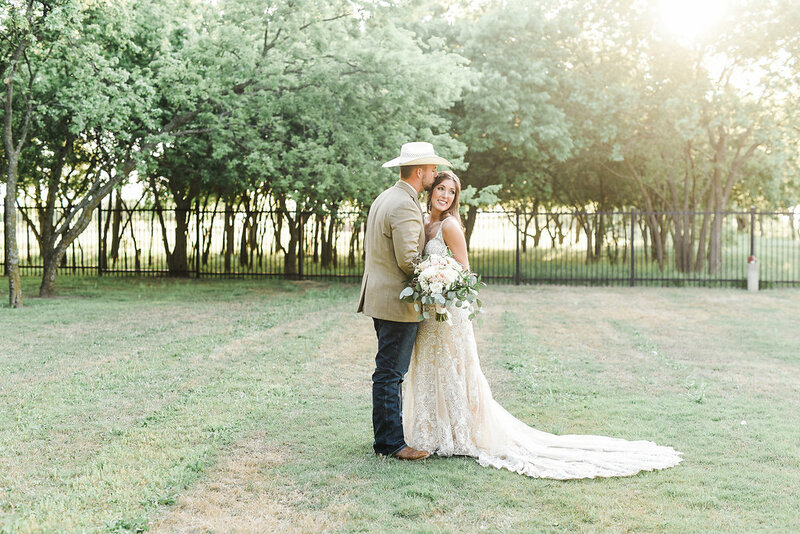 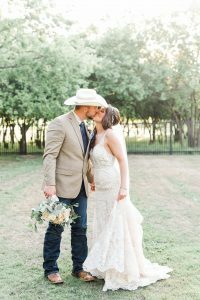 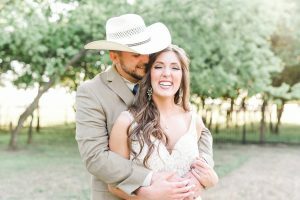 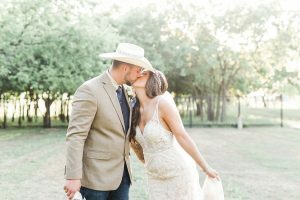 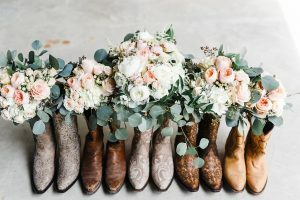 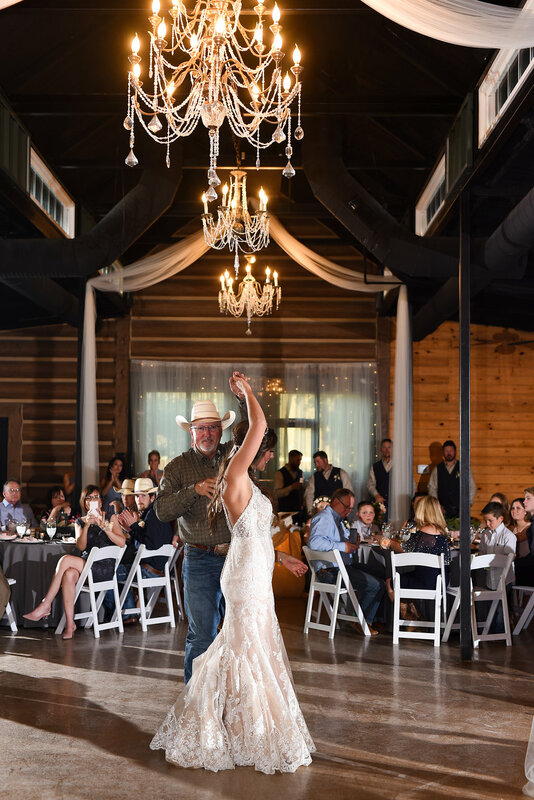 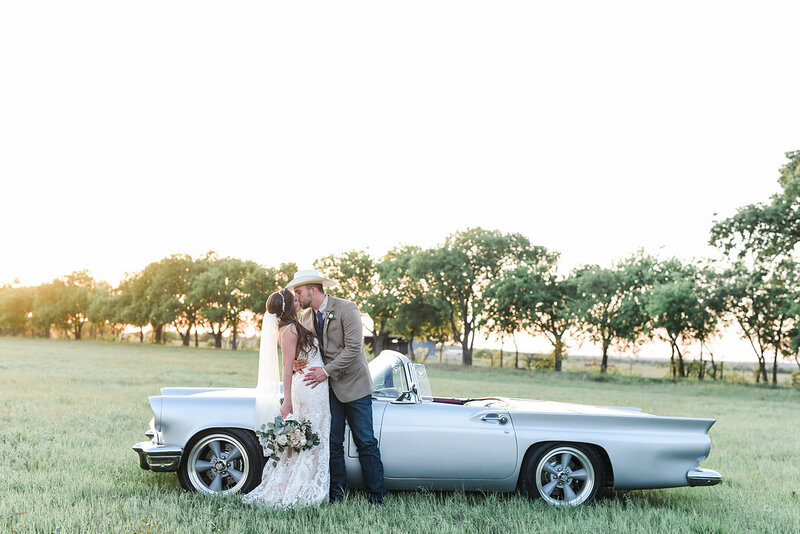 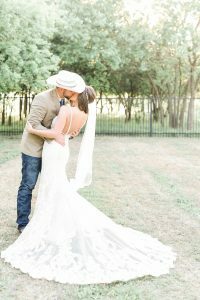 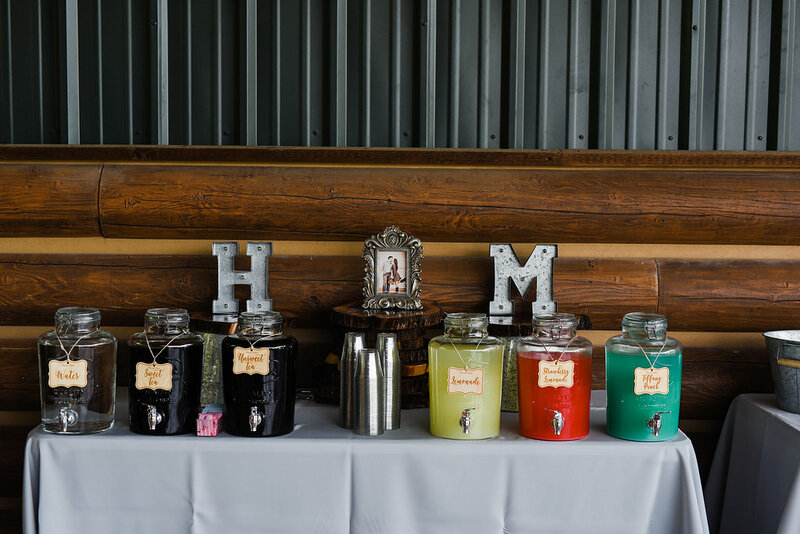 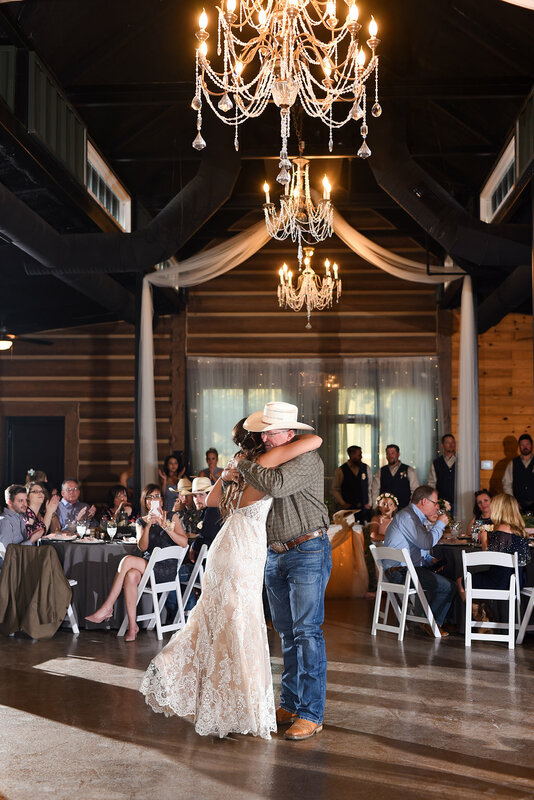 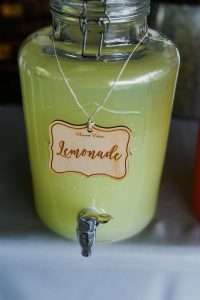 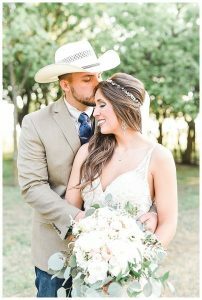 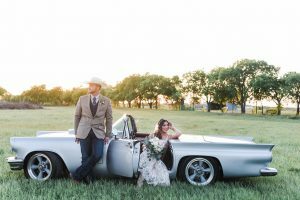 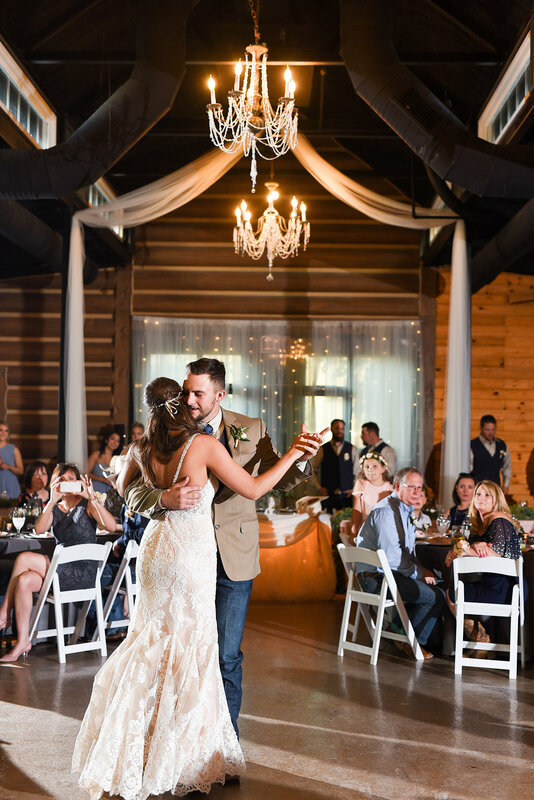 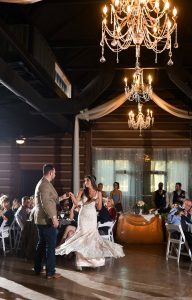 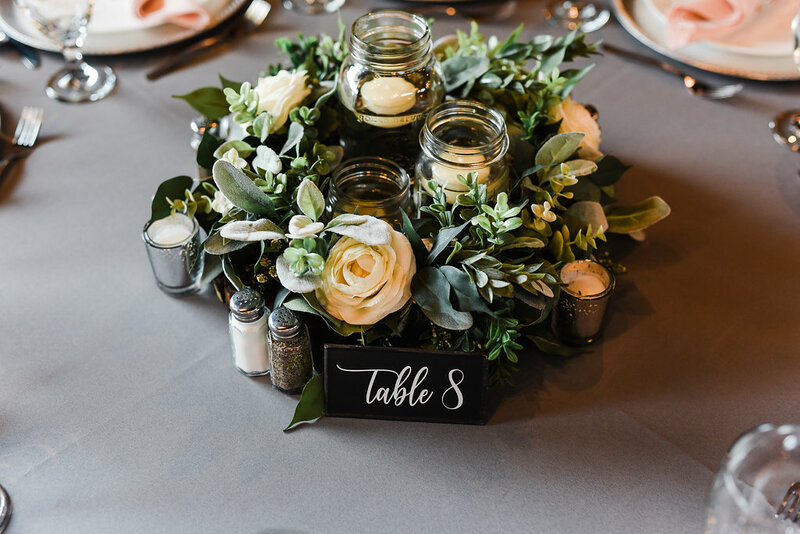 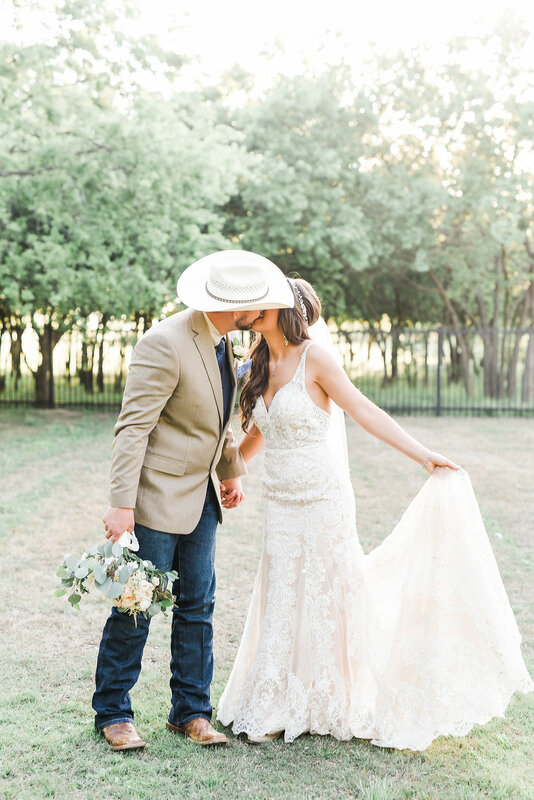 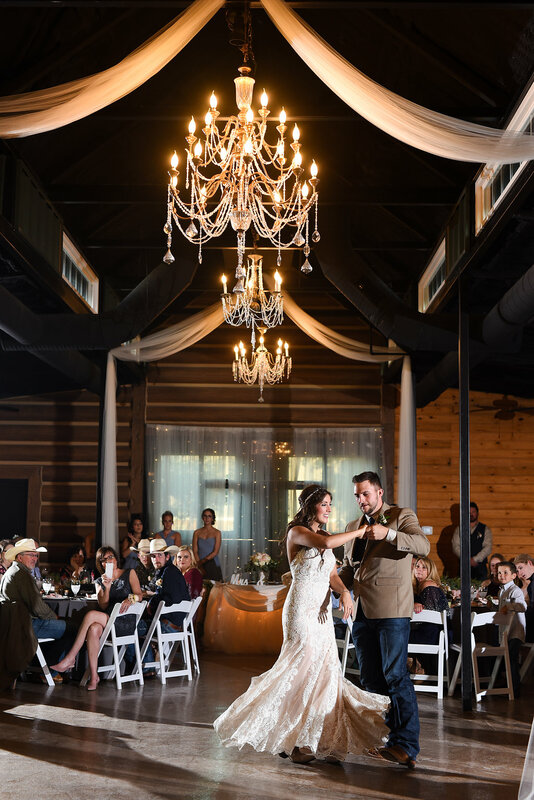 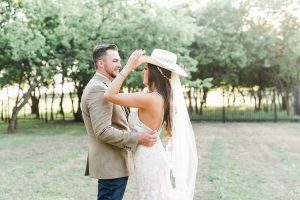 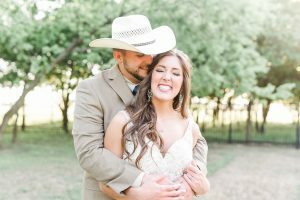 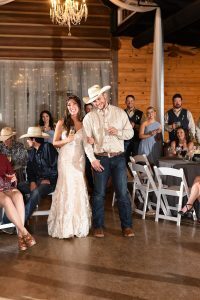 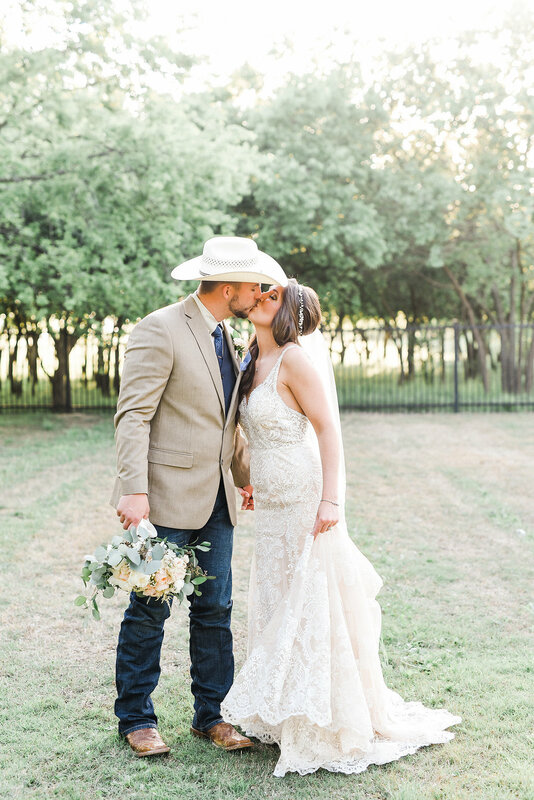 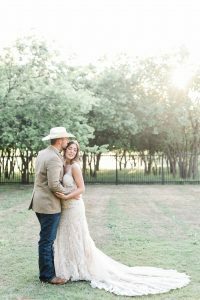 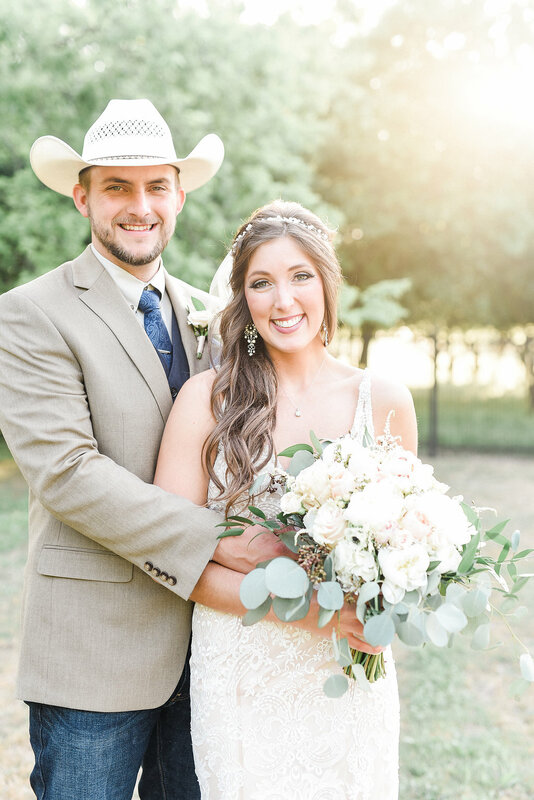 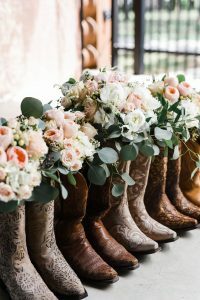 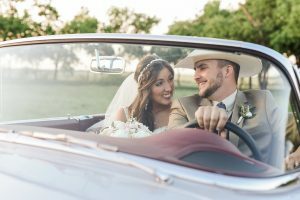 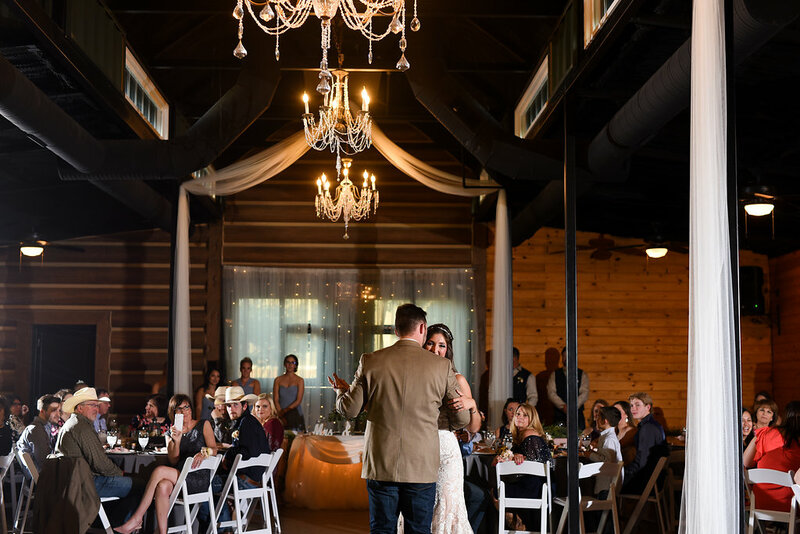 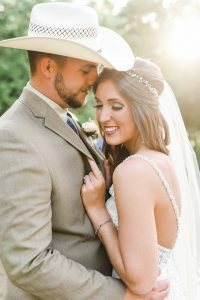 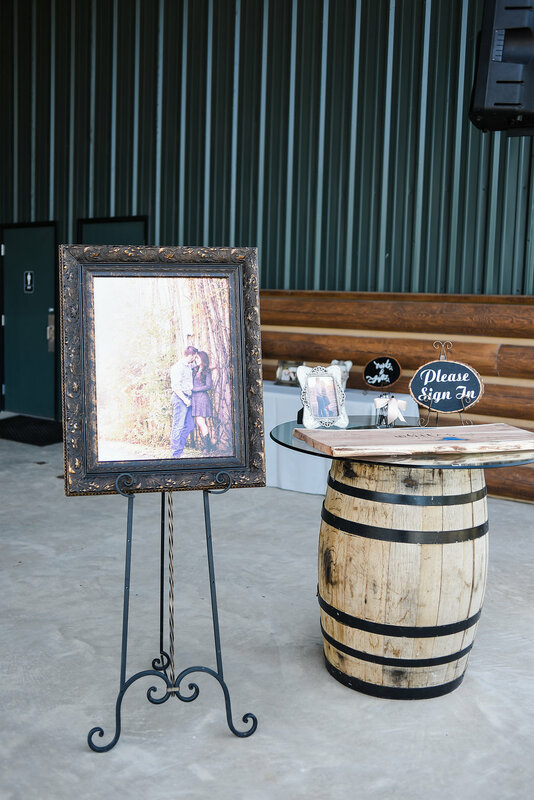 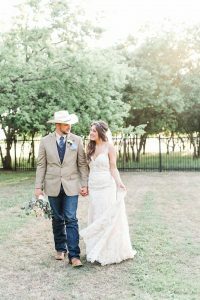 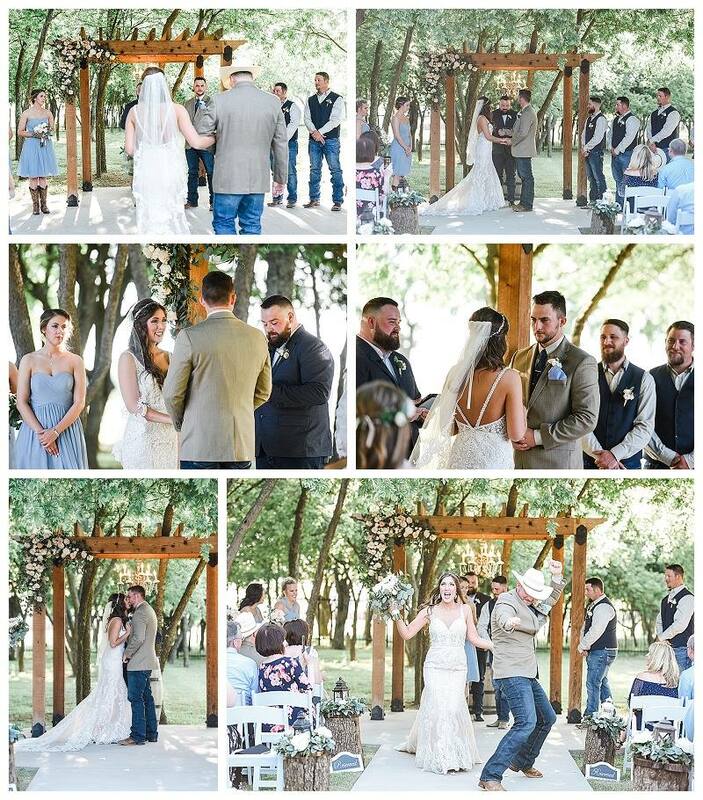 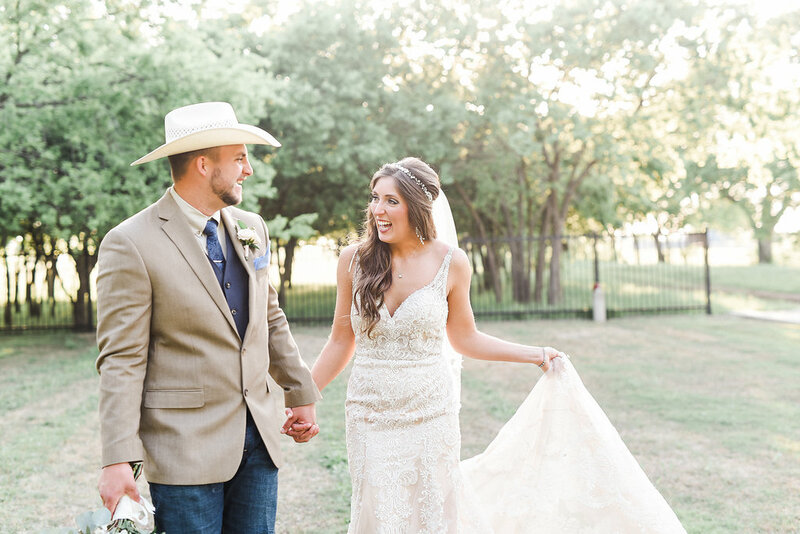 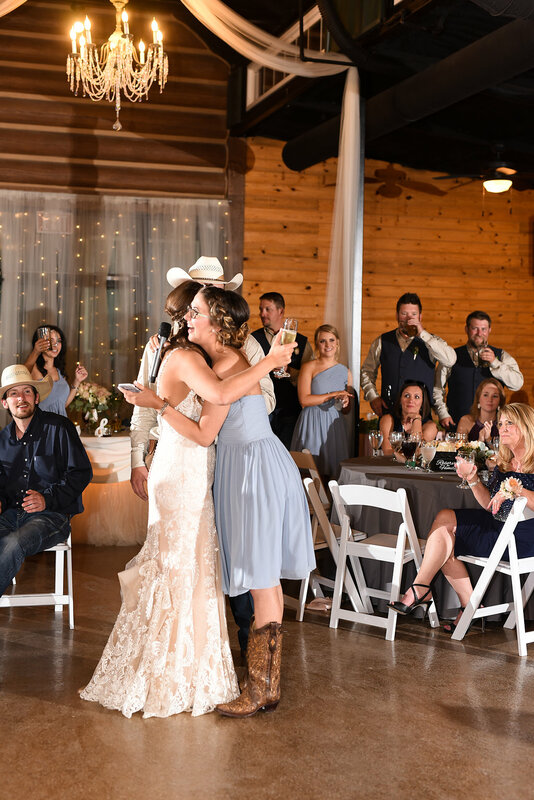 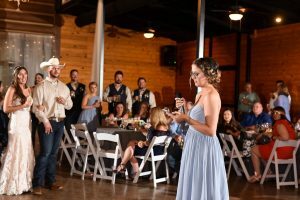 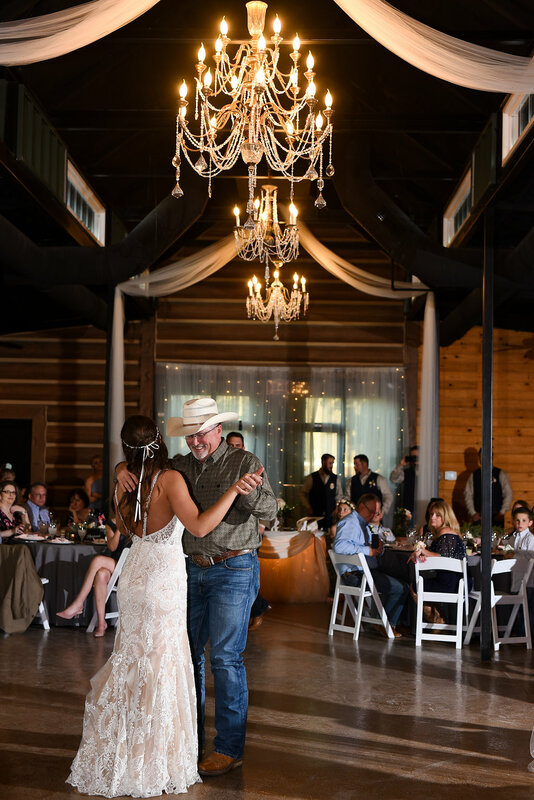 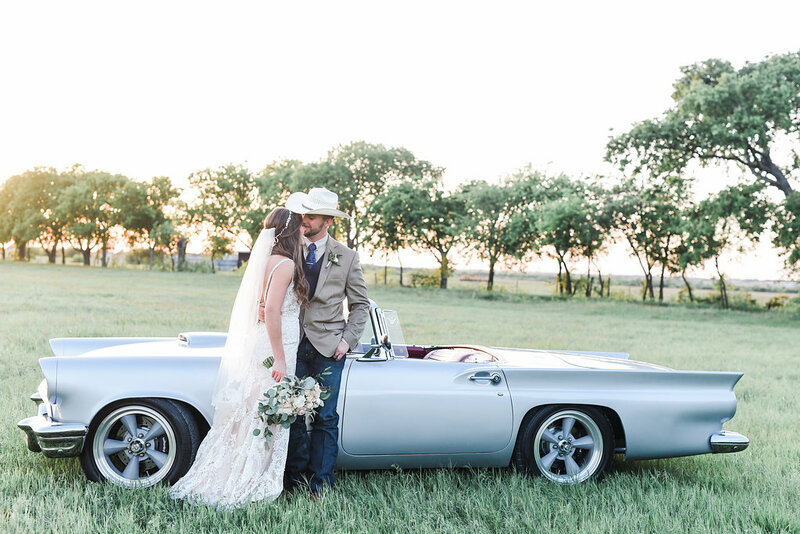 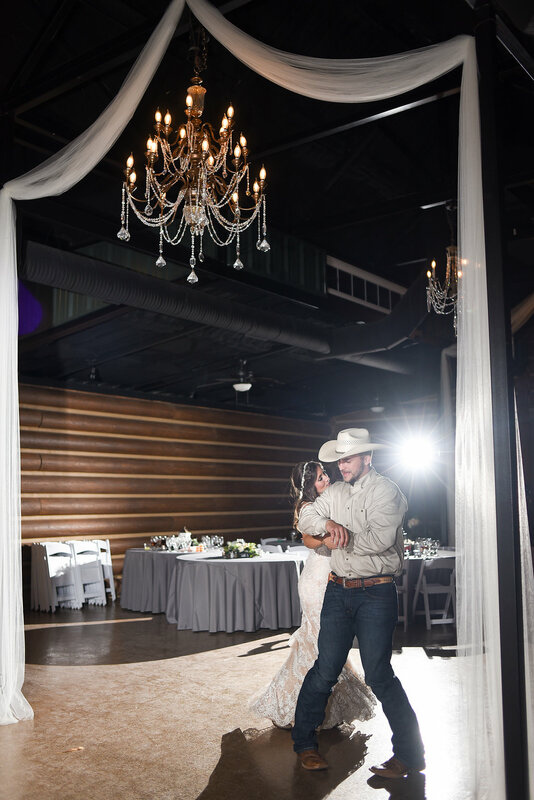 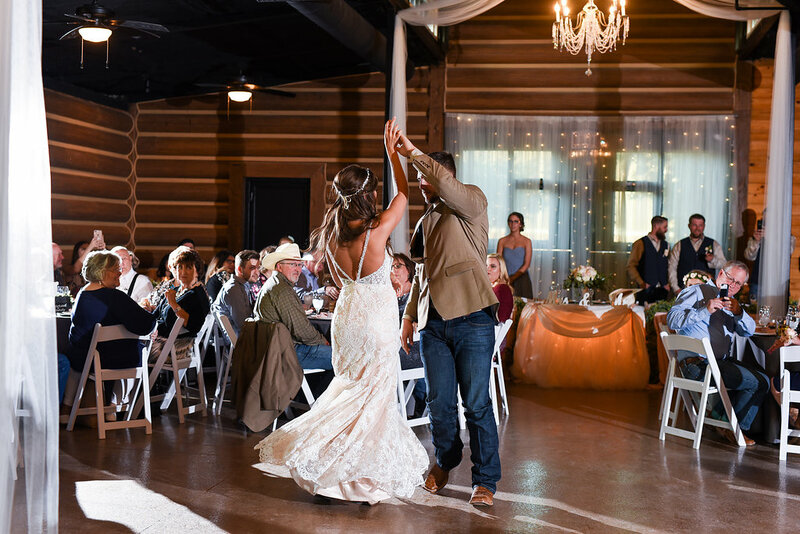 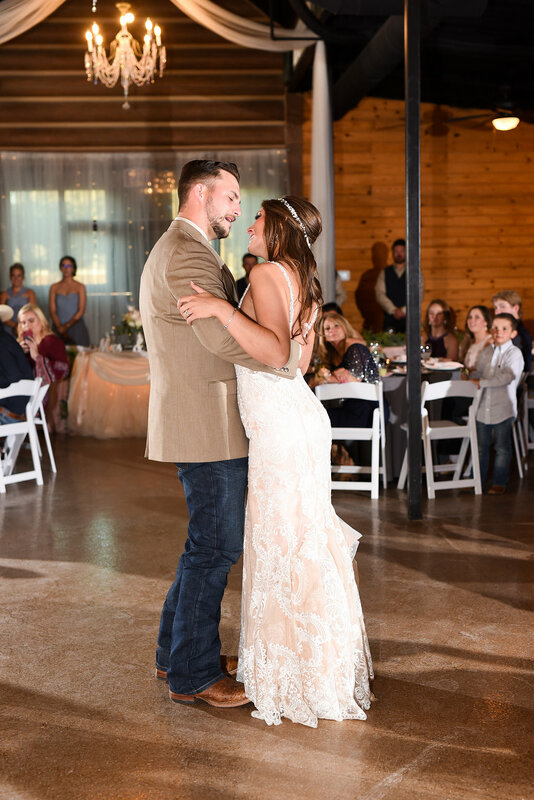 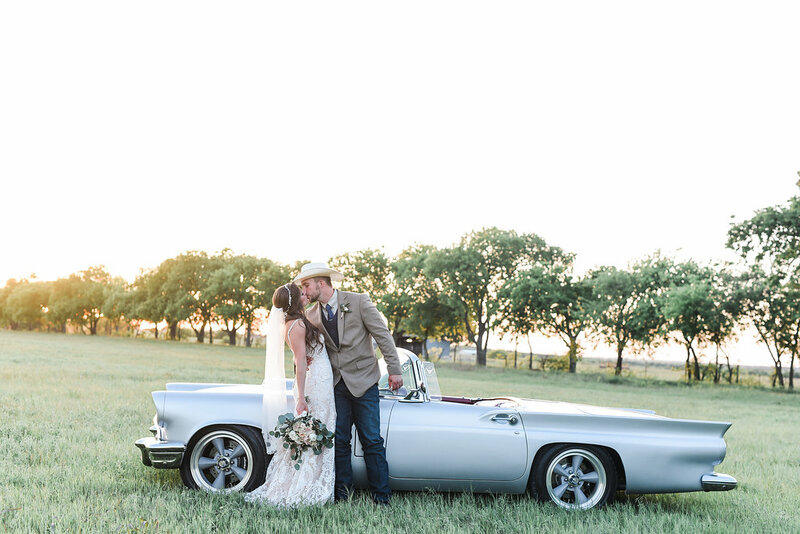 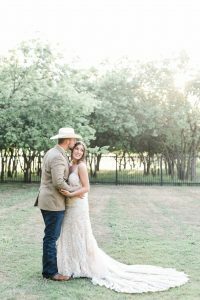 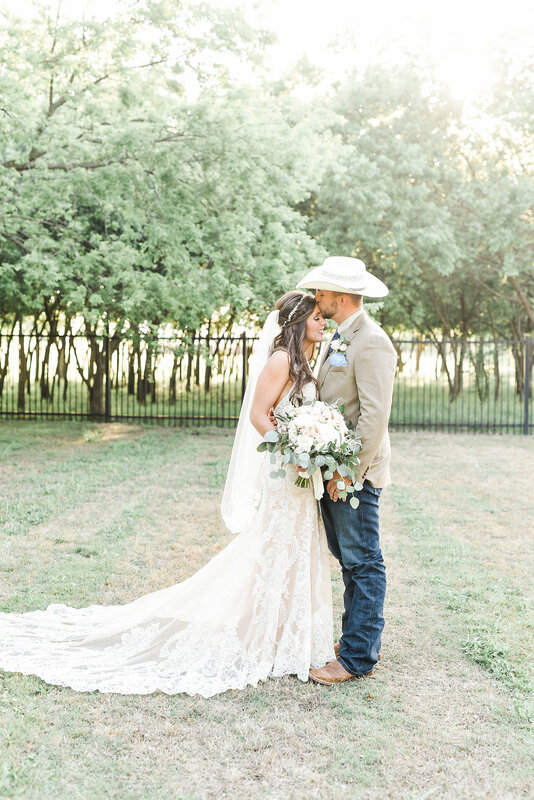 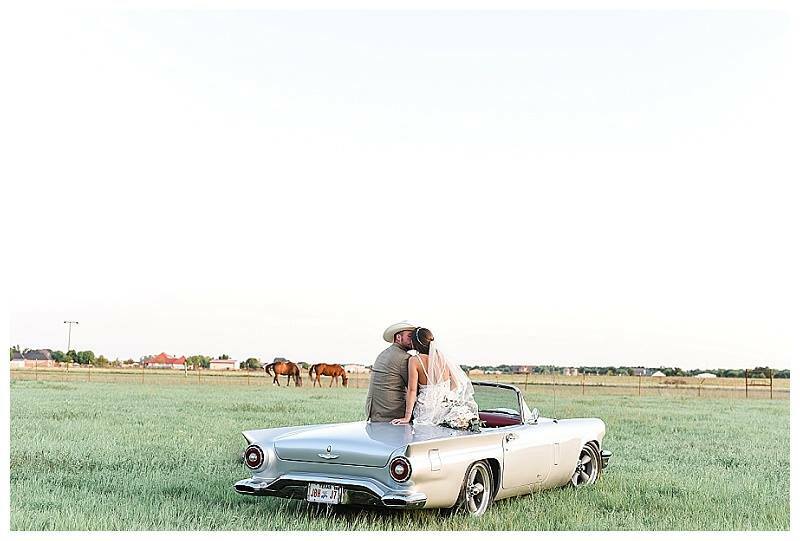 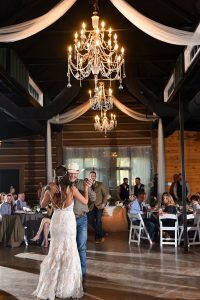 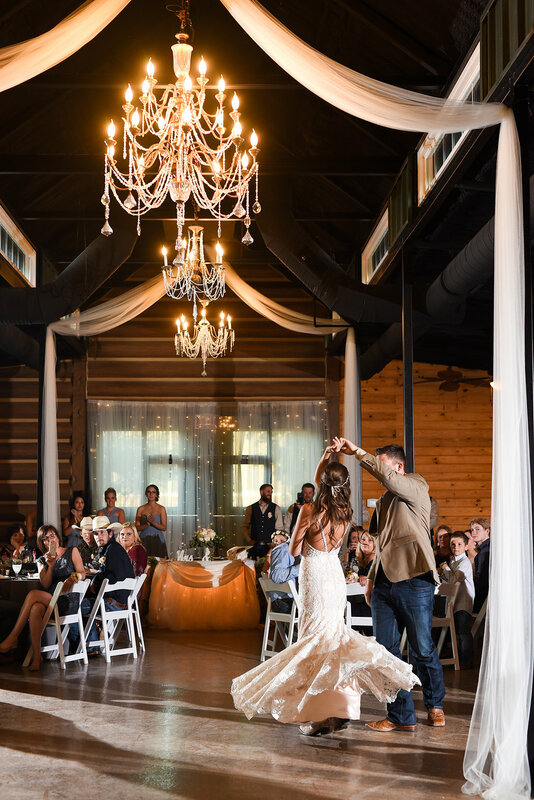 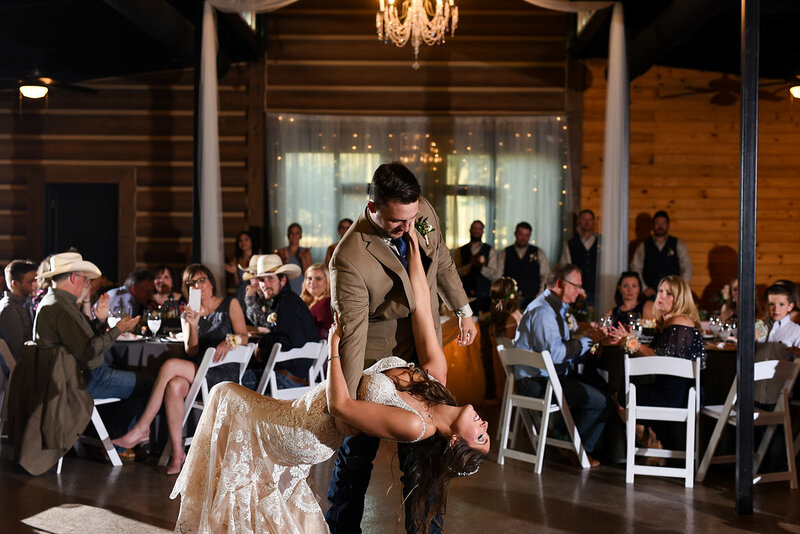 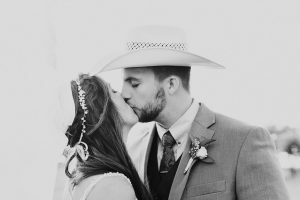 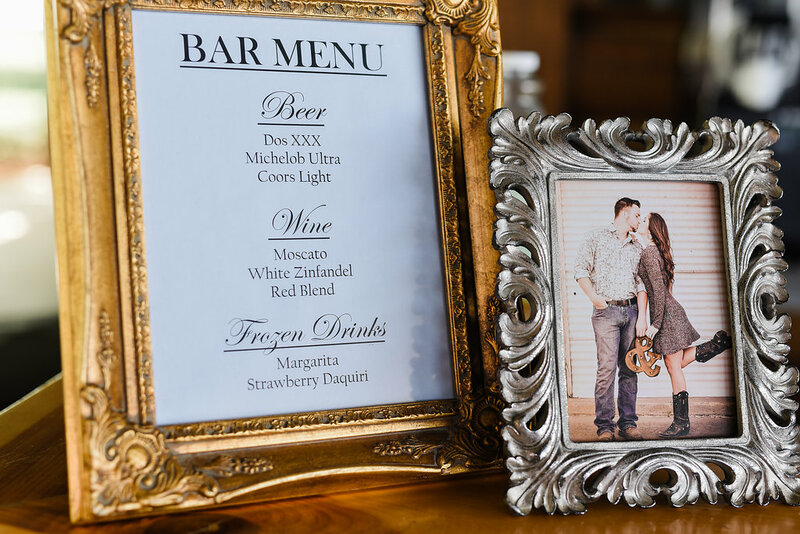 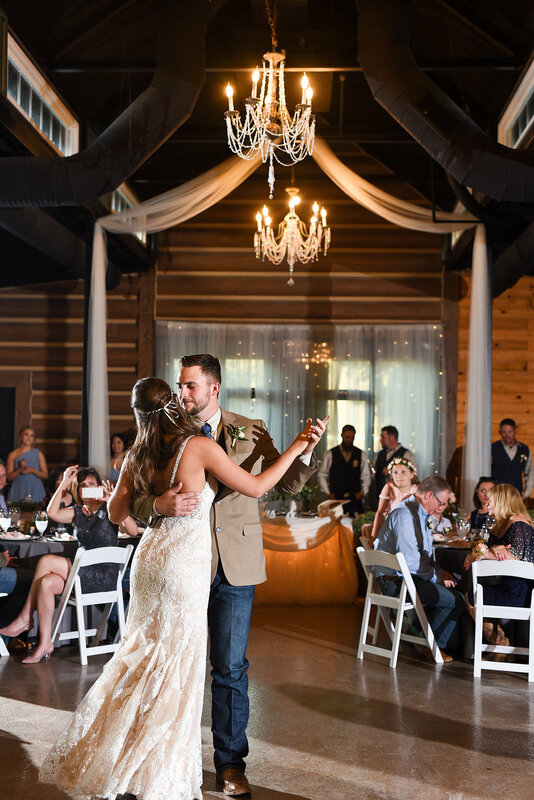 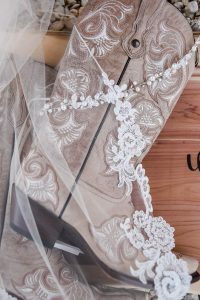 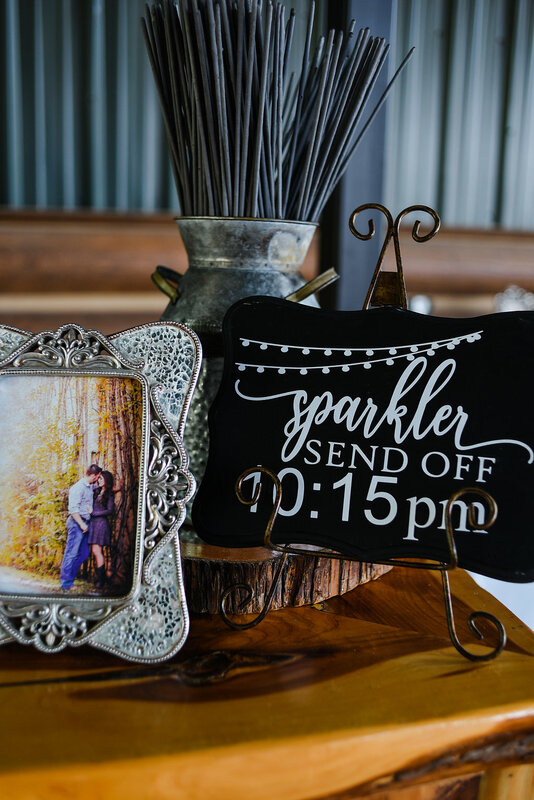 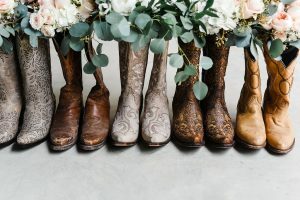 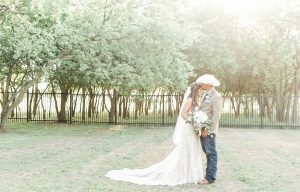 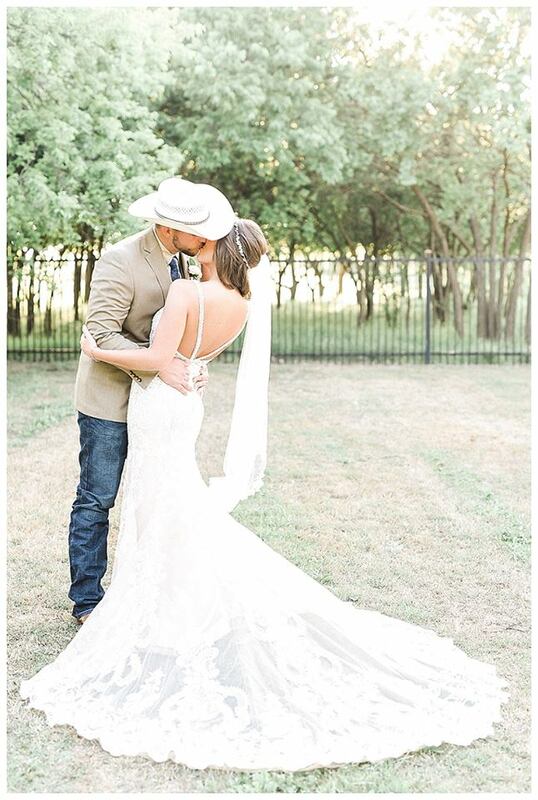 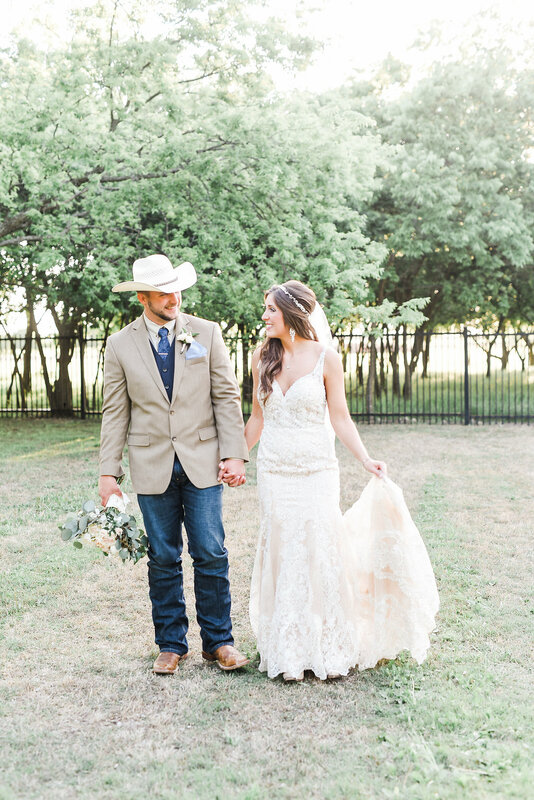 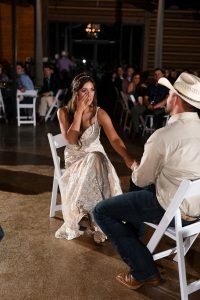 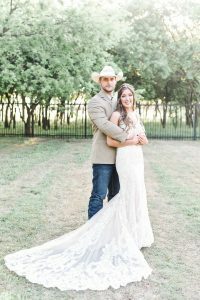 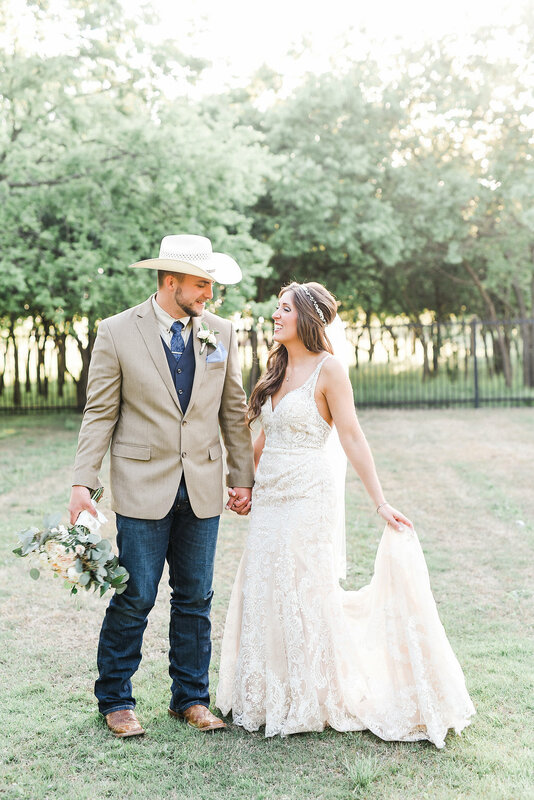 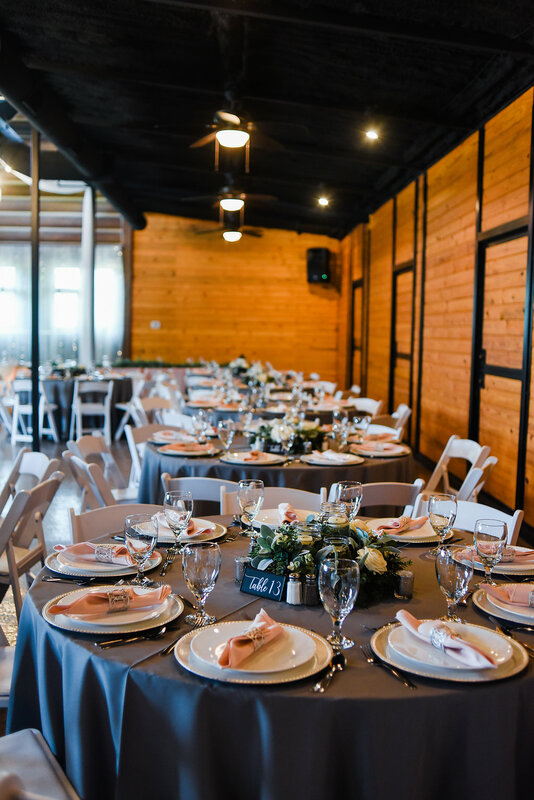 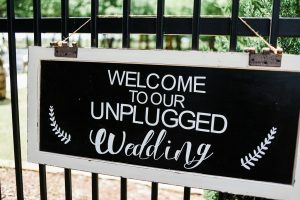 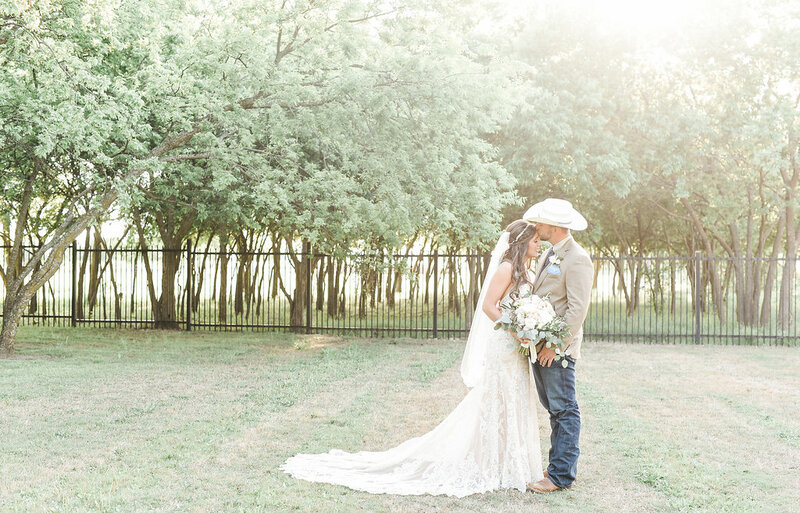 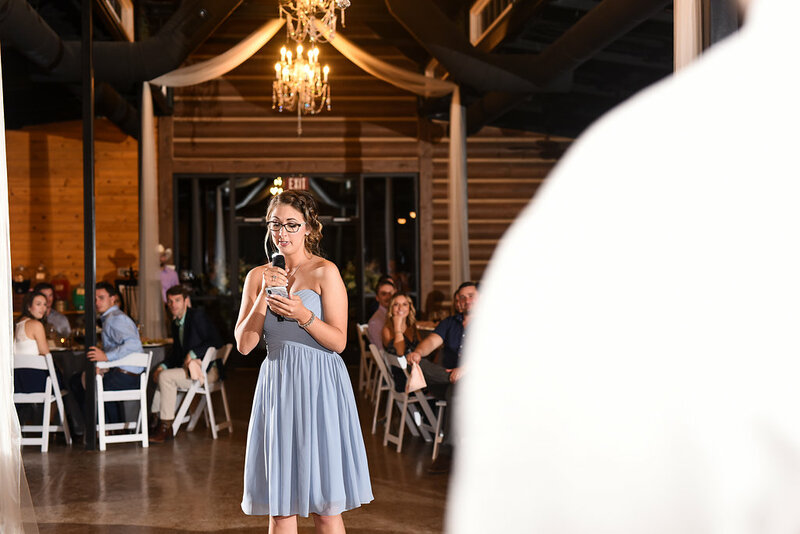 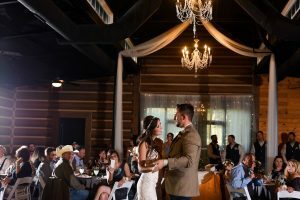 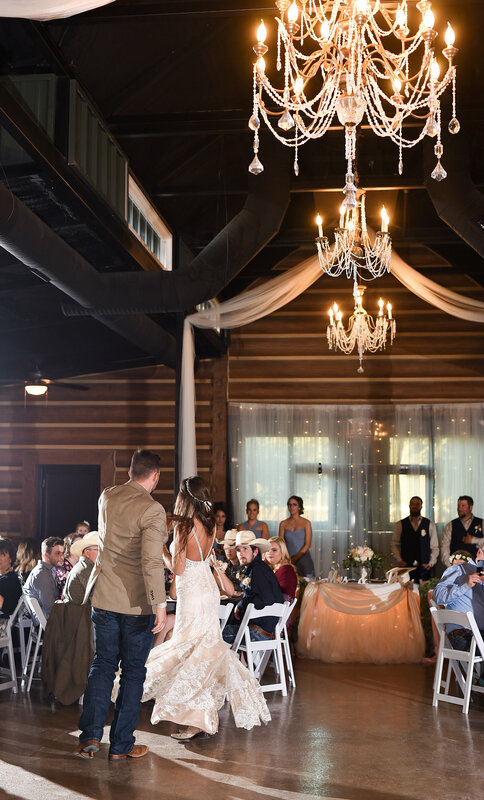 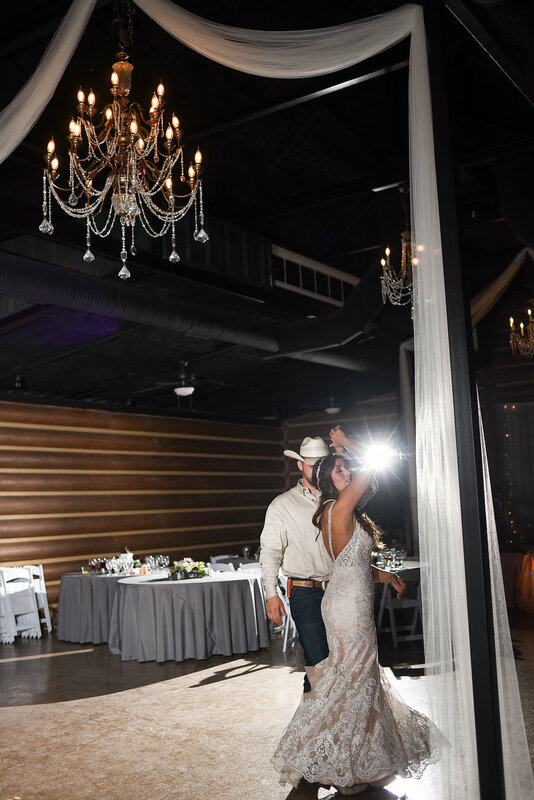 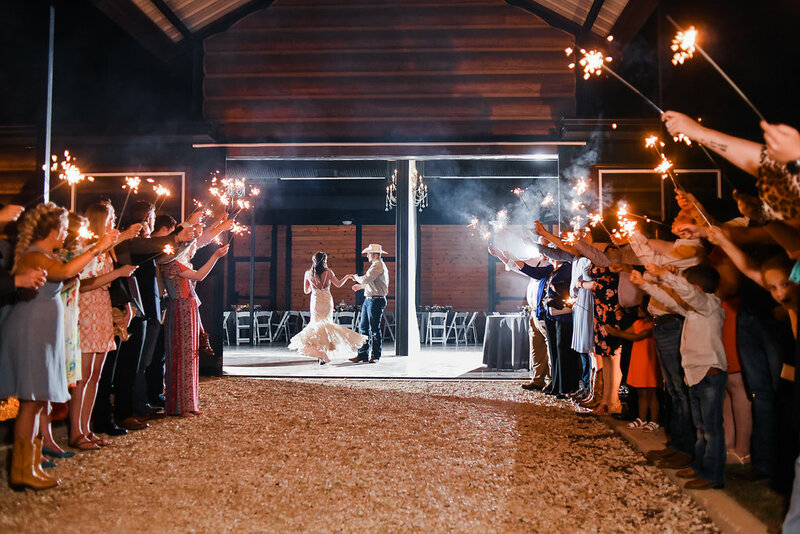 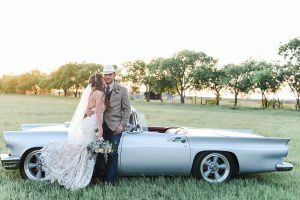 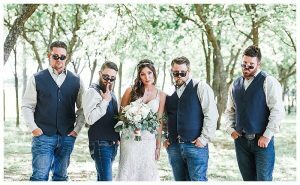 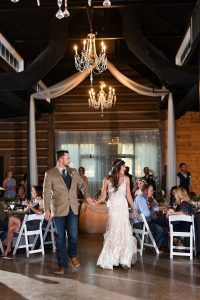 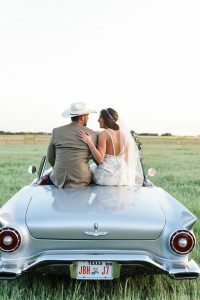 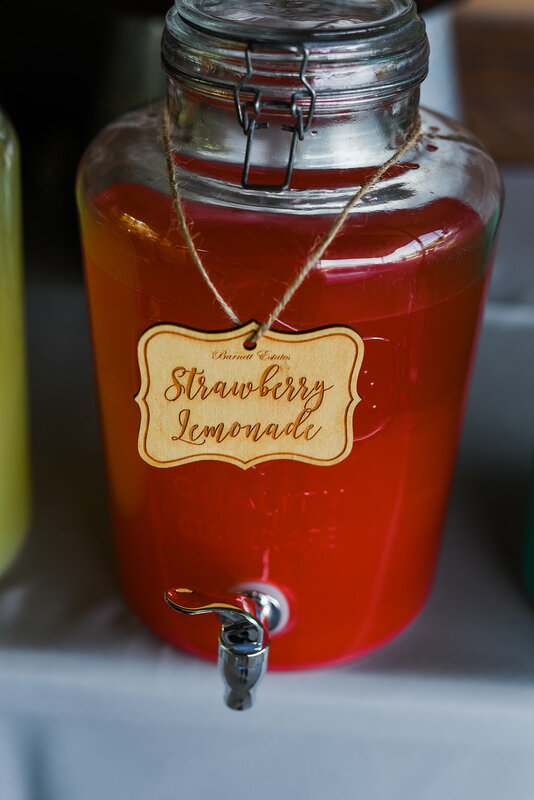 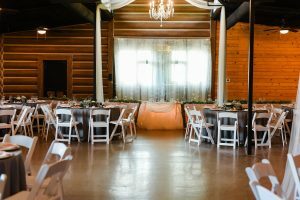 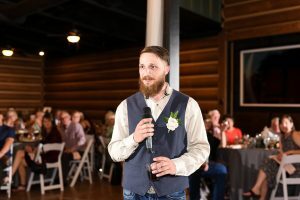 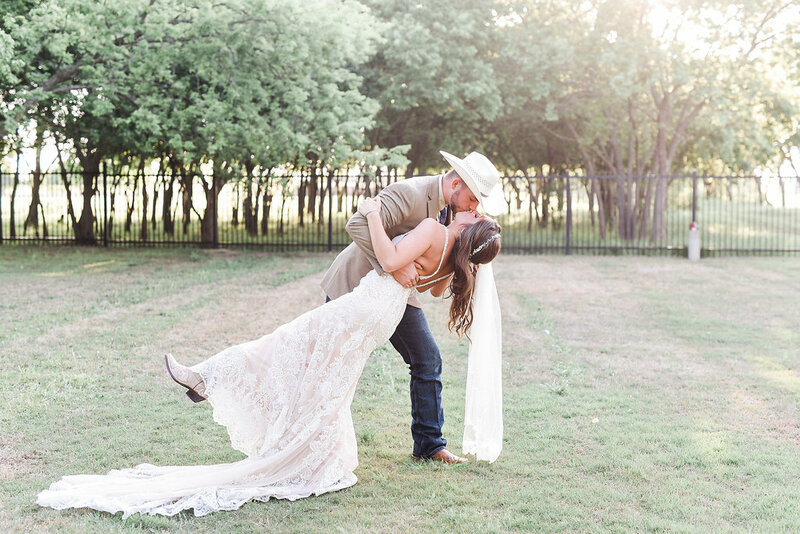 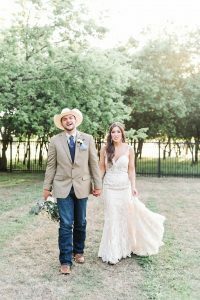 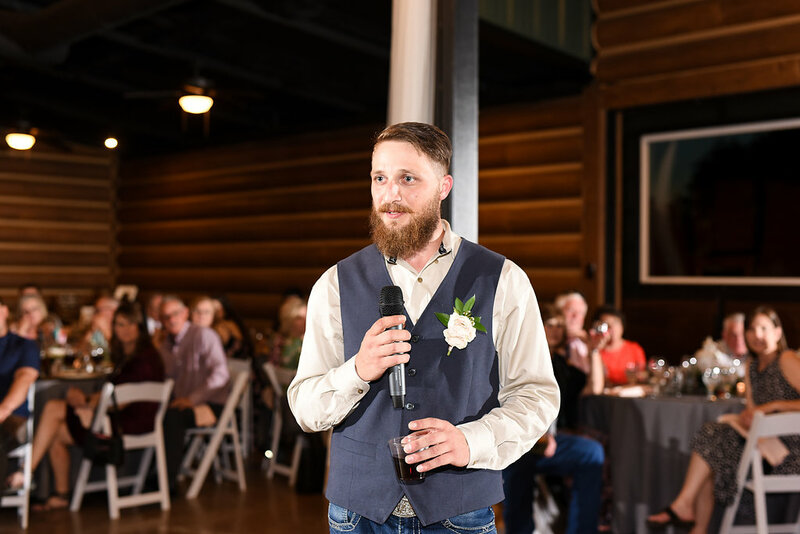 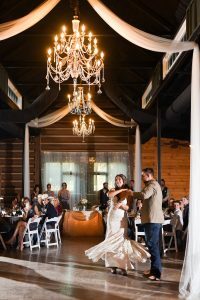 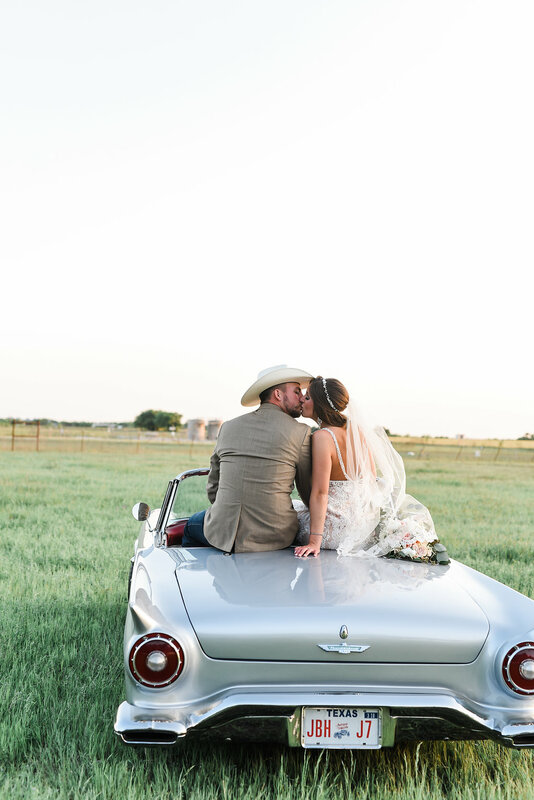 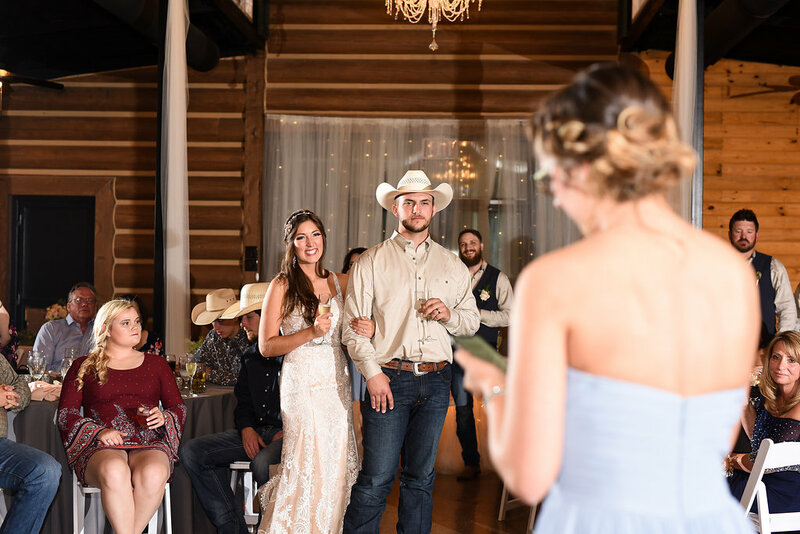 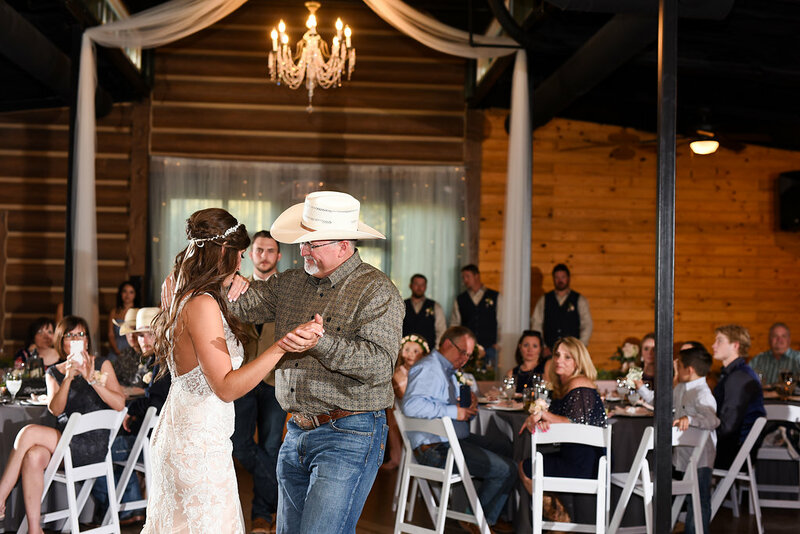 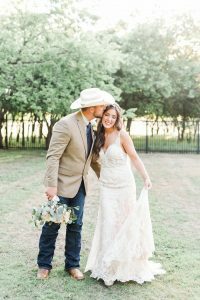 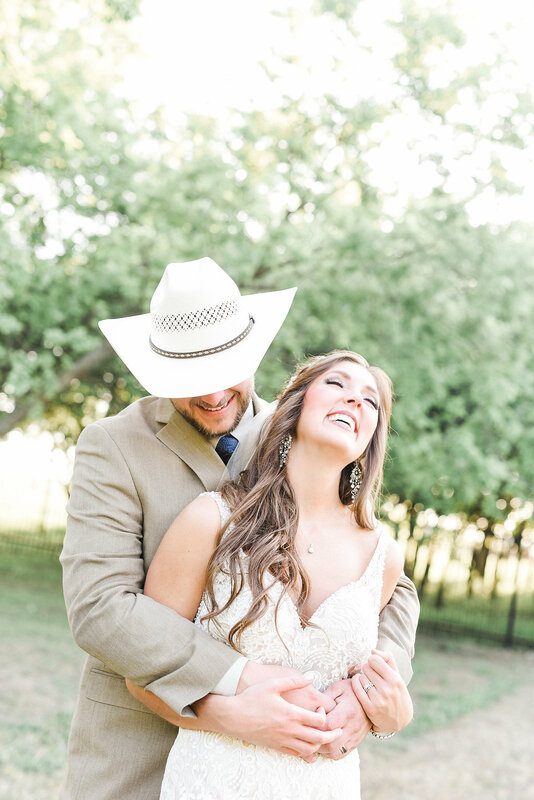 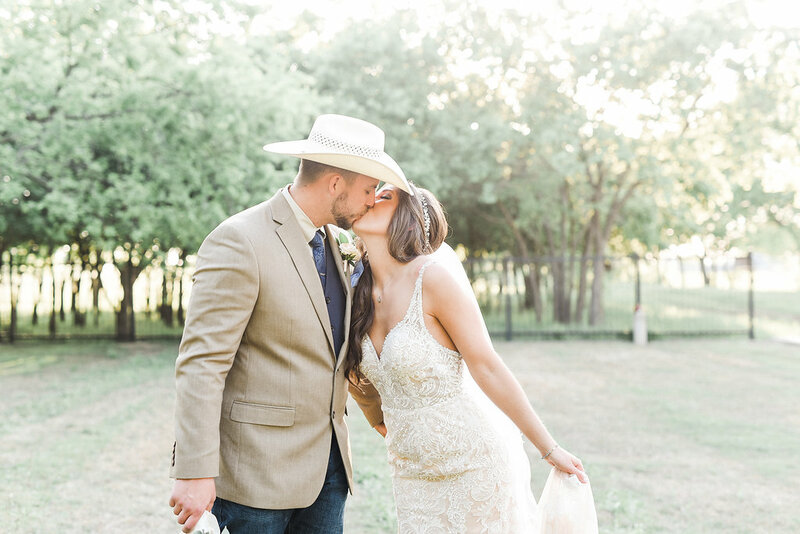 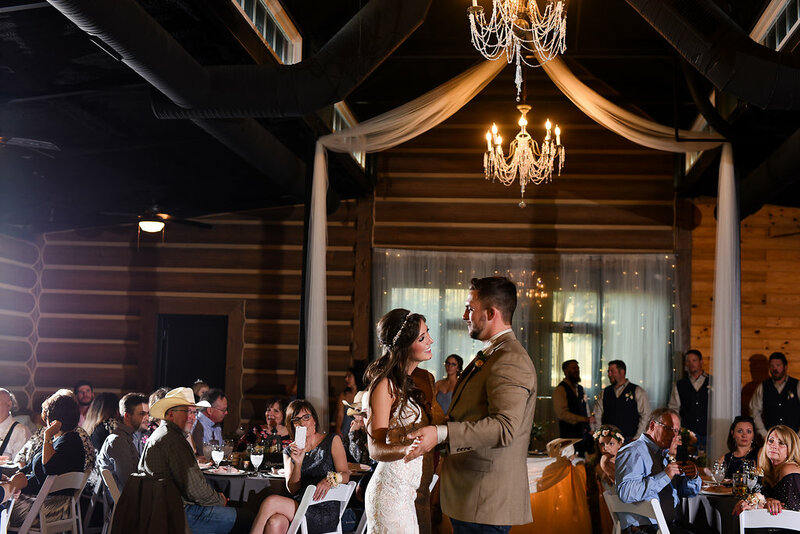 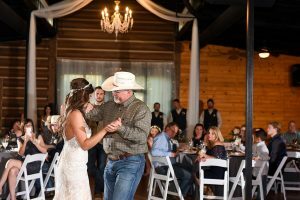 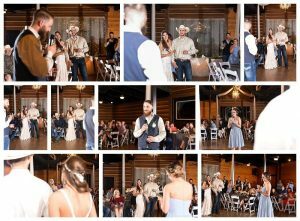 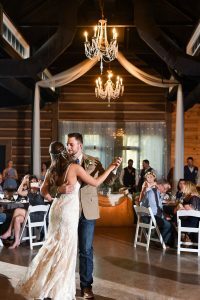 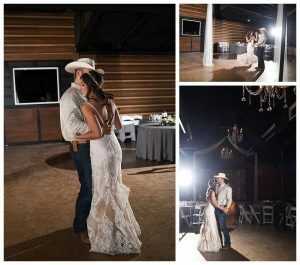 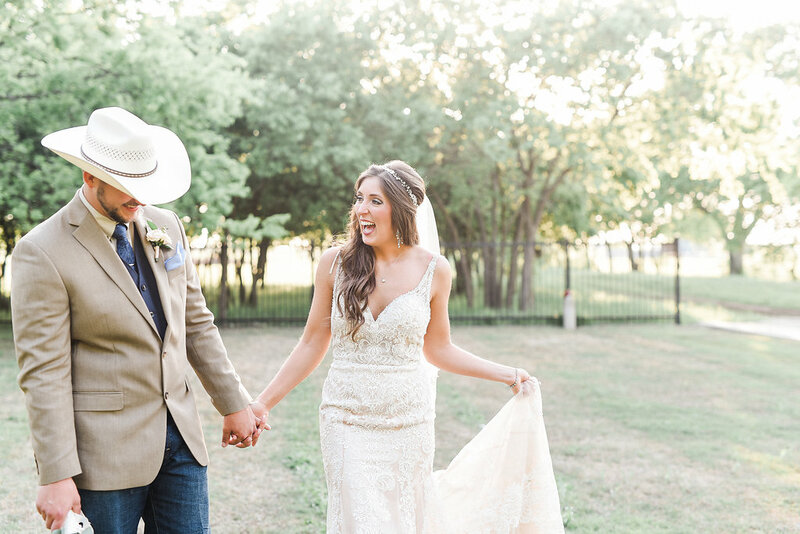 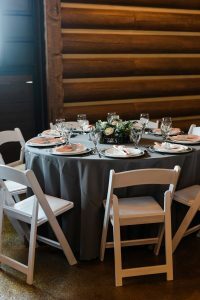 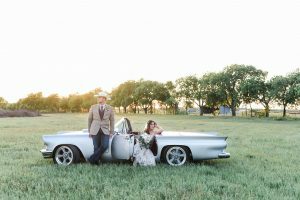 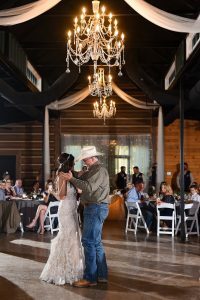 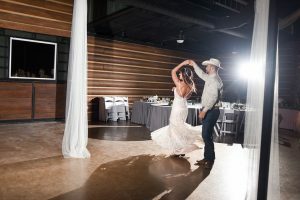 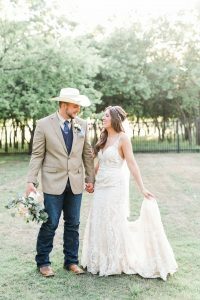 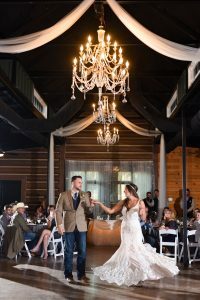 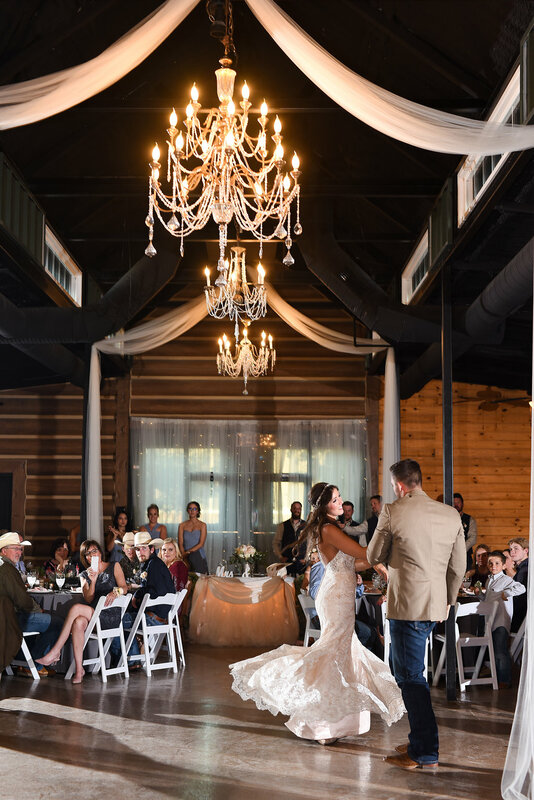 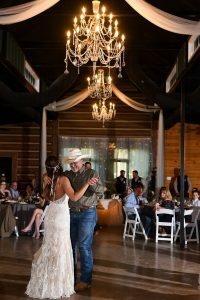 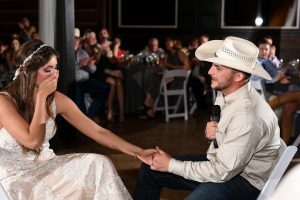 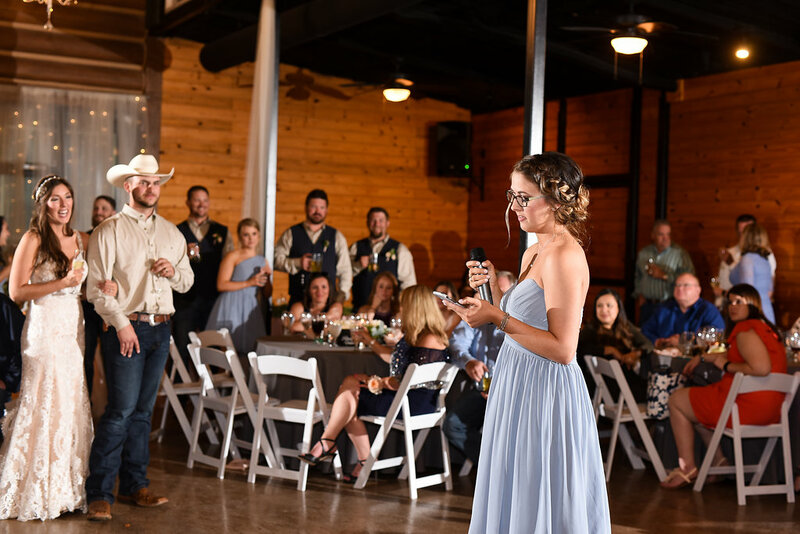 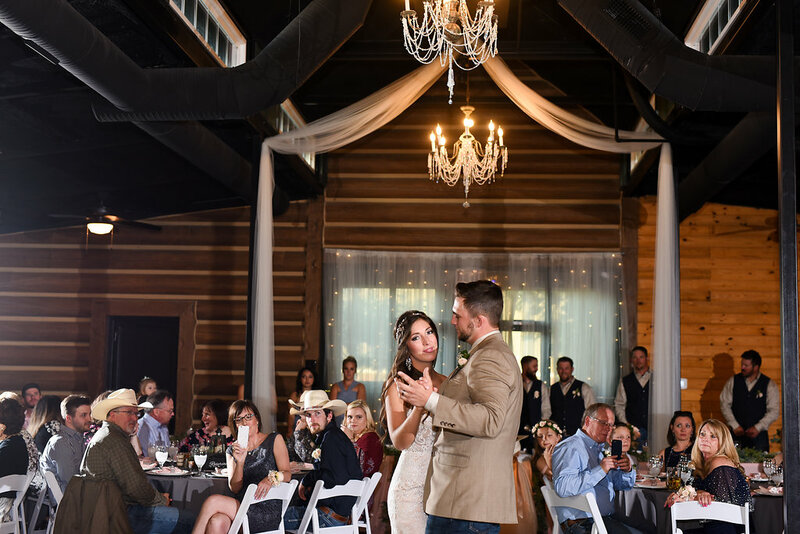 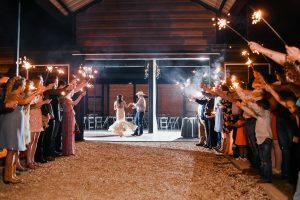 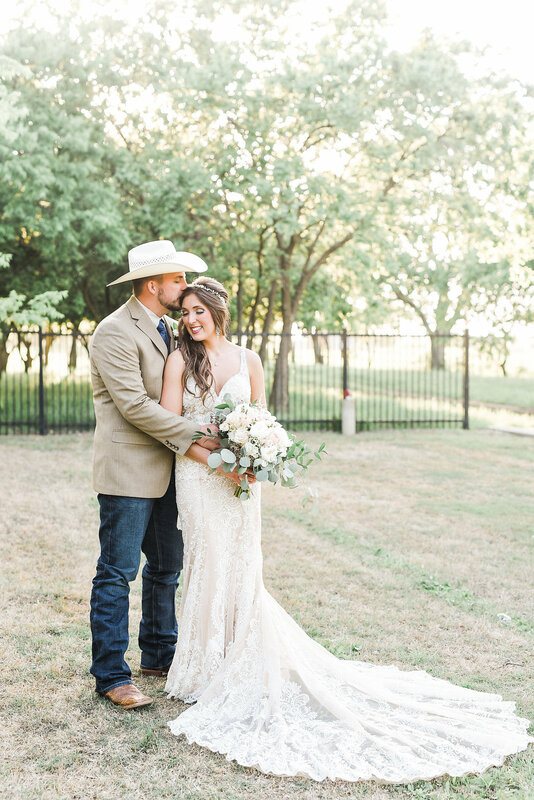 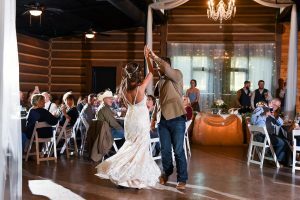 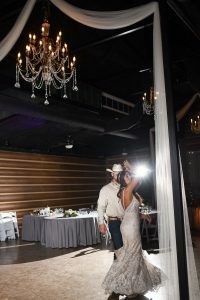 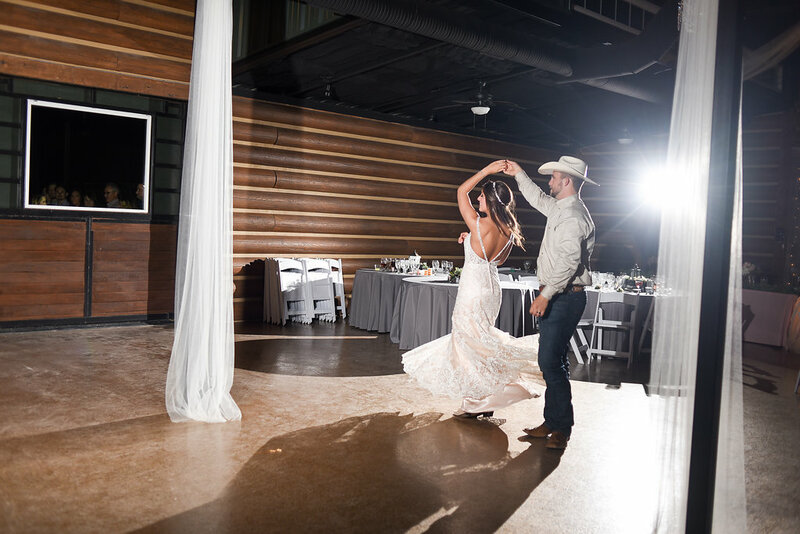 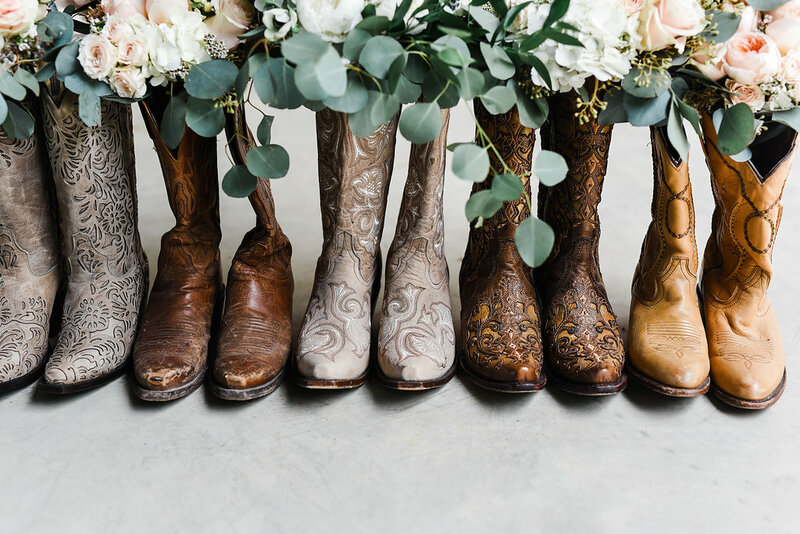 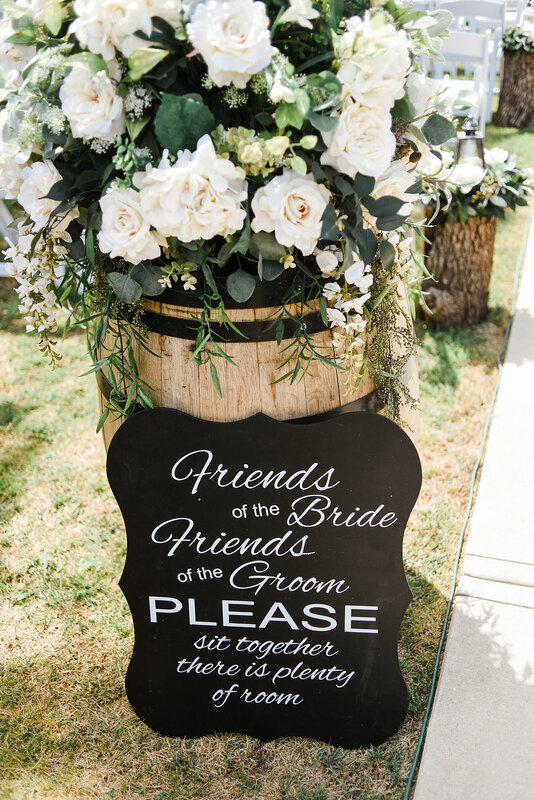 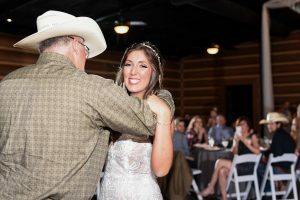 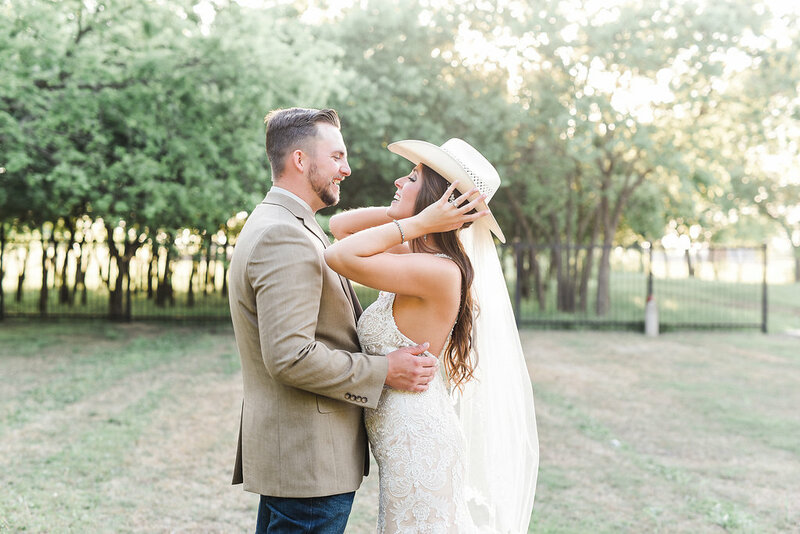 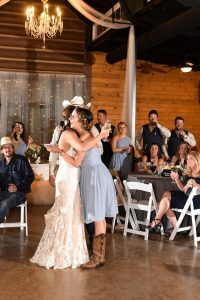 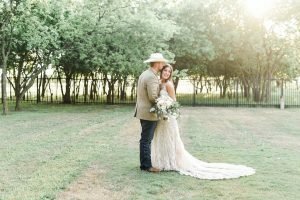 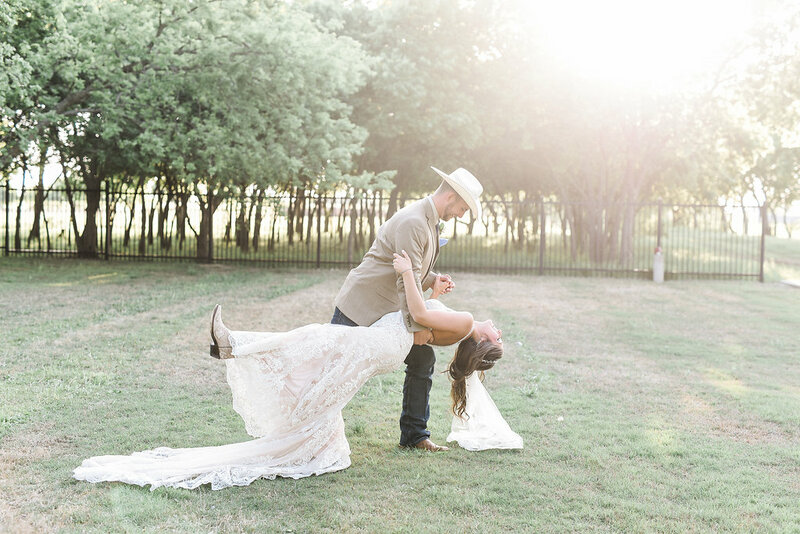 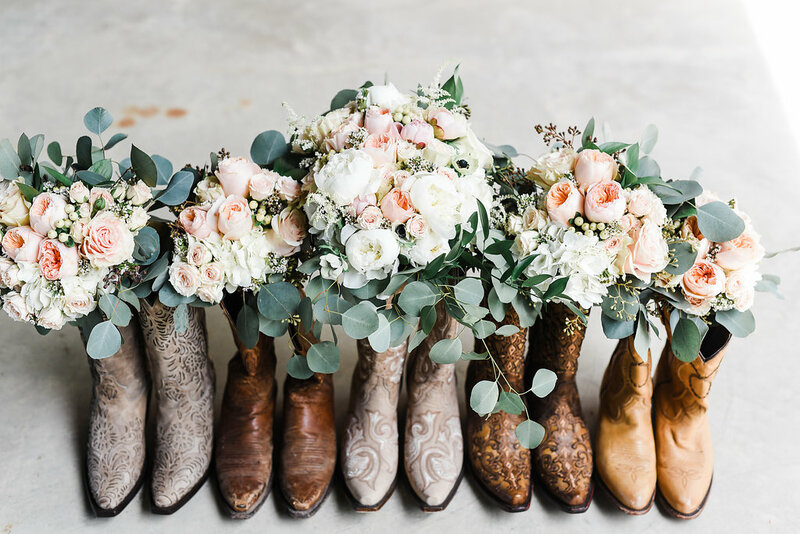 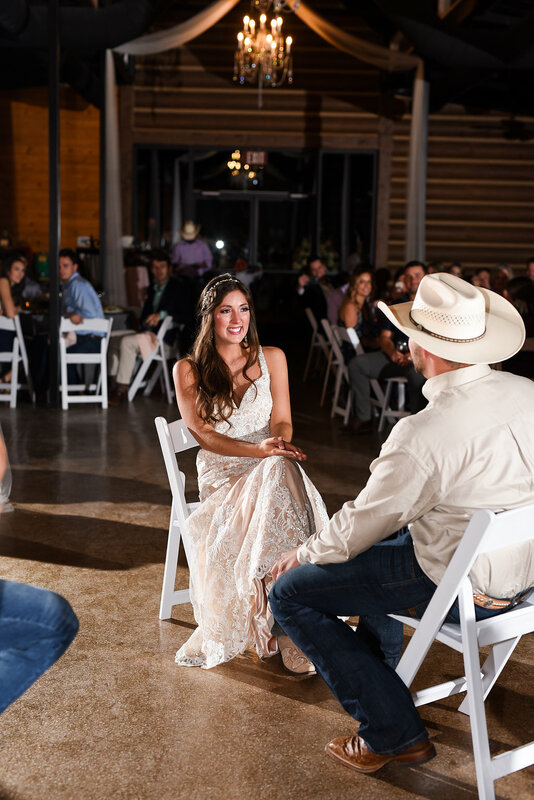 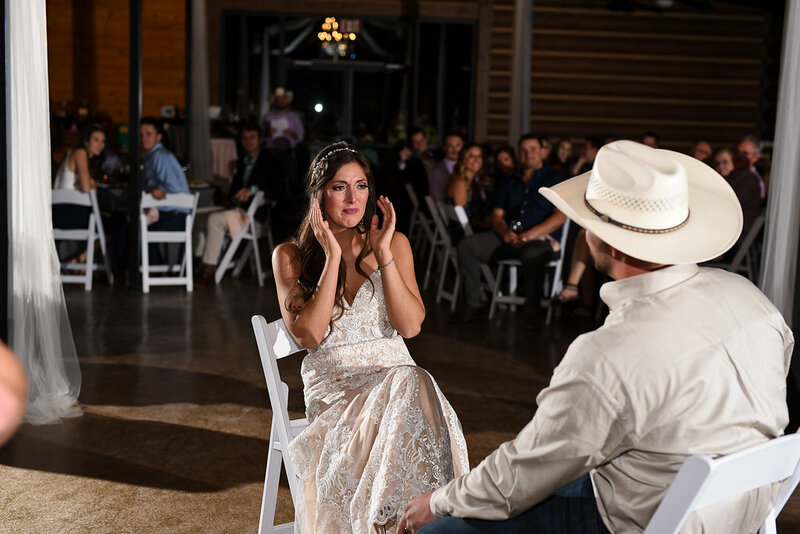 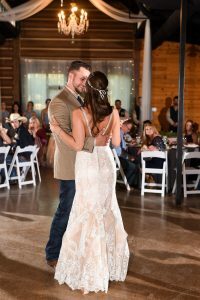 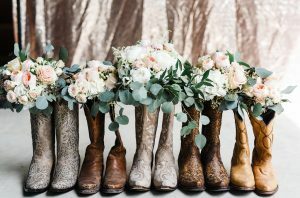 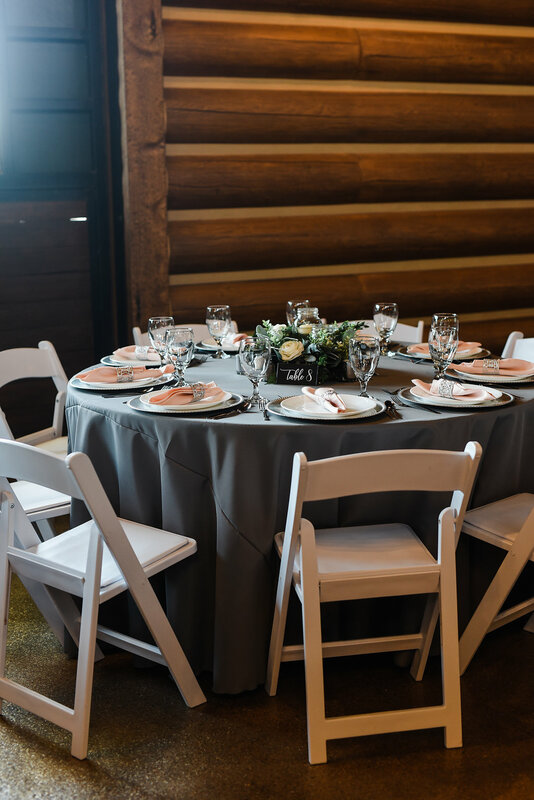 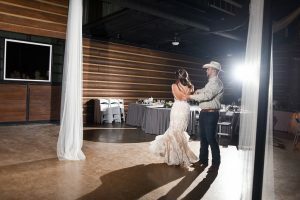 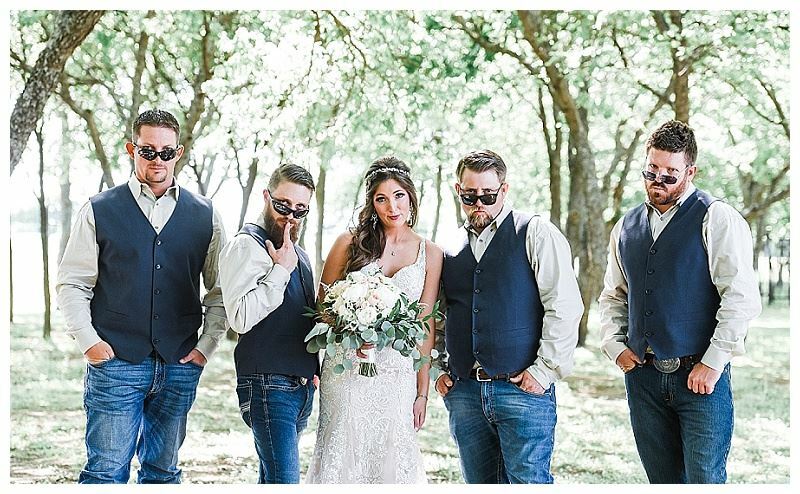 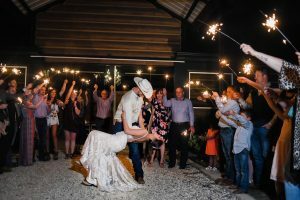 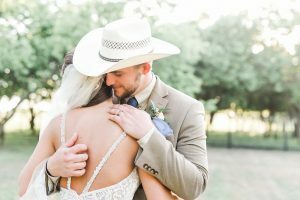 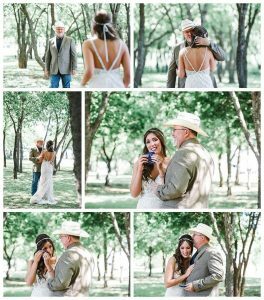 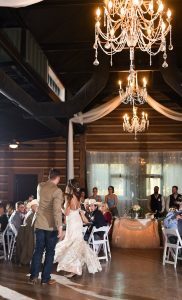 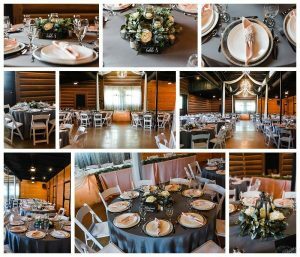 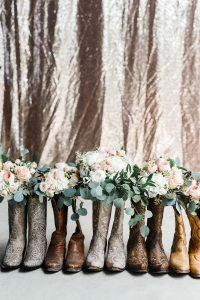 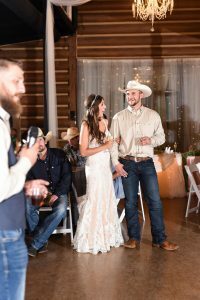 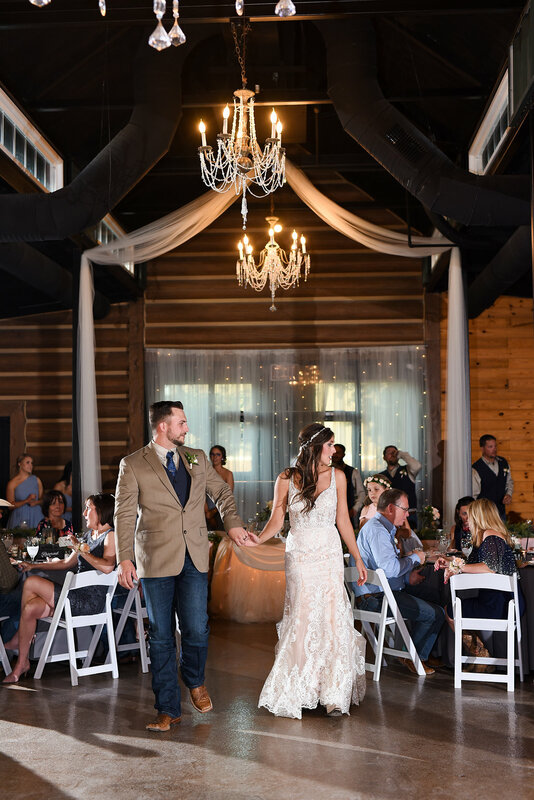 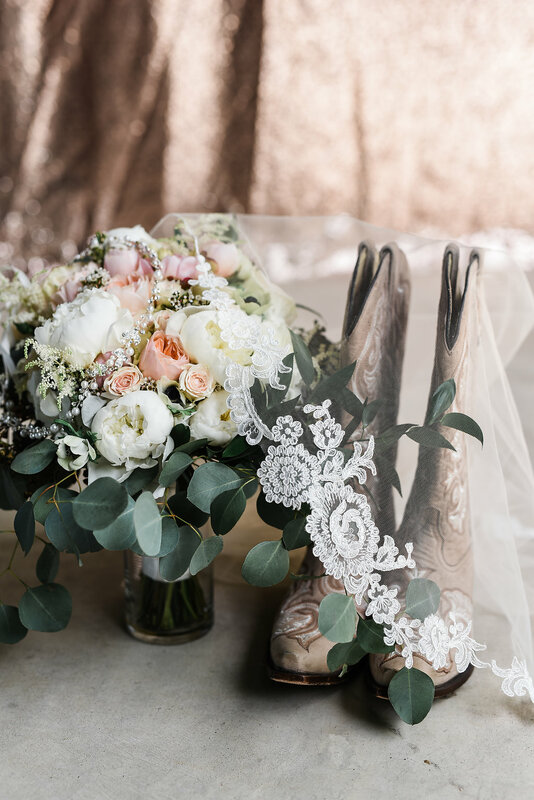 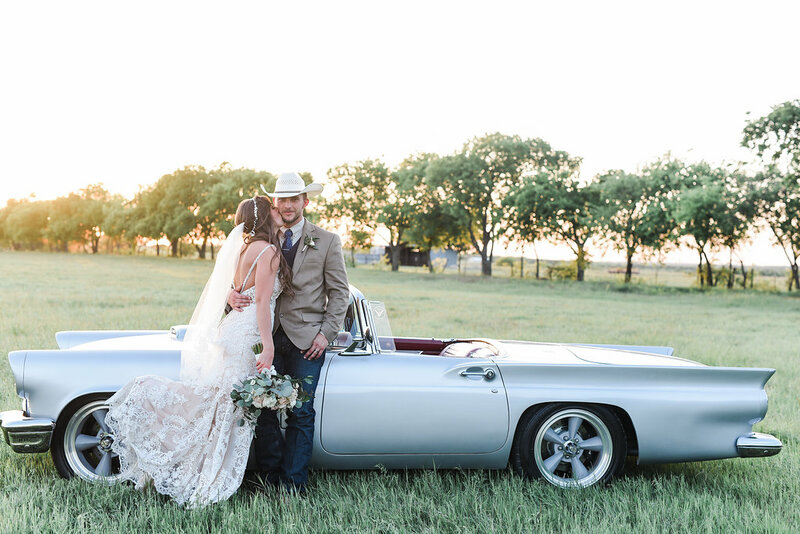 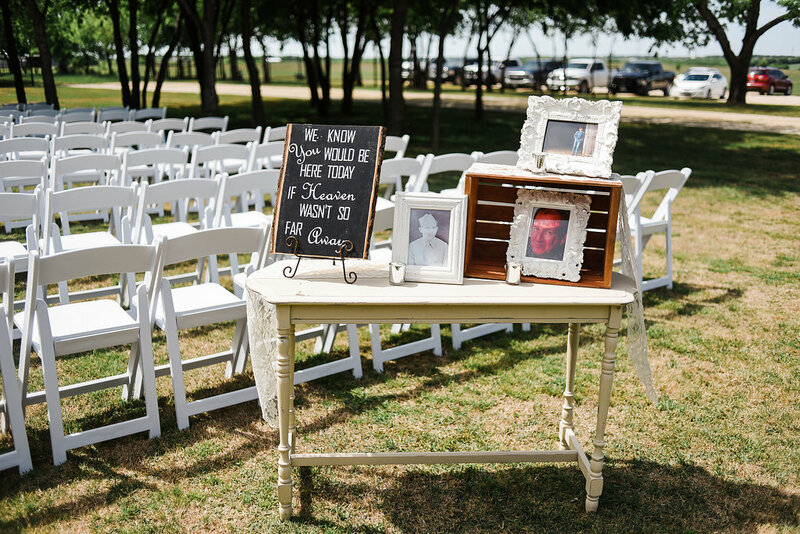 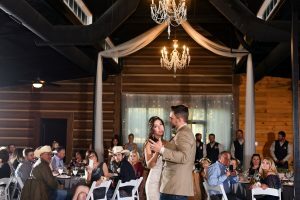 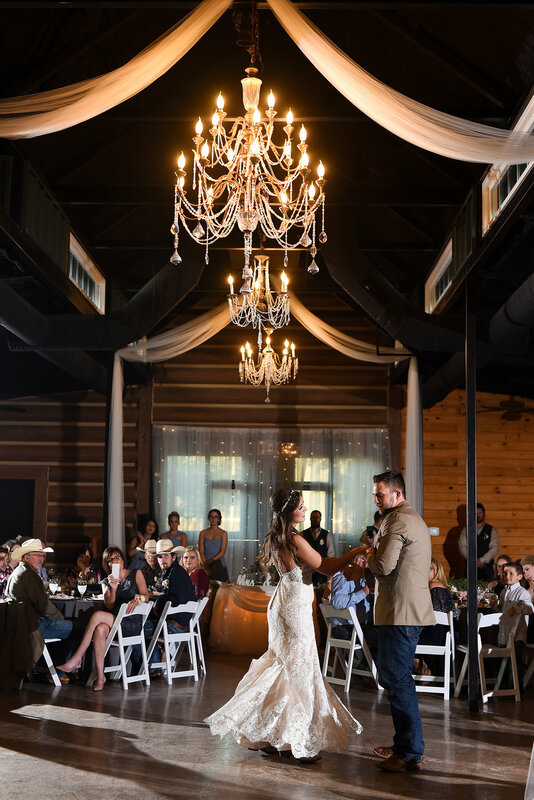 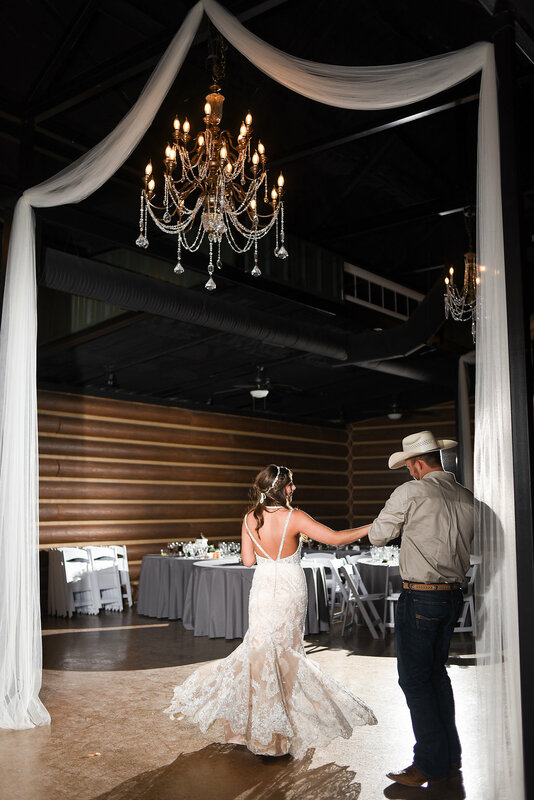 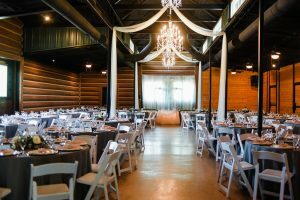 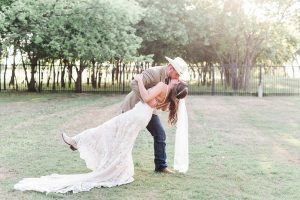 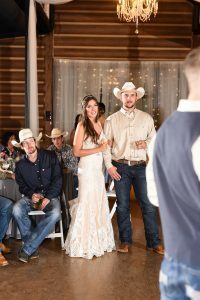 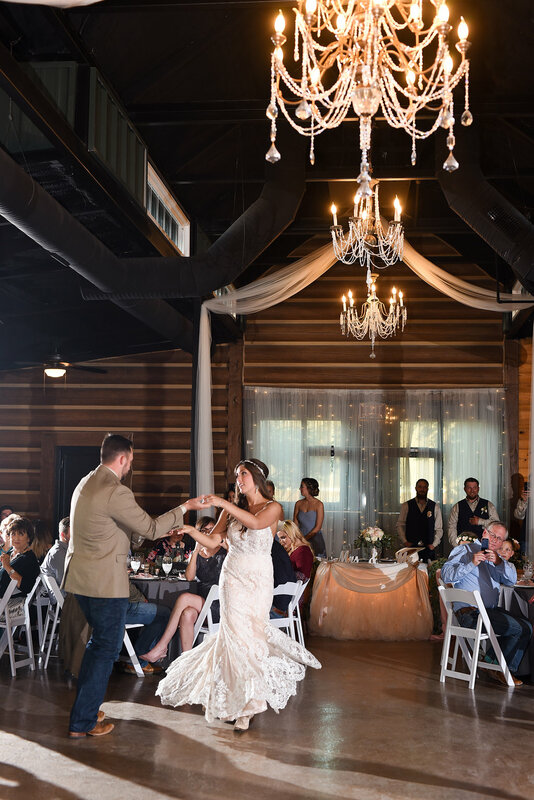 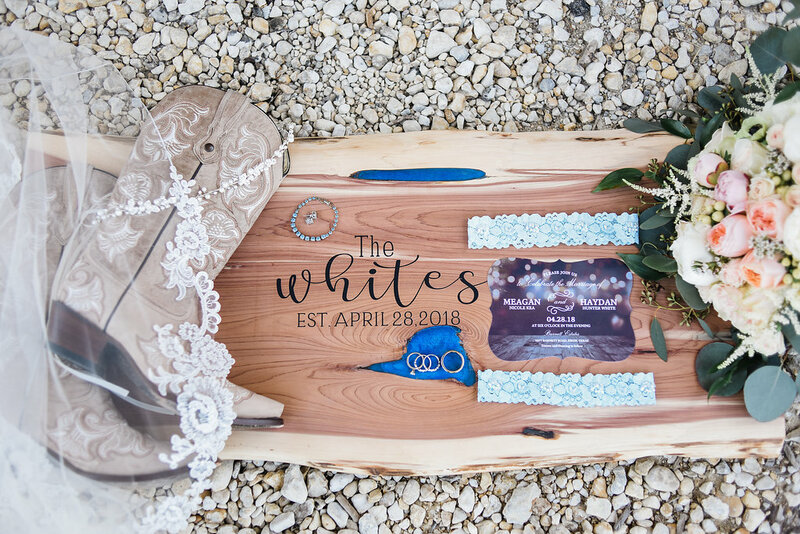 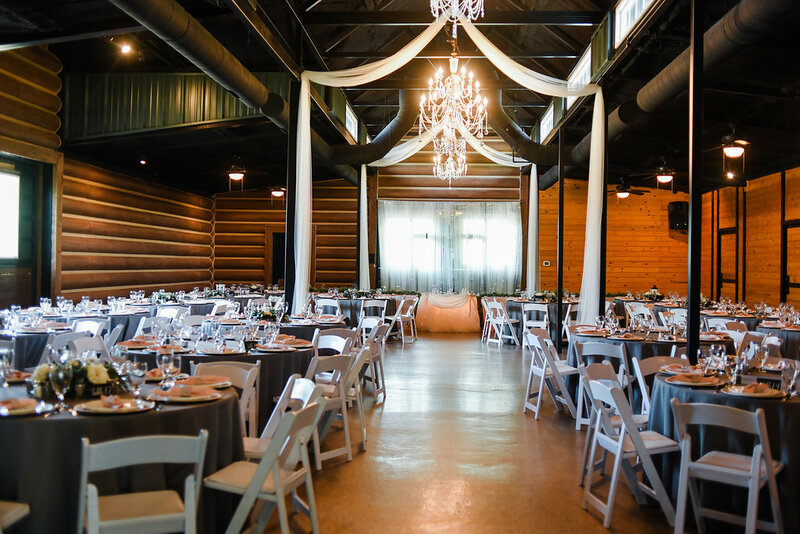 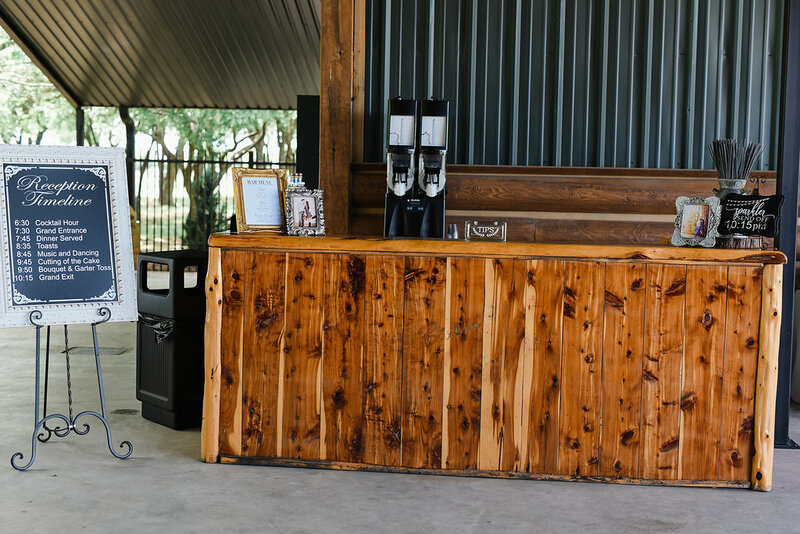 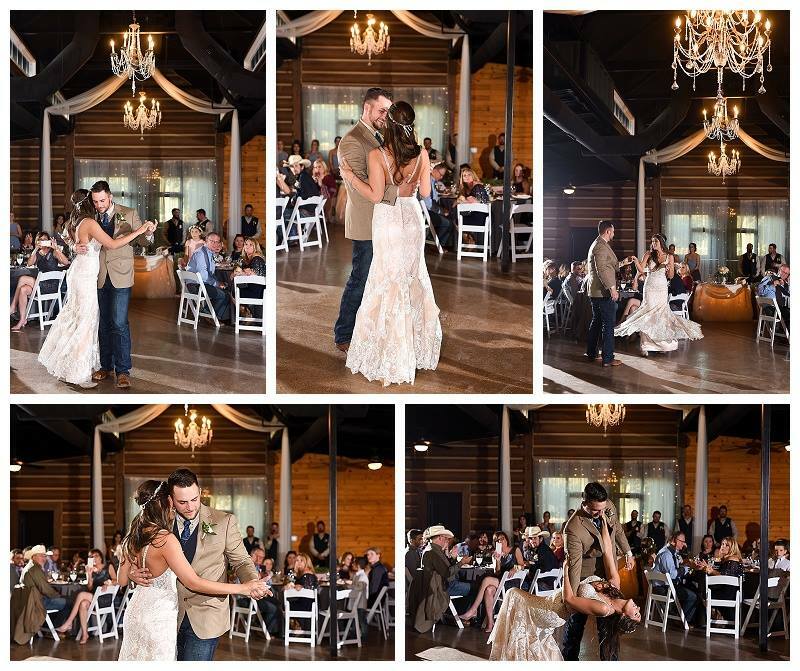 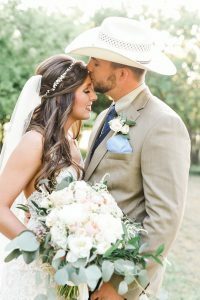 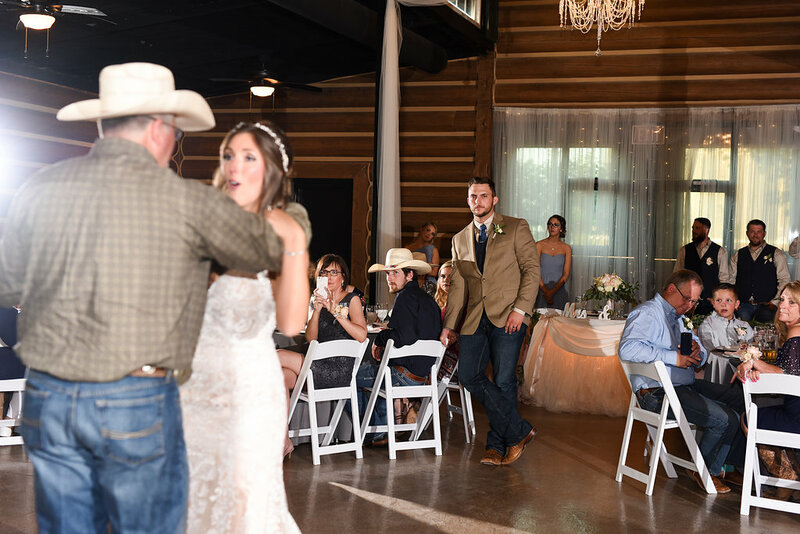 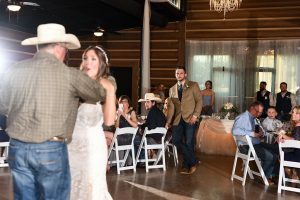 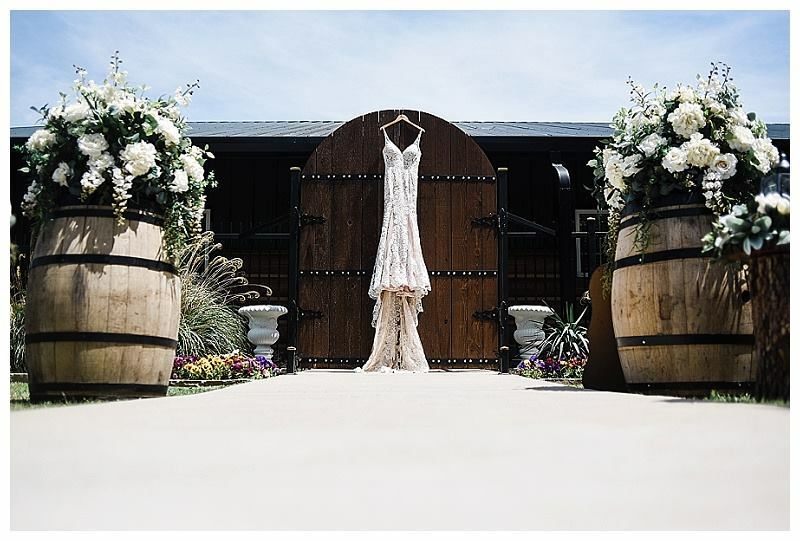 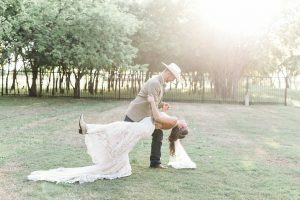 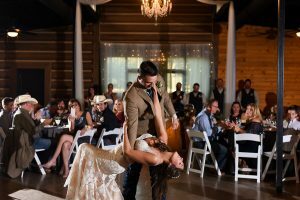 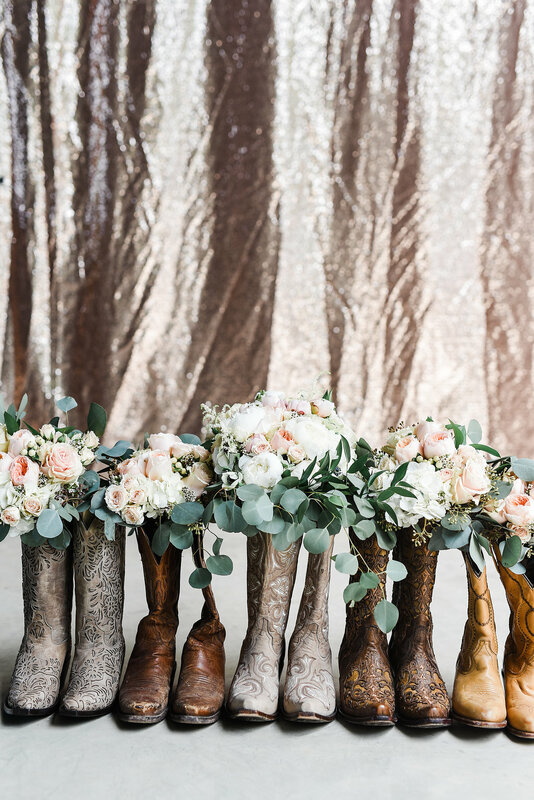 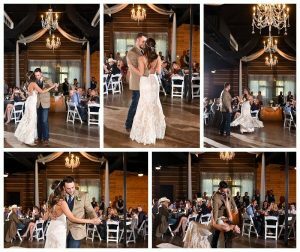 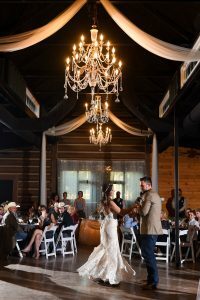 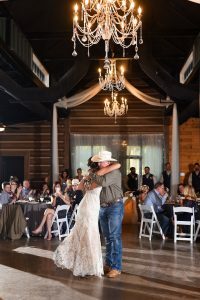 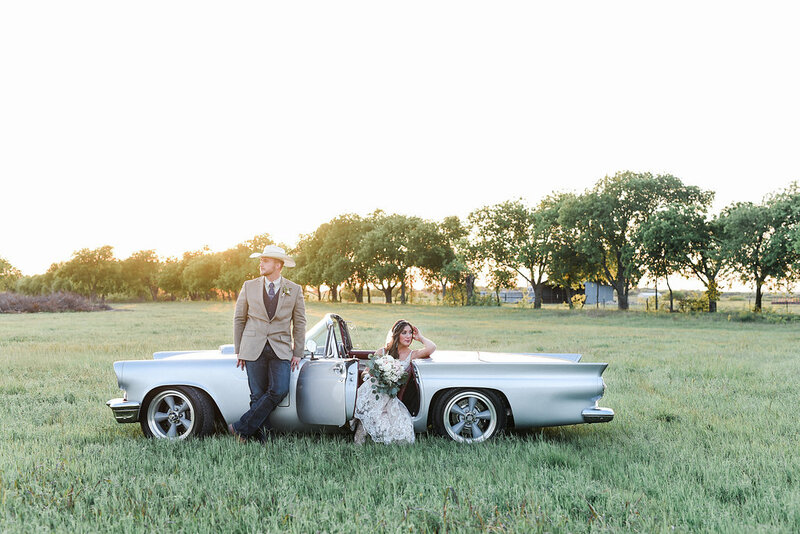 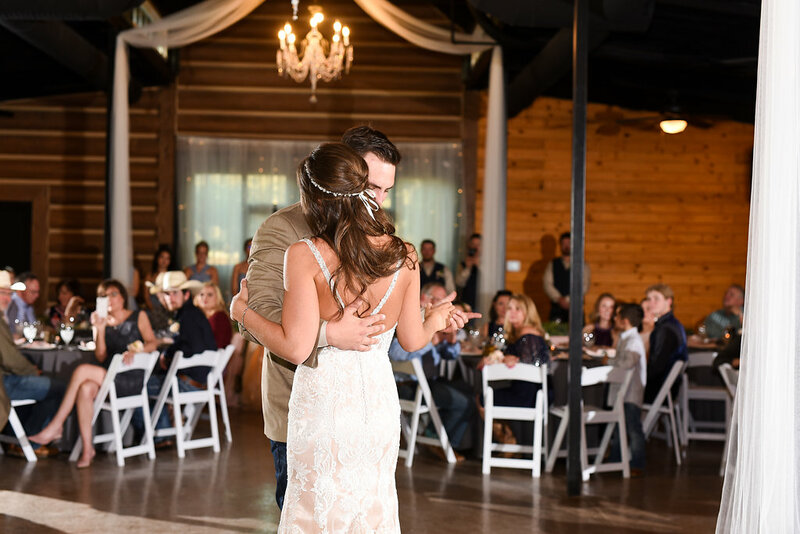 There is just something about the rustic/industrial vibe from the cowboy boots and cowboy hats to the metal lanterns filled with sweet pastels. 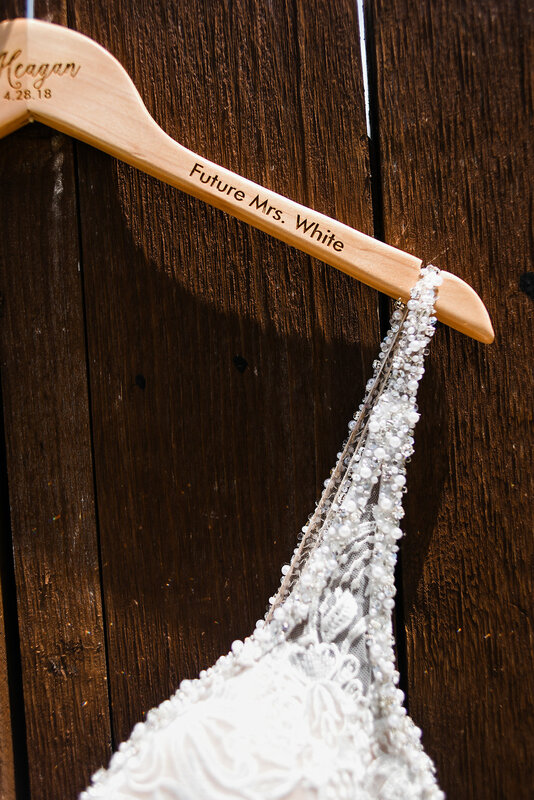 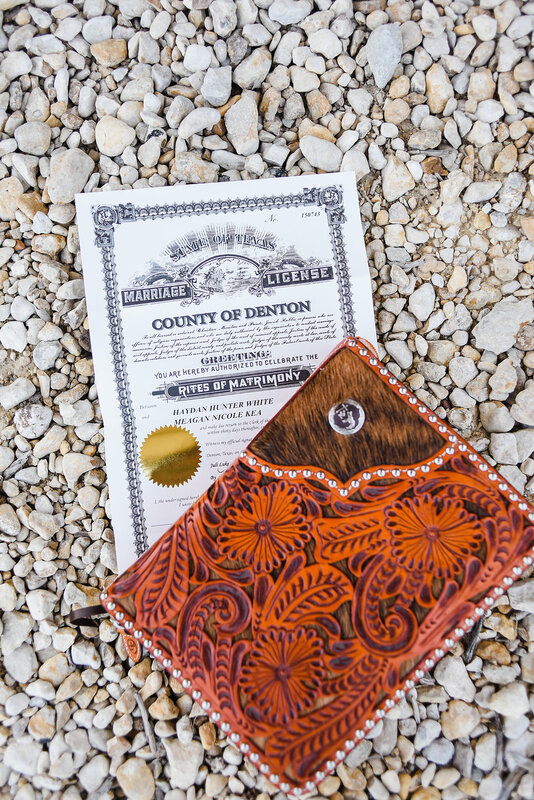 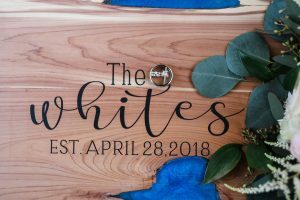 I have to admit, I am a little sad that I didn’t think of this wedding color palette for myself, it is stunning. 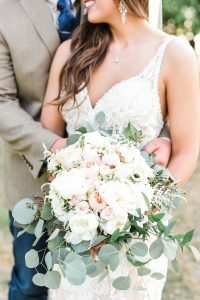 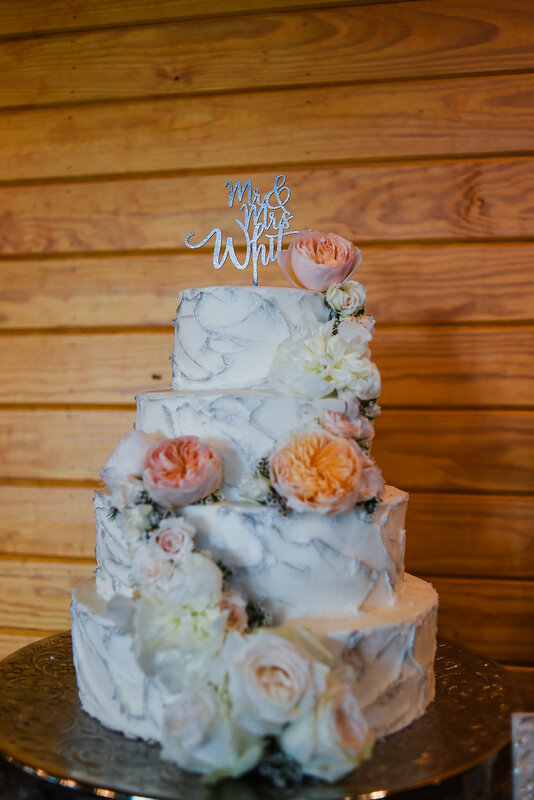 Featuring white peonies, juliette garden roses, white hypericum, light pink astribe, and a variety of eucalyptus and ruscus greenery, this couple topped the cake with the perfect duo of rustic/chic feel with so much romance. 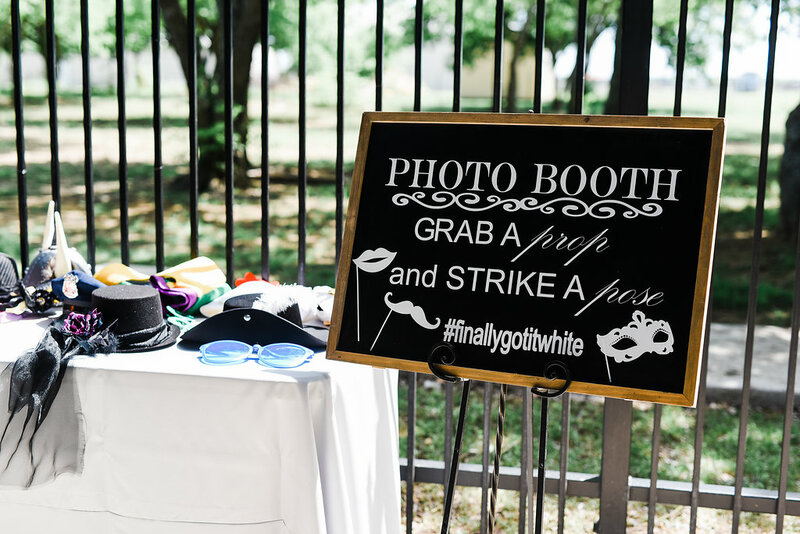 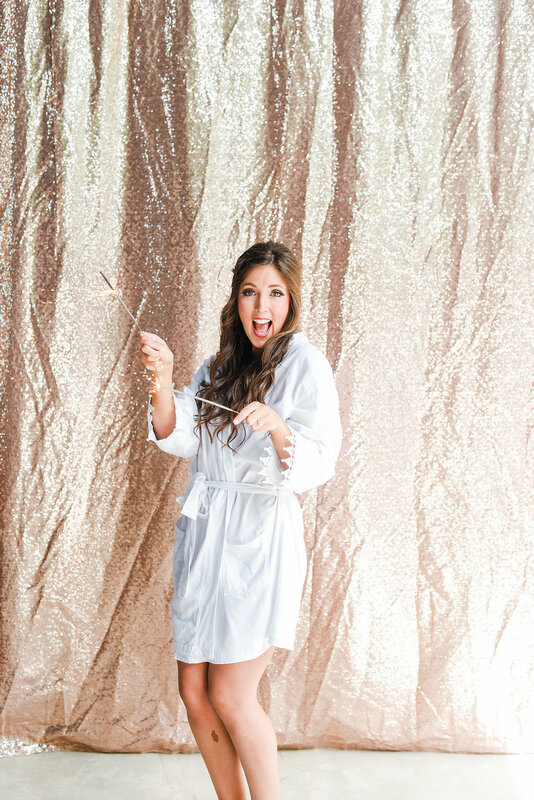 They envisioned a draped pergola, simple yet statement centerpieces and vintage lanterns. 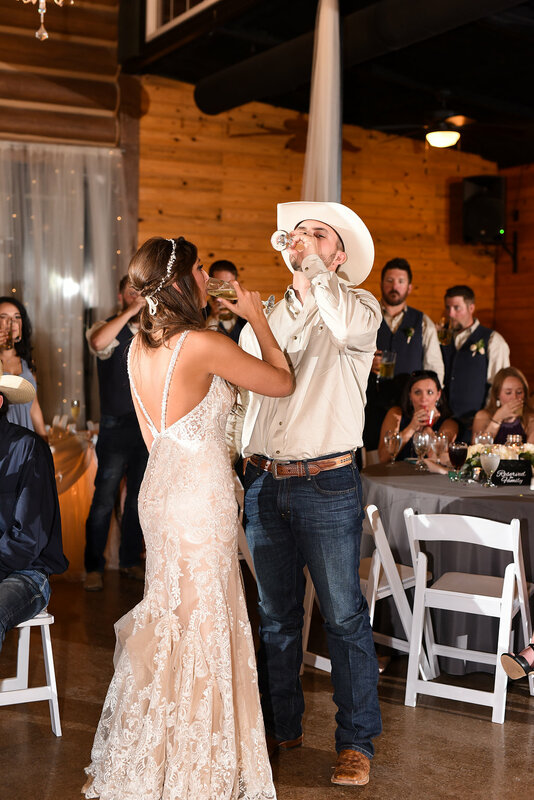 Our hats are off to you both! 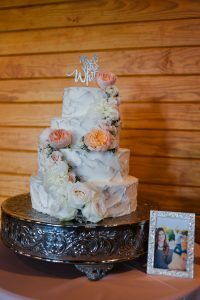 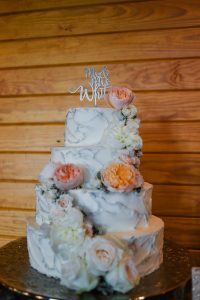 We provided their 4 tier cake which included a variety of flavors such as: Chocolate Fudge, White Caramel, White Chocolate Raspberry with Cream Cheese Buttercream. 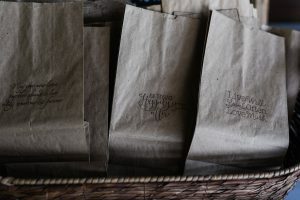 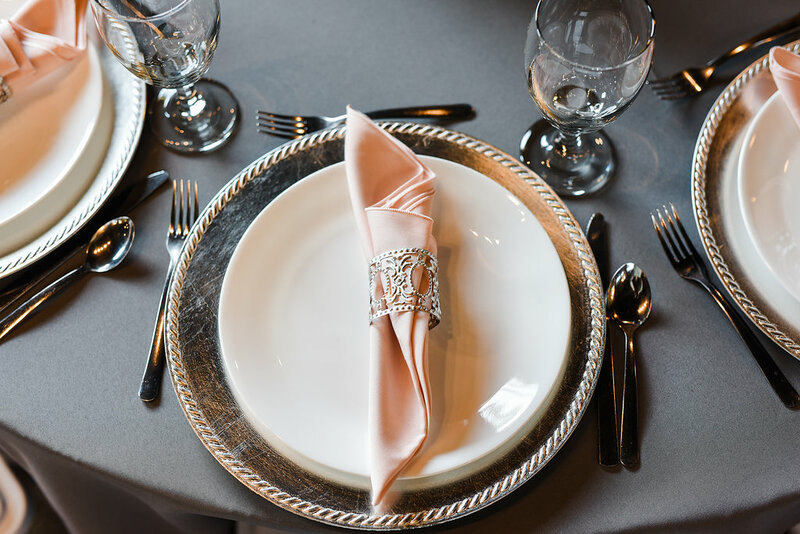 For dinner our guests were served Brisket, Smoked Turkey & Ham with all the bells and whistles on gorgeous grey linens with blush accents. 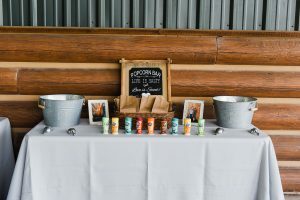 Oh and did we mention that they had an ICE CREAM BAR? 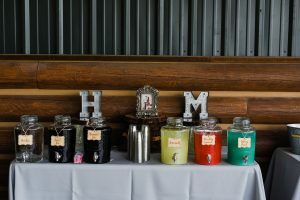 Oh yes, we had a fun time making homemade ice cream in house with over 12 different toppings and sauces. Mouth watering yet? 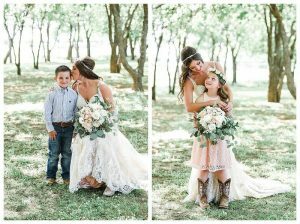 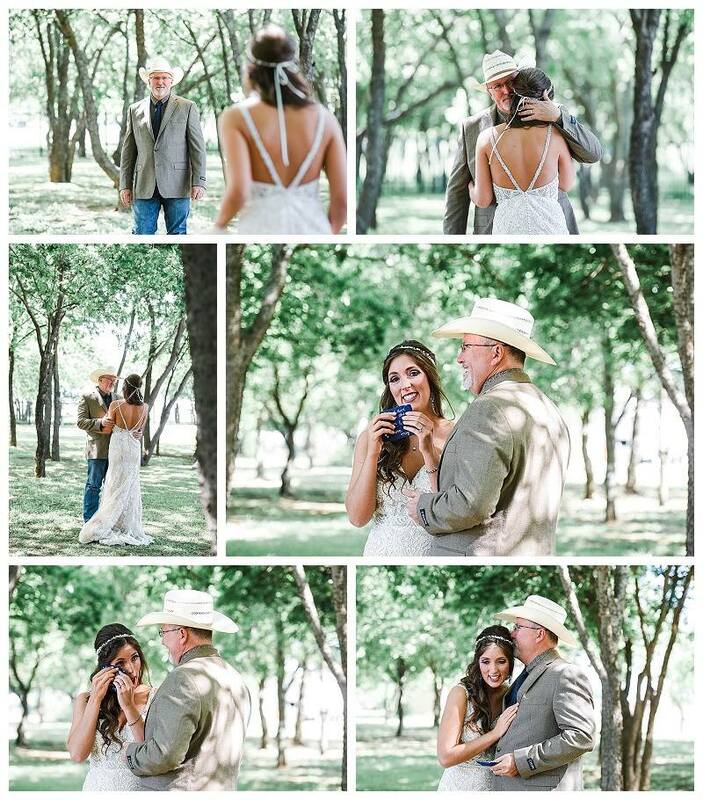 It was such a pleasure getting the know this sweet family and truly enjoyed their time here with us at the venue! 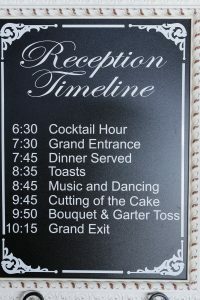 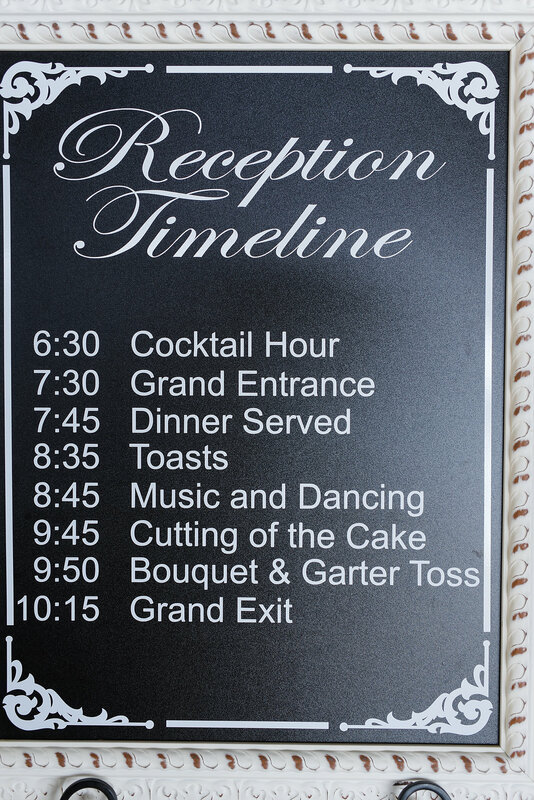 We look forward to celebrating many more milestones a long the way! 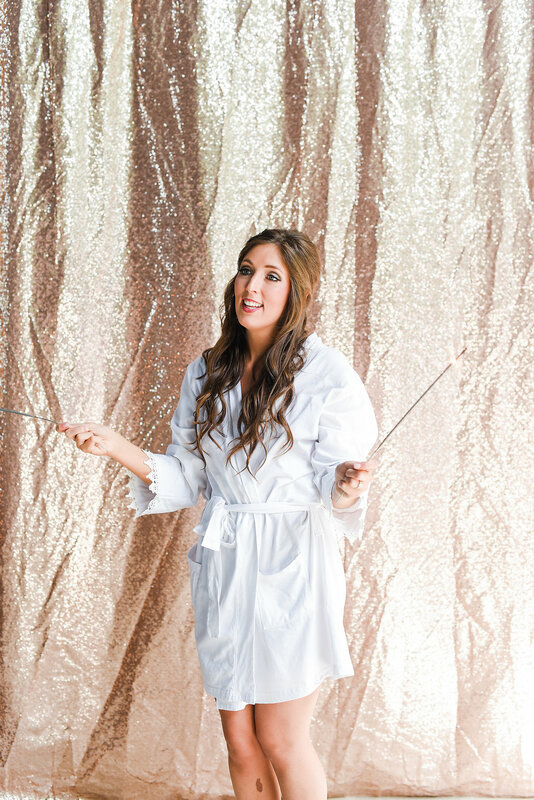 Best of wishes, Barnett Staff.